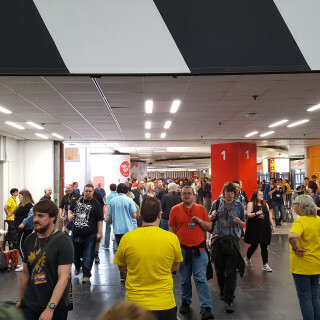 Welcome To The UK Games Expo! 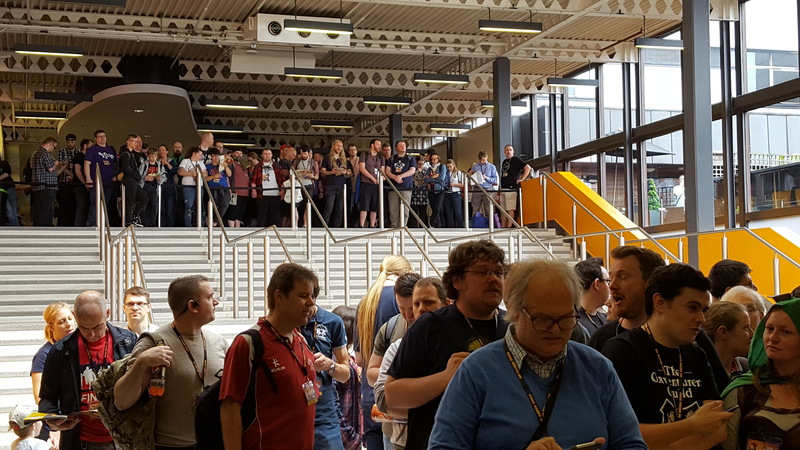 We’re here at the kick off for UKGE 2018! 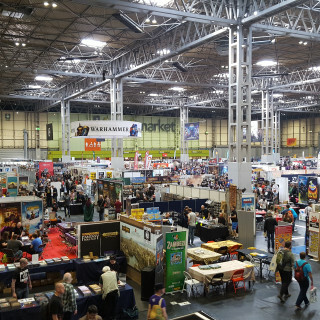 There is loads to see and do this year and we cannot wait to get stuck in and bring it all to you. 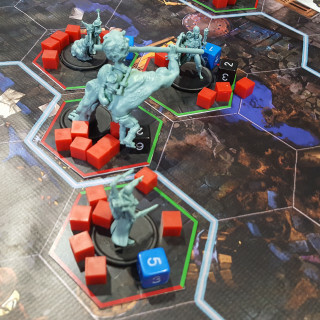 If we can survive the rush, that is! 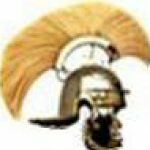 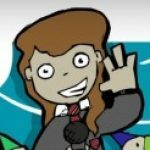 Check Out Our Live Streams! 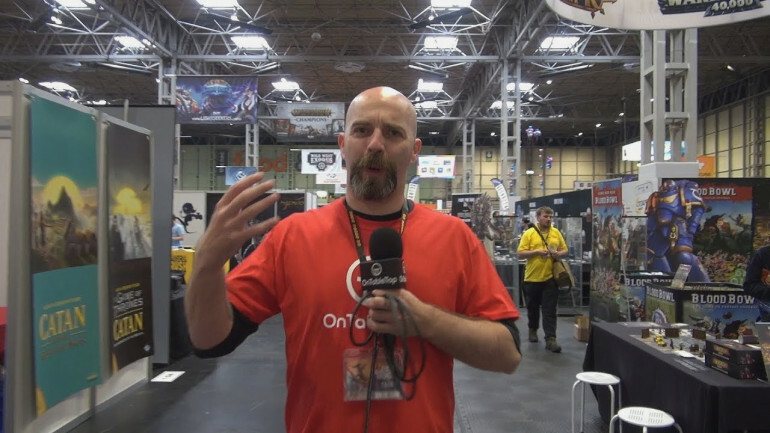 All weekend, we are running a series of Live Streams where people from a variety of different gaming companies sit down and tell us about all the exciting stuff they are working on. 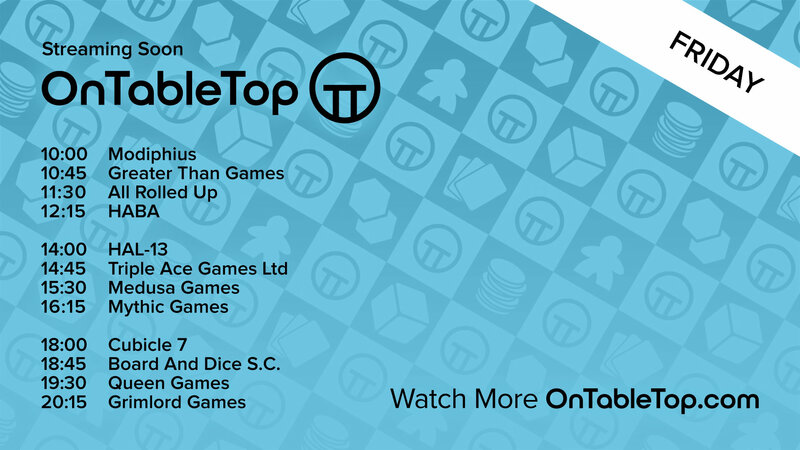 Check out the schedule to see who’s on, and head on over to our Live Stream. 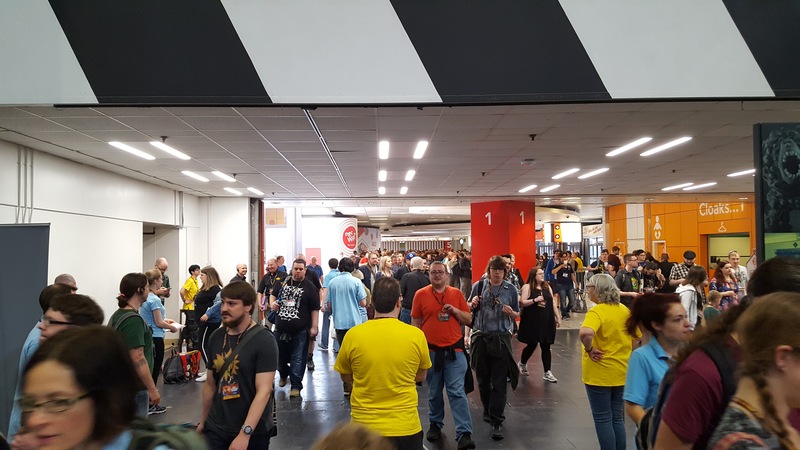 As the queue formed outside the Expo, Justin and John headed out for a quick chat with the attendees and to see how things were getting on in Hall 1. 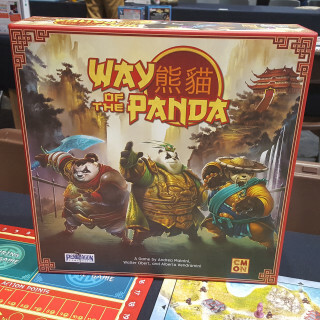 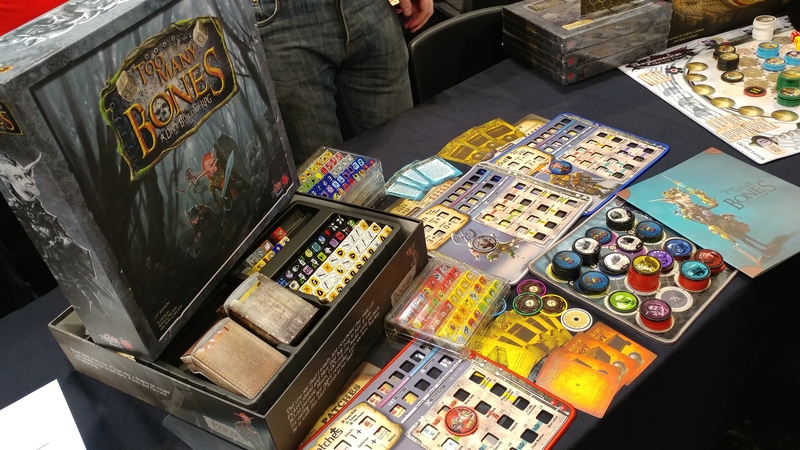 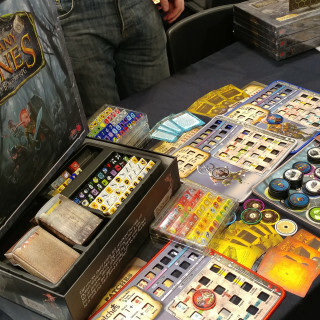 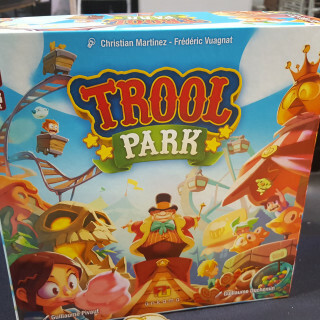 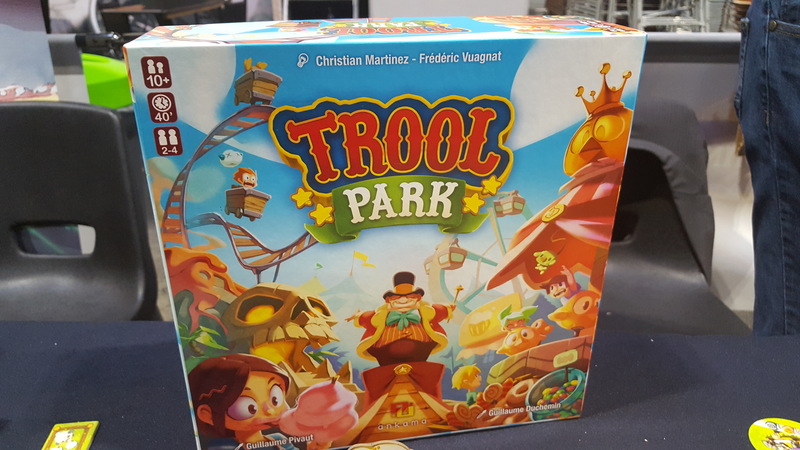 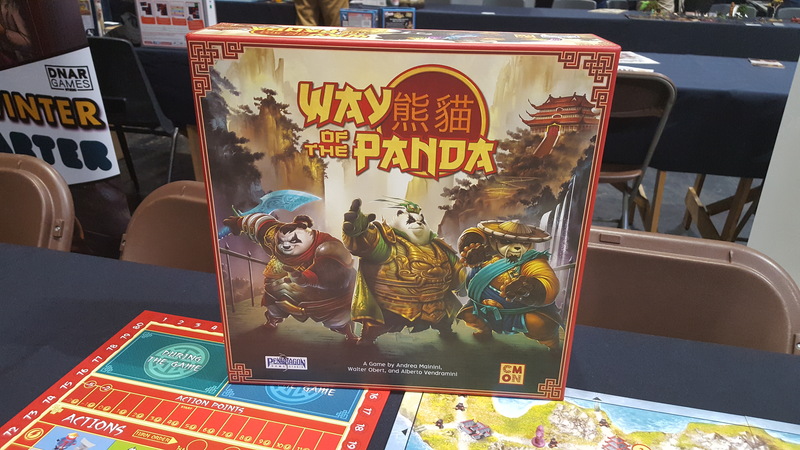 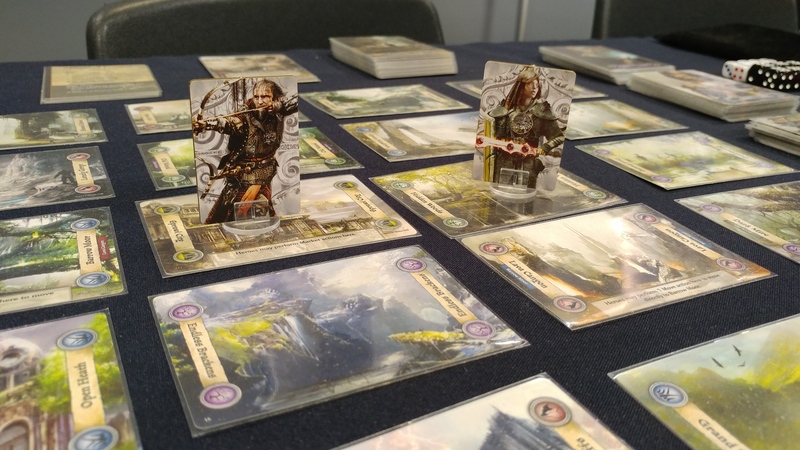 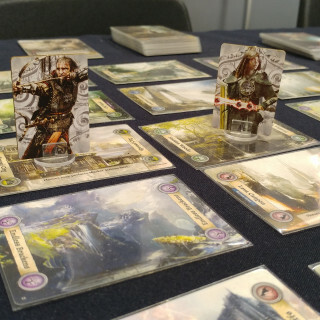 Devir Games have brought a bunch of new games with them to UKGE, many of which we have enjoyed playing ourselves this past week. 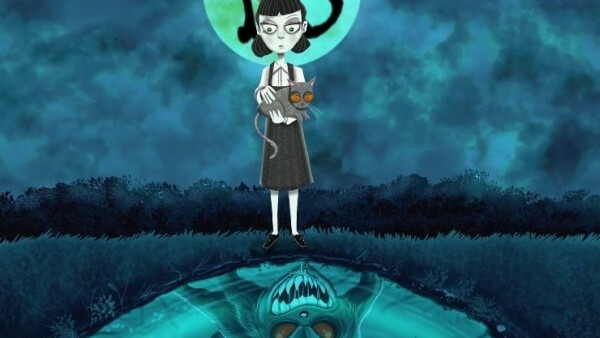 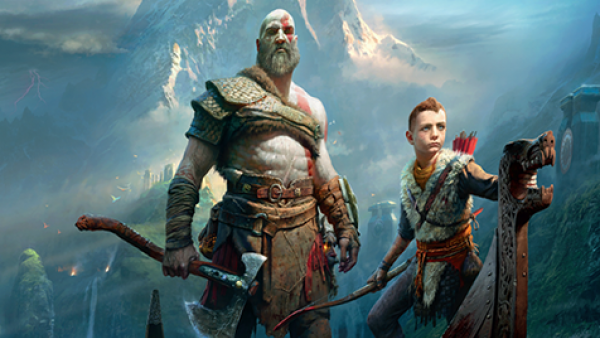 Let us know which of these games catches your eye. 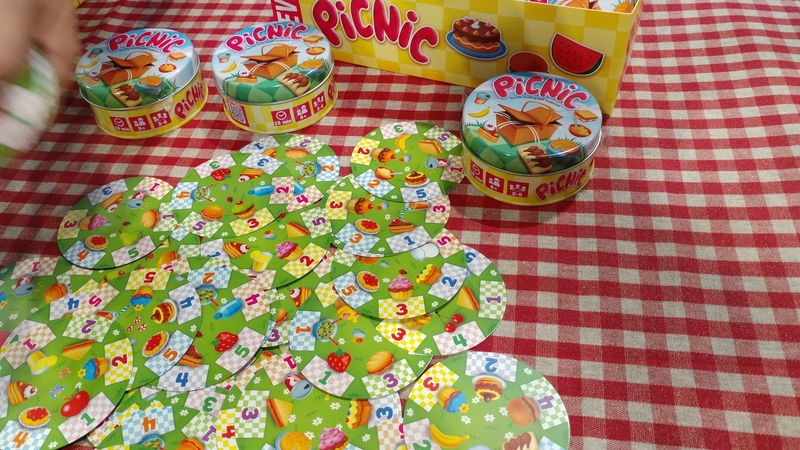 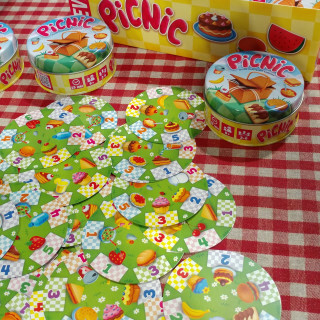 Fancy a Picnic? 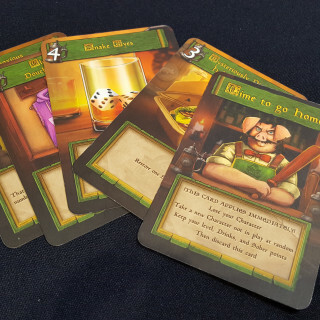 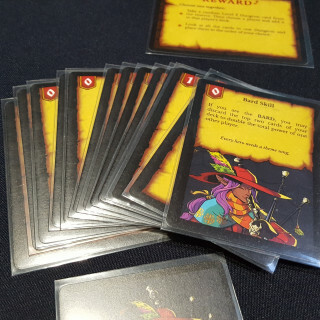 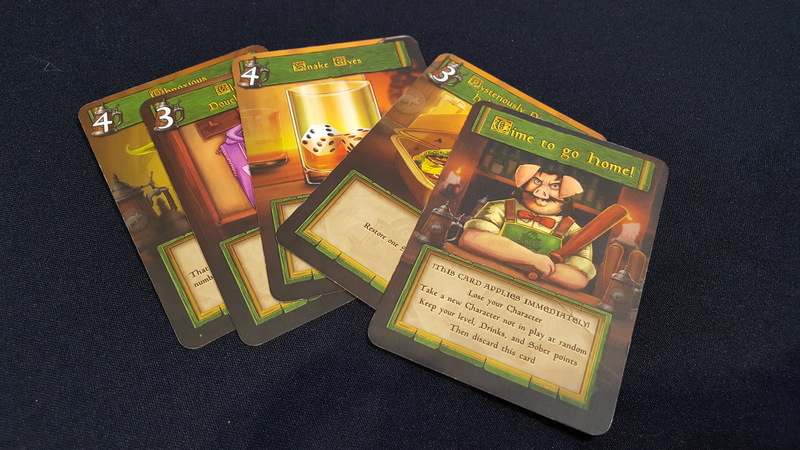 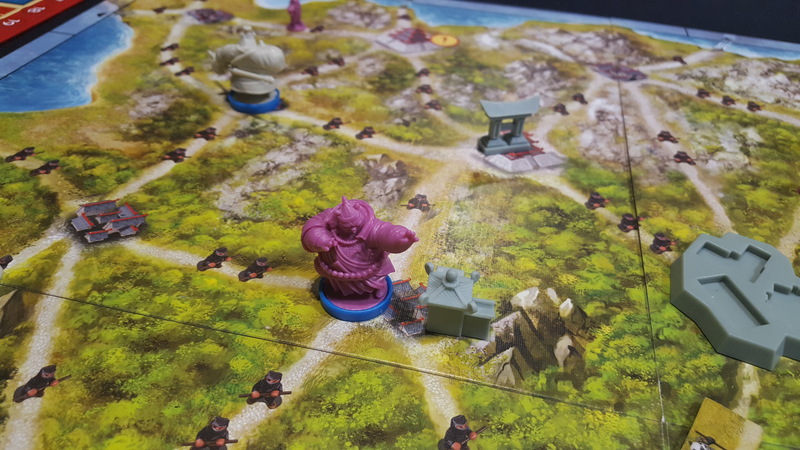 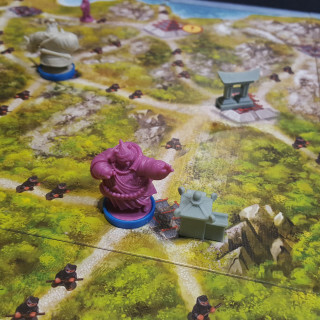 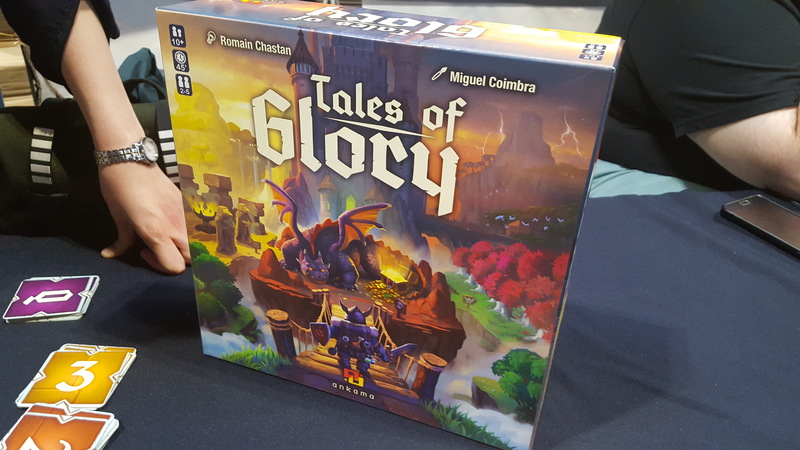 We stop off with Ankama to talk about Trool Park and Tales of Glory. 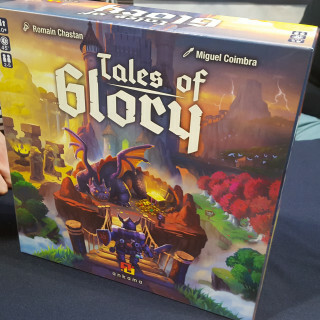 The former is all about building amusement park rides whilst Tales of Glory allows you to build combos to vanquish your foes. 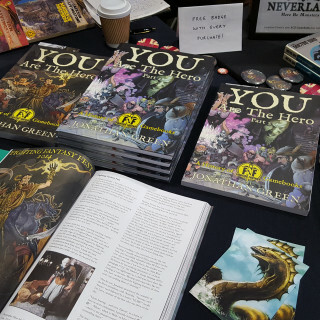 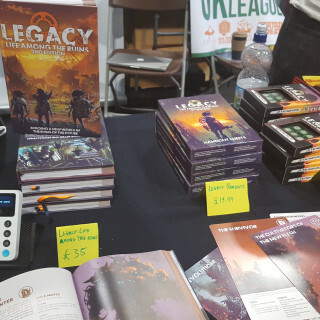 Ben is here to talk to the UK Indie RPG League about their collection of roleplaying games they have brought to the show. 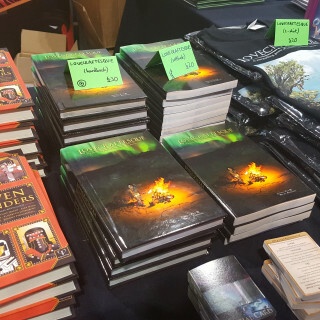 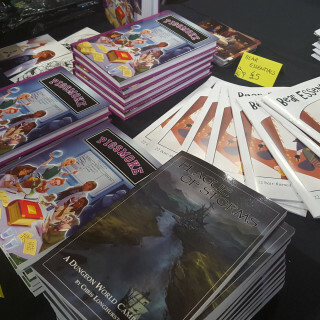 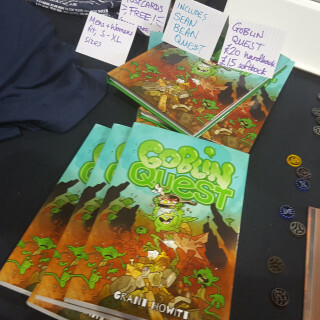 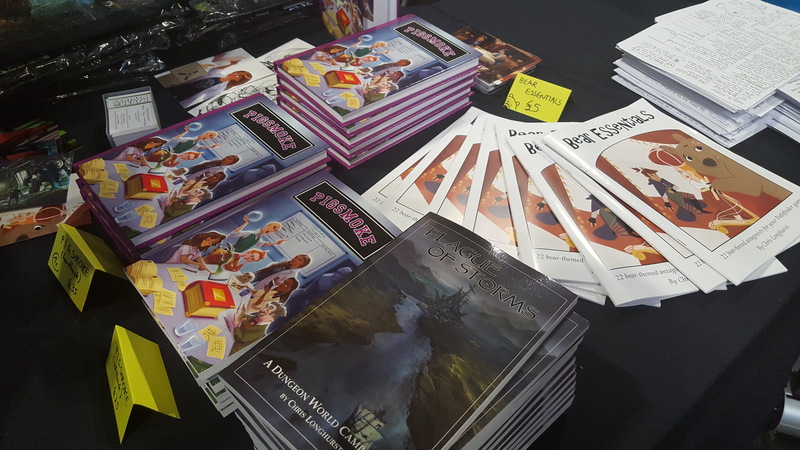 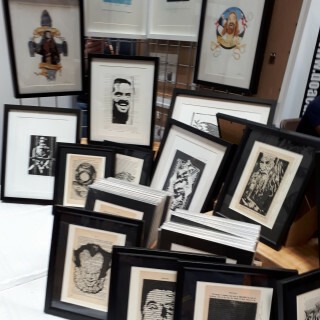 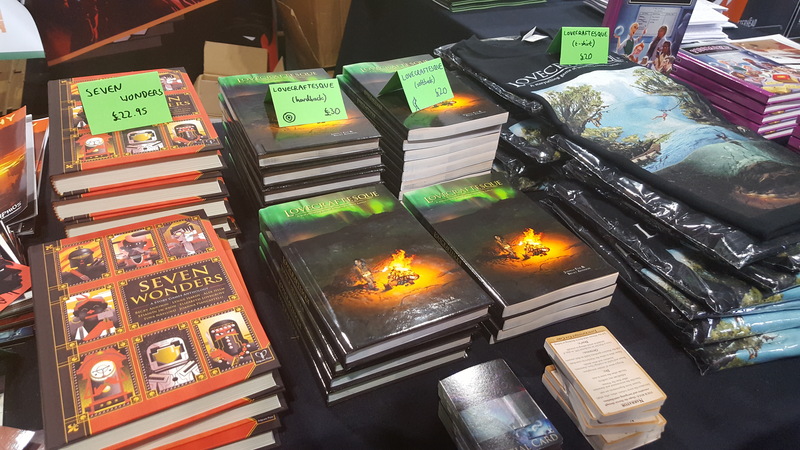 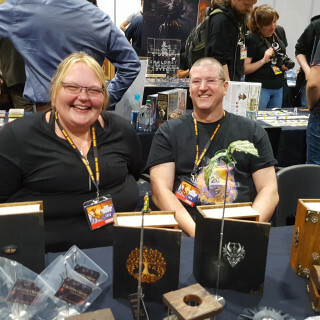 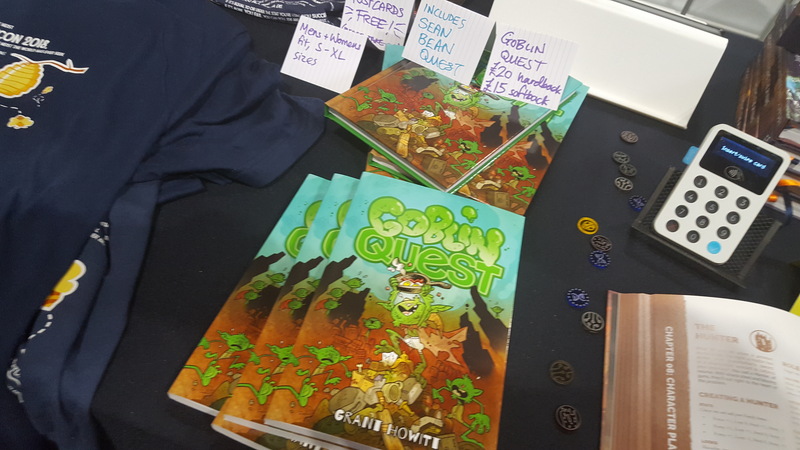 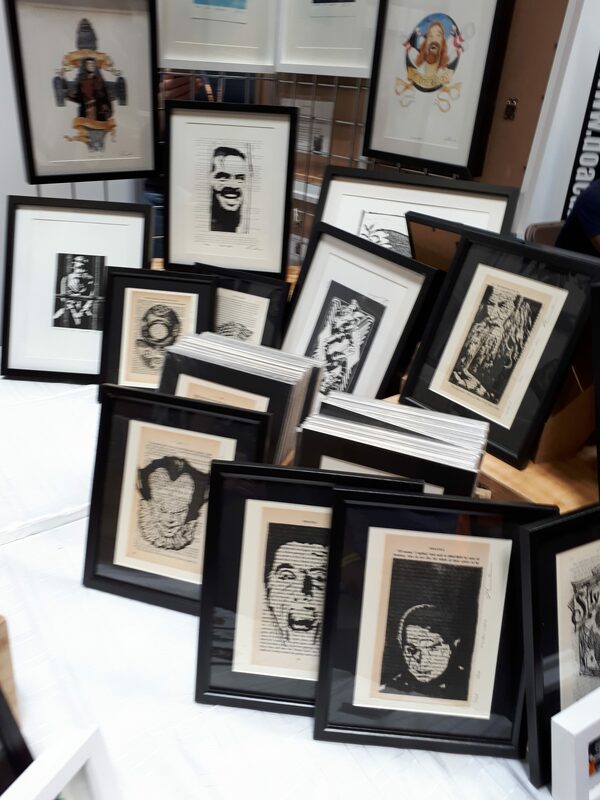 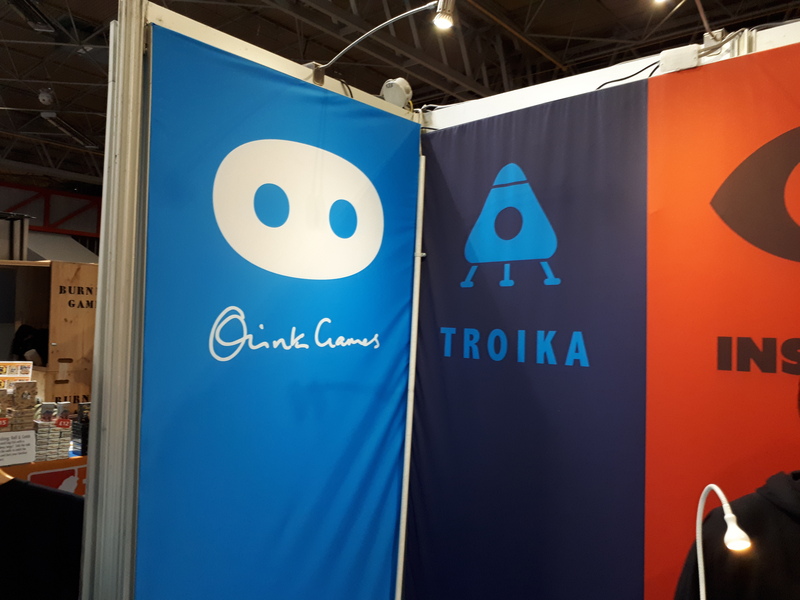 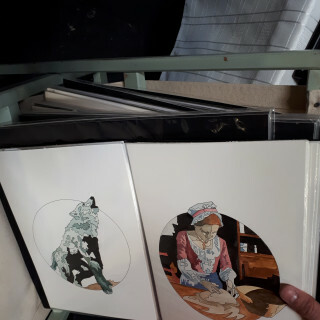 From Lovecraftian tales to irreverent adventures involving pigs and bears this collective can be found in Hall 2 with a wide selection for your groups RPG needs. 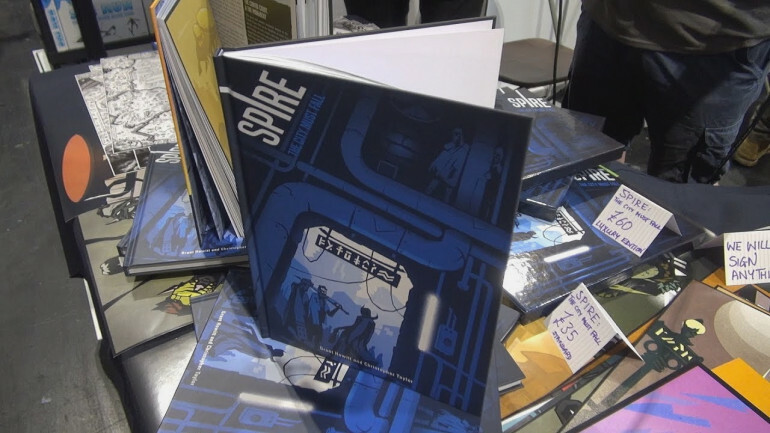 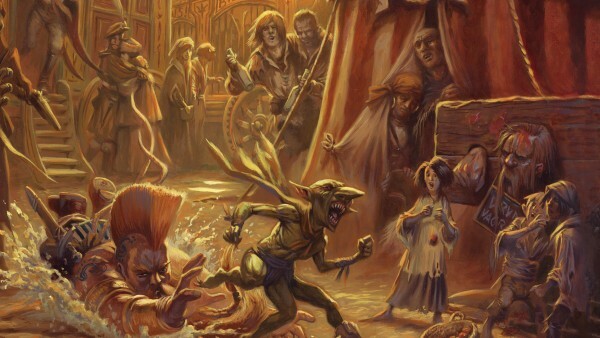 Comment below to win The Spire RPG pdf rule book! 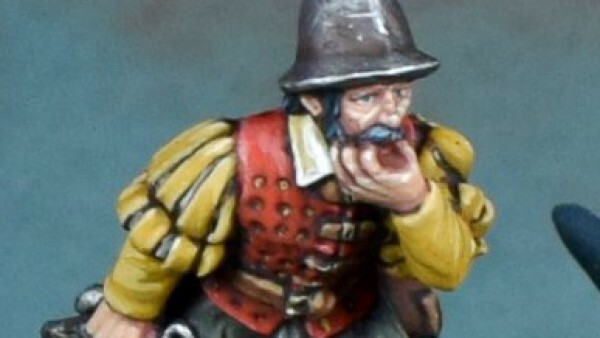 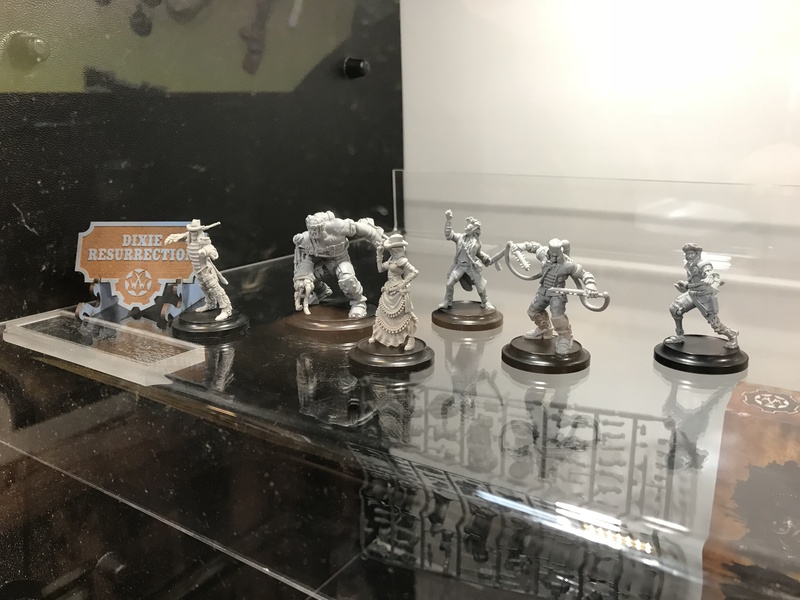 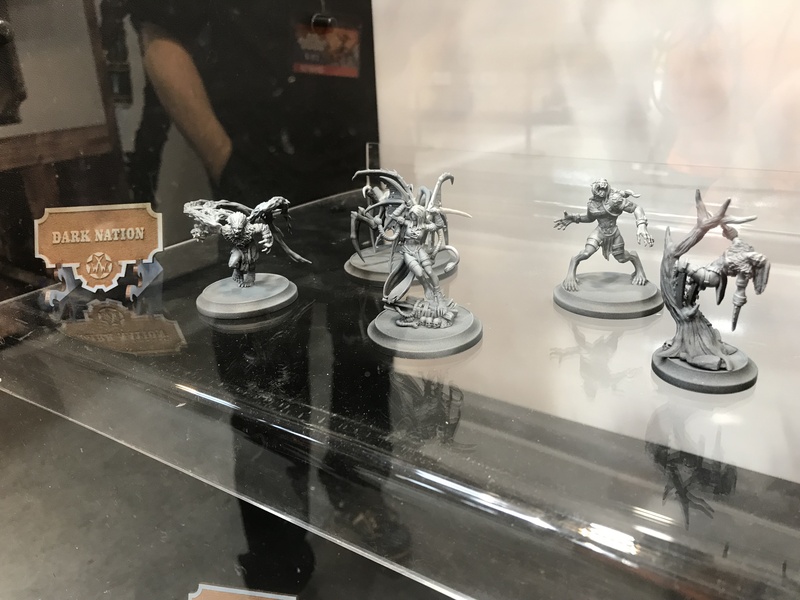 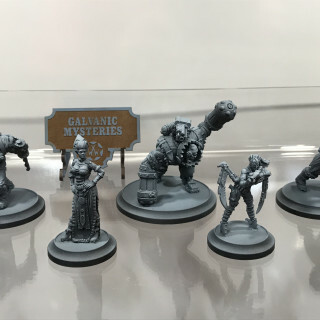 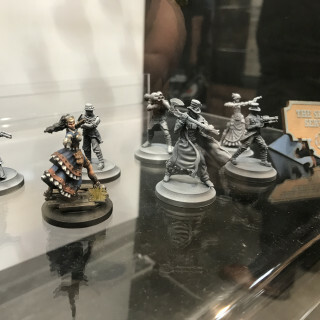 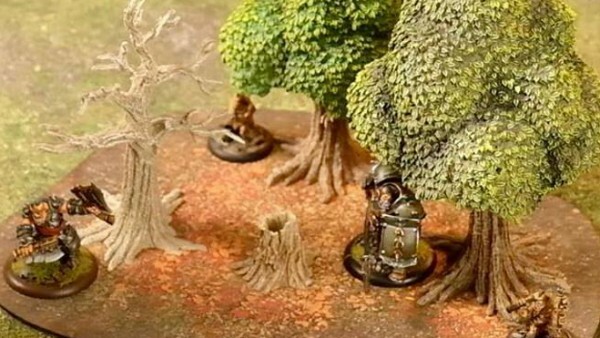 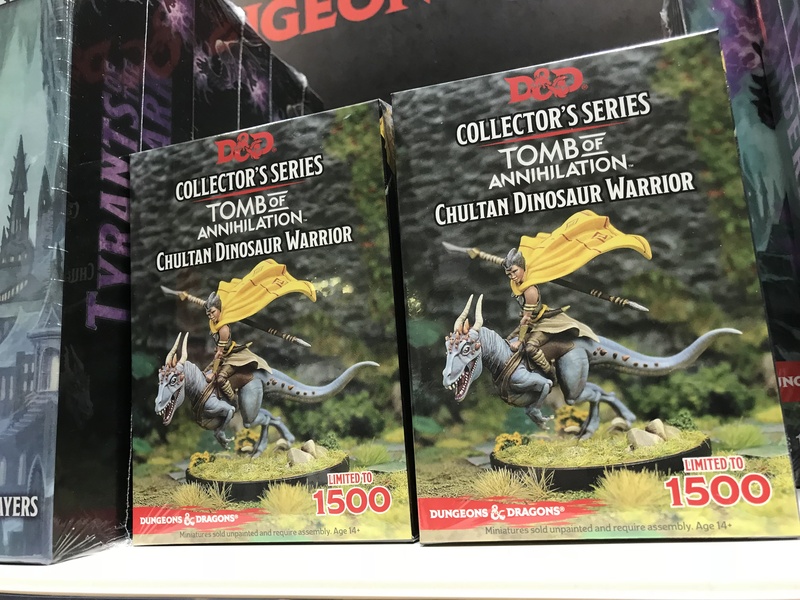 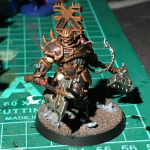 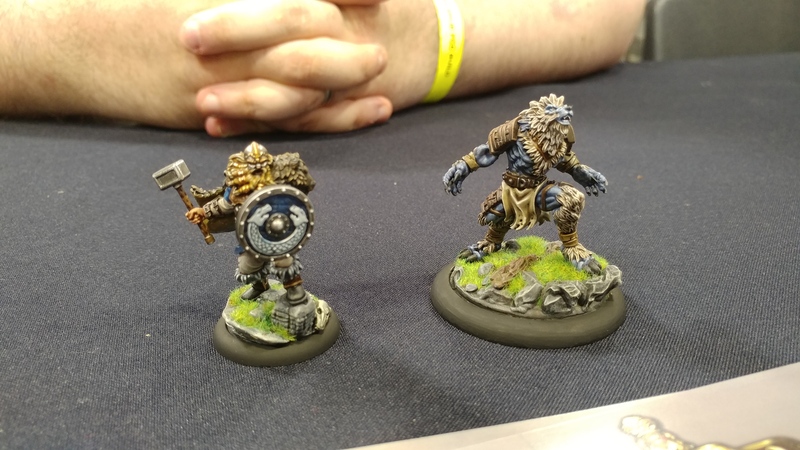 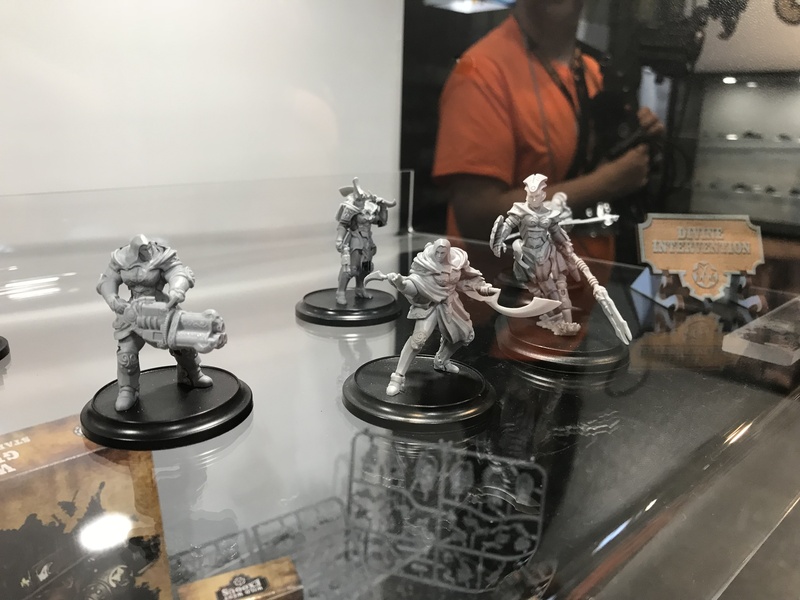 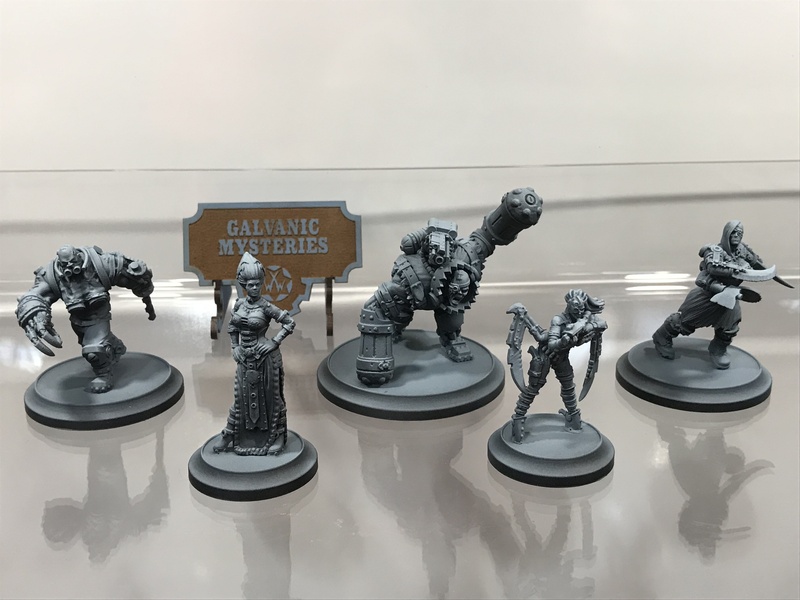 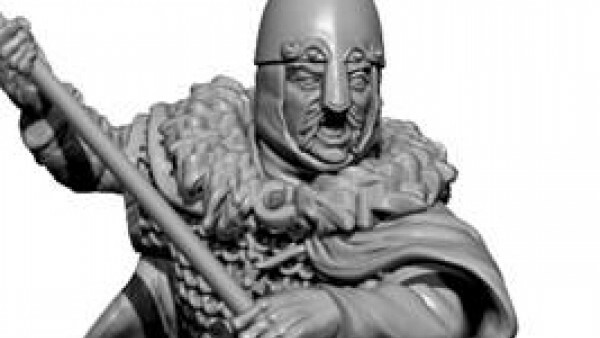 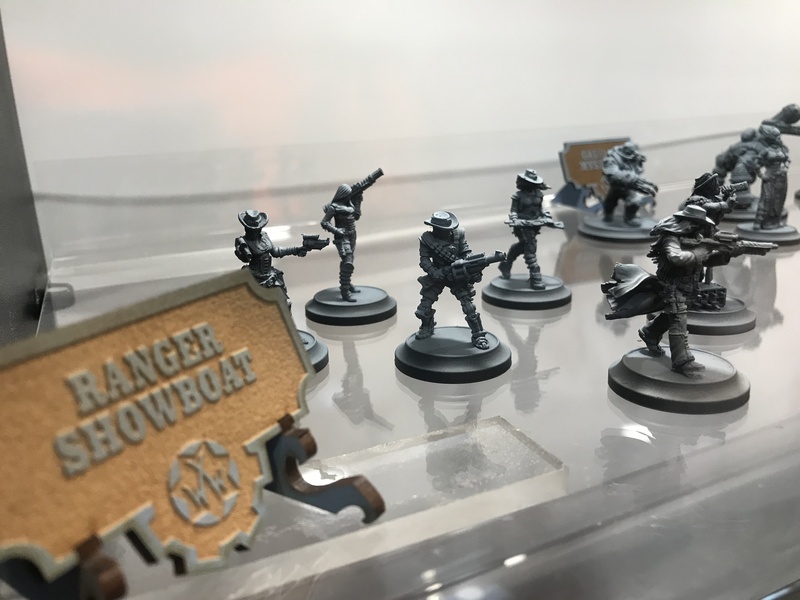 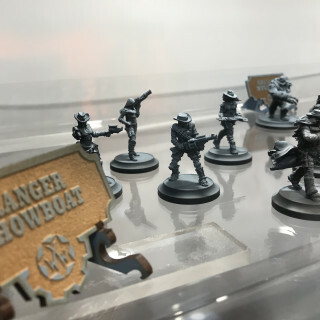 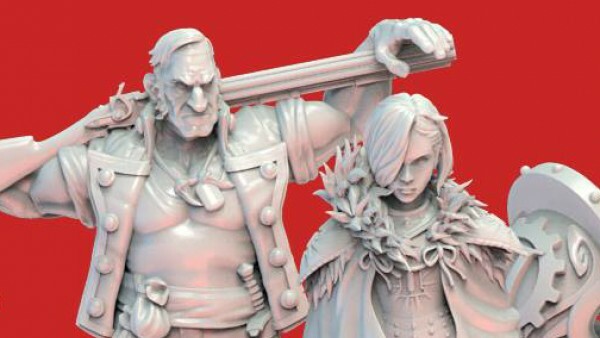 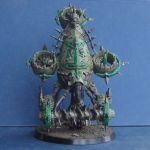 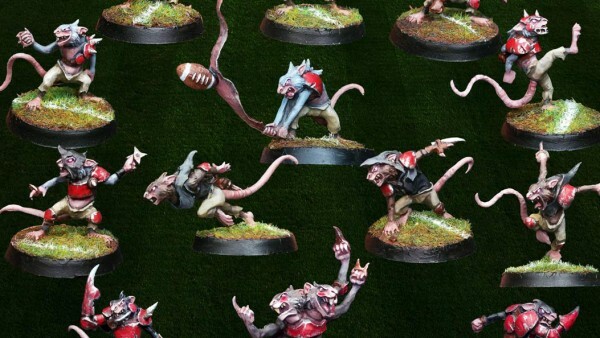 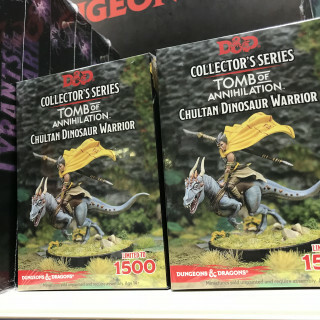 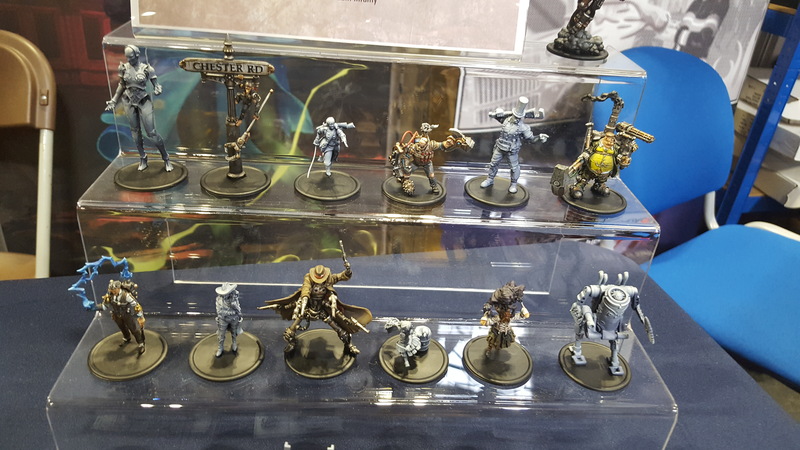 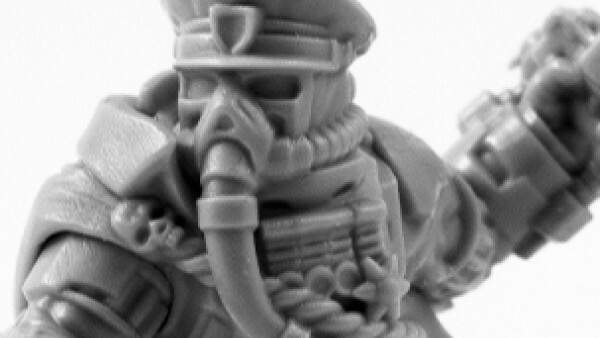 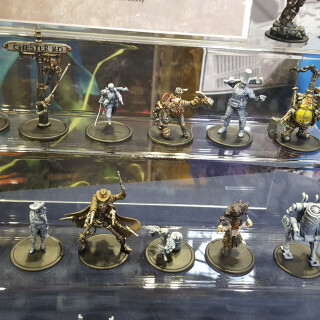 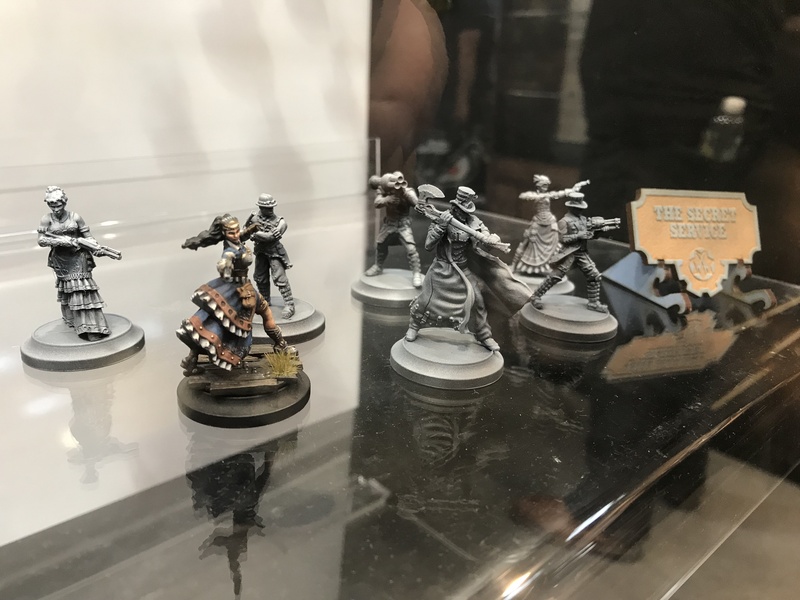 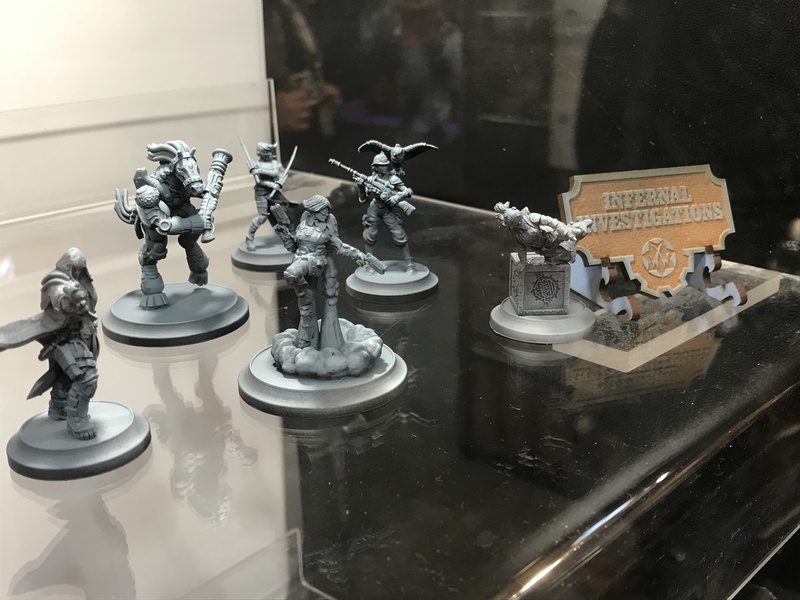 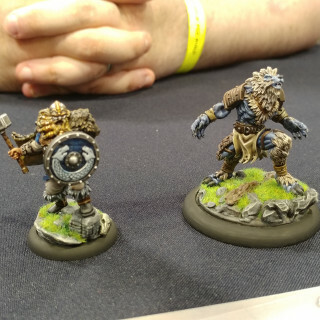 Liontower Miniatures have some cool minis to show off this year, including some examples of their upcoming Kickstarter minis and their RPG Range, which have been shortlisted as best miniatures range at this weekend. 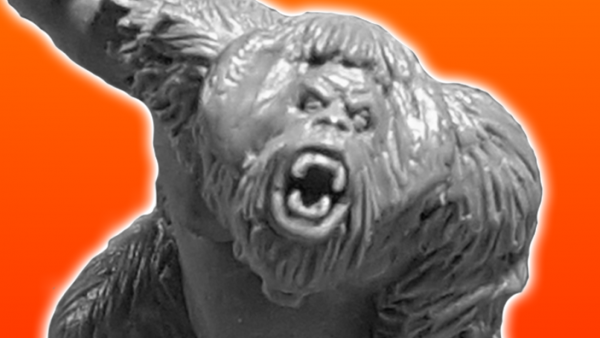 Be sure to get comment below to get your chance to pick up a Kickstarter Exclusive mini. 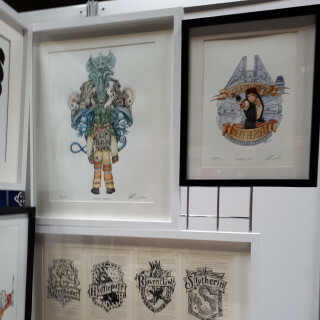 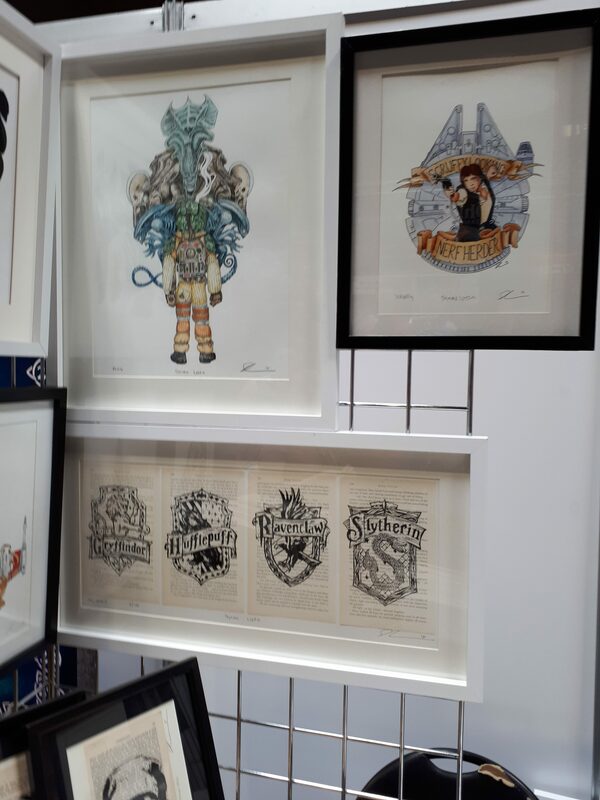 We’re with Simon from Brambledown Designs to talk about some of the beautiful artwork on the show floor here. 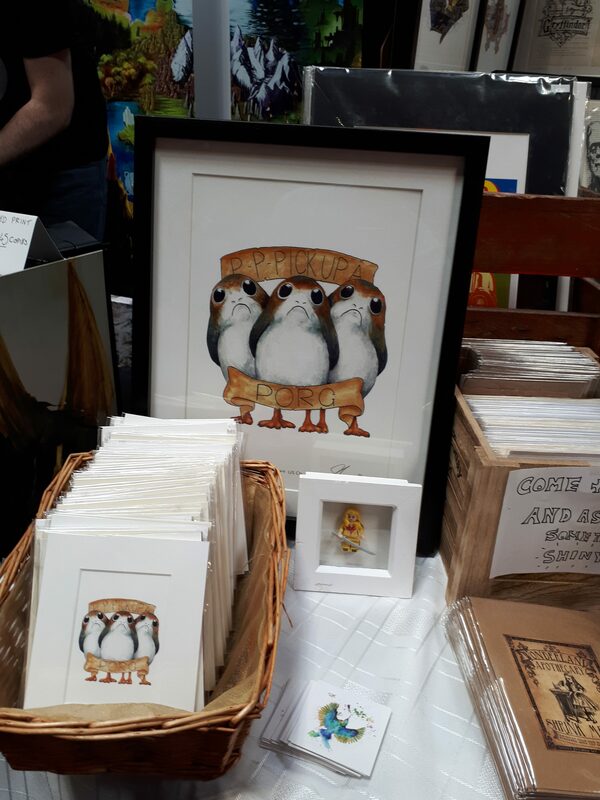 Comment to win a Porg Art Print. 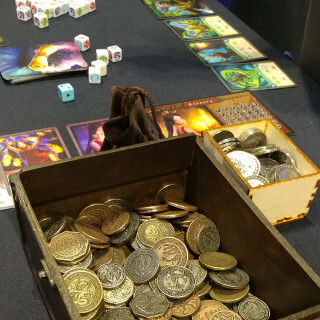 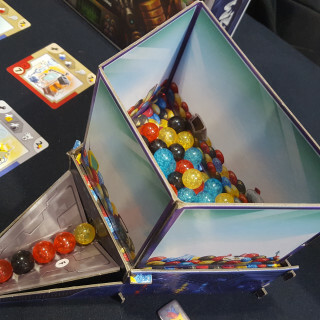 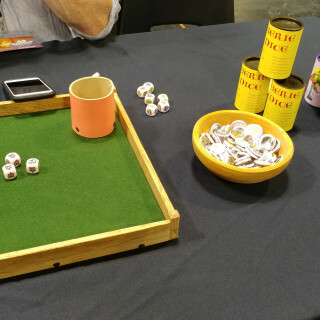 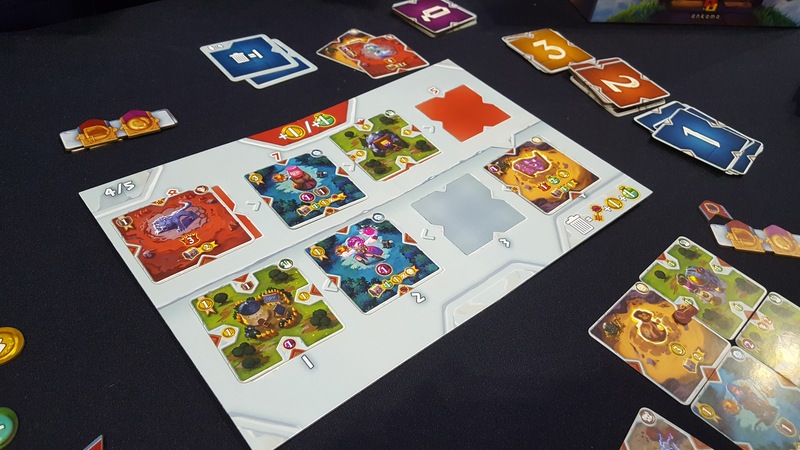 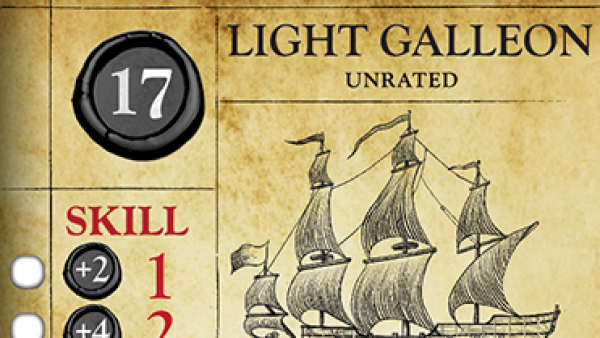 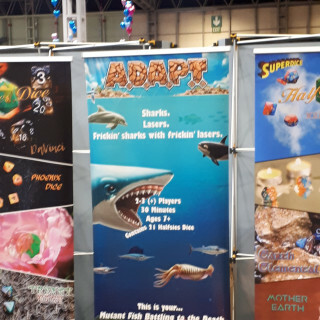 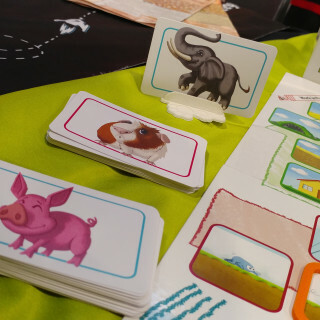 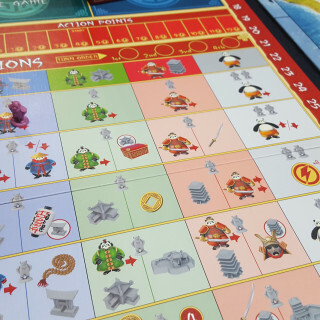 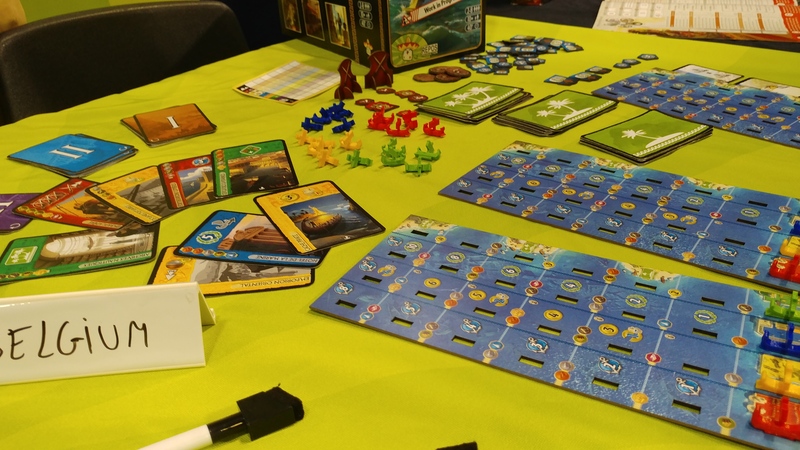 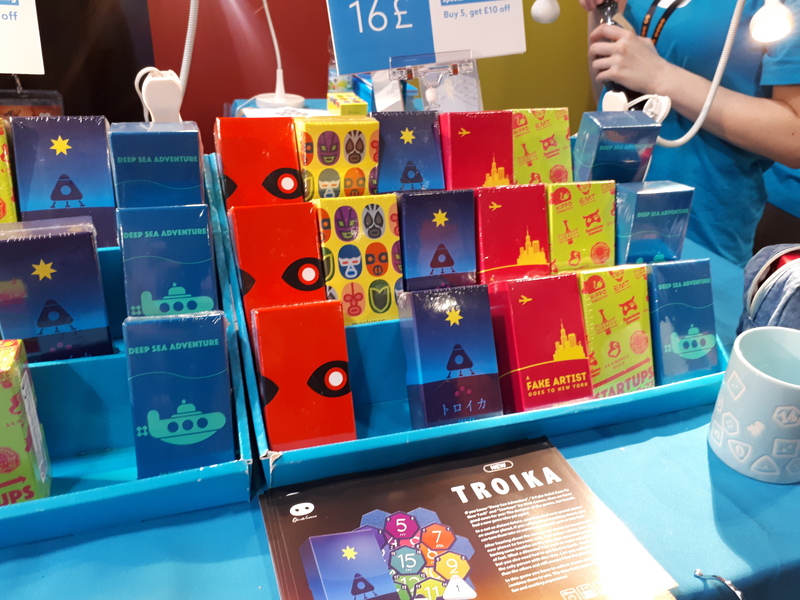 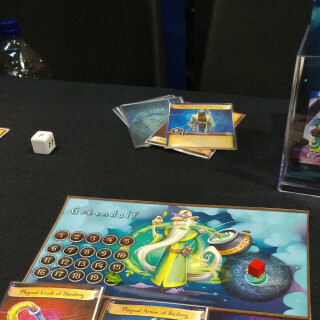 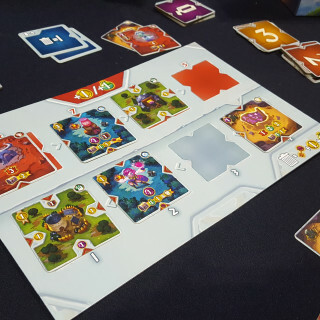 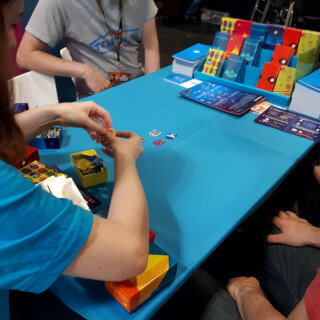 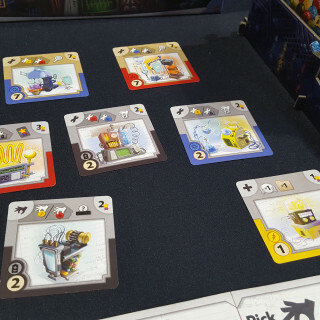 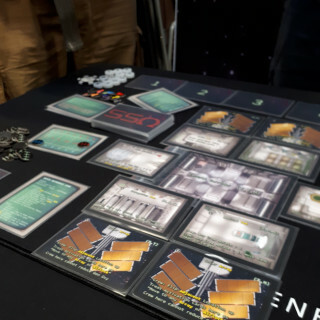 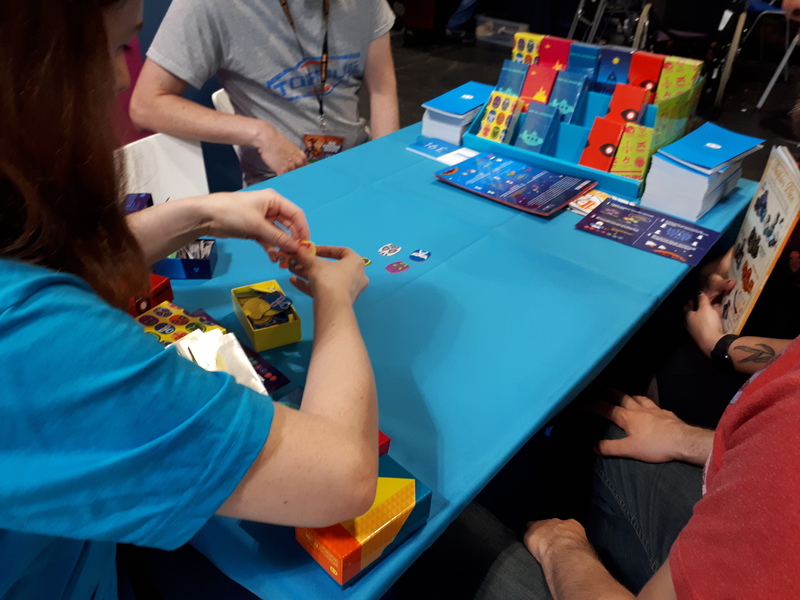 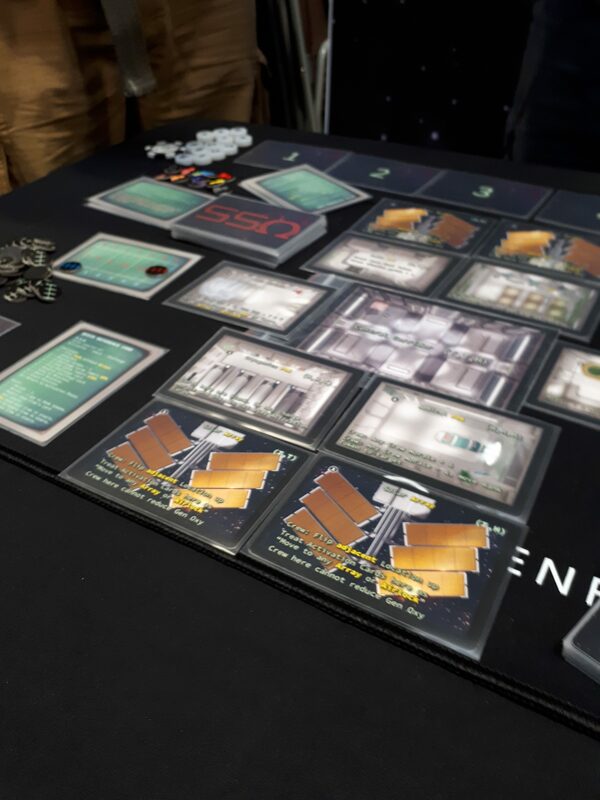 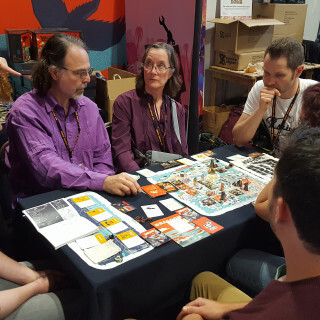 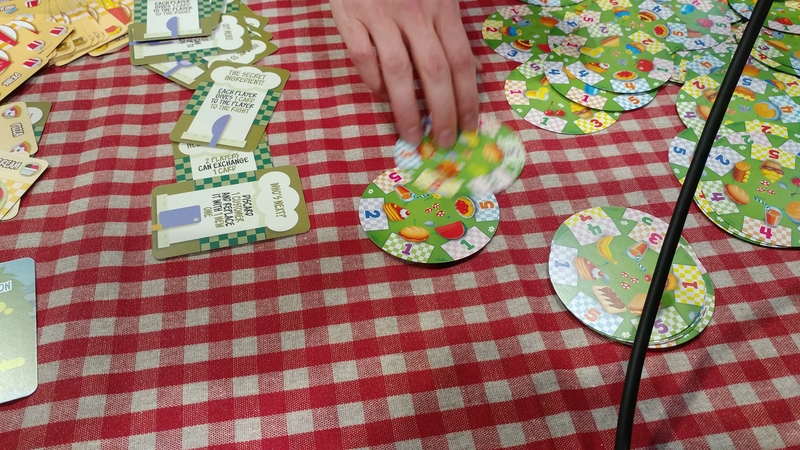 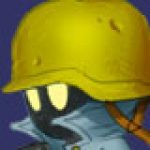 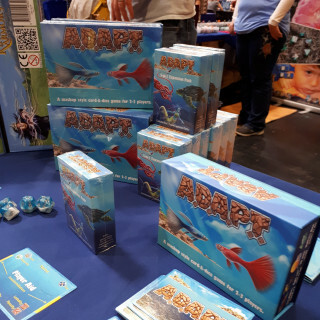 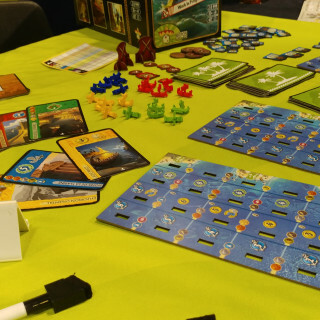 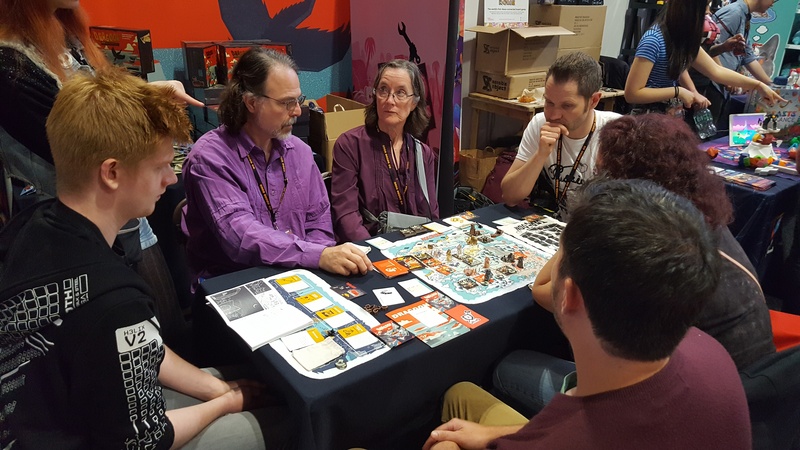 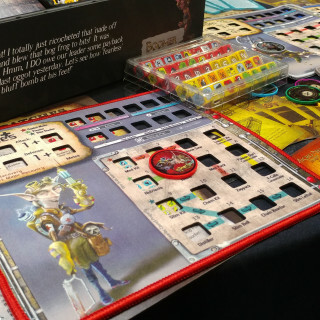 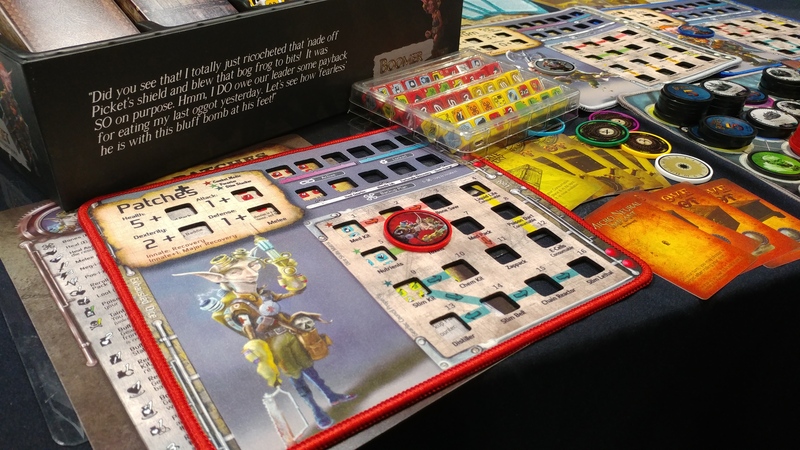 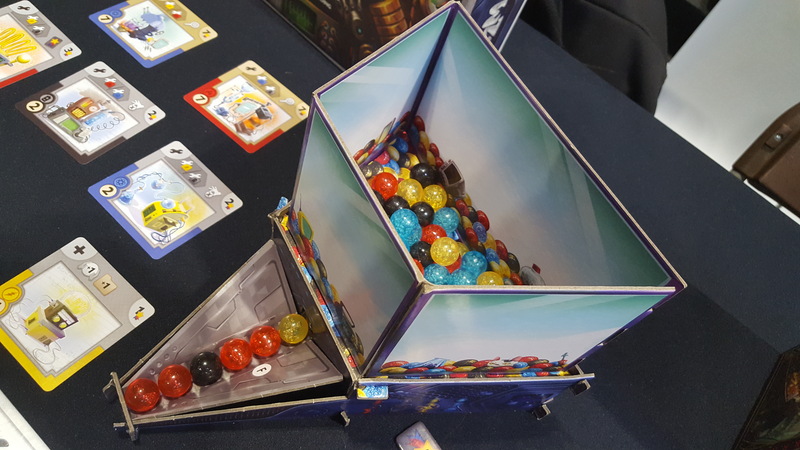 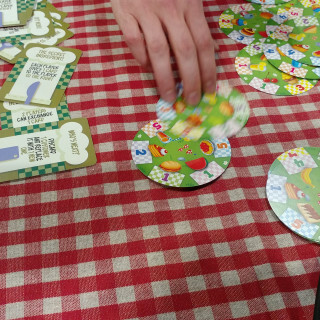 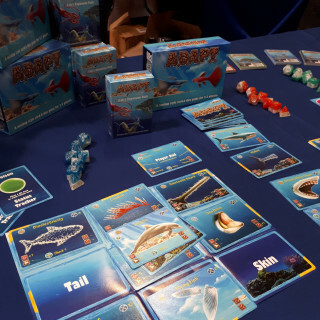 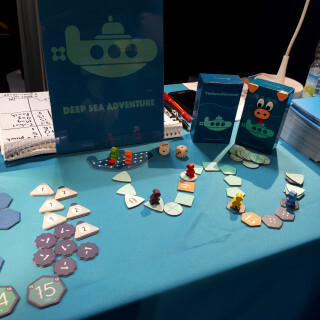 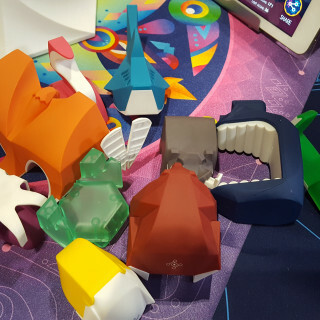 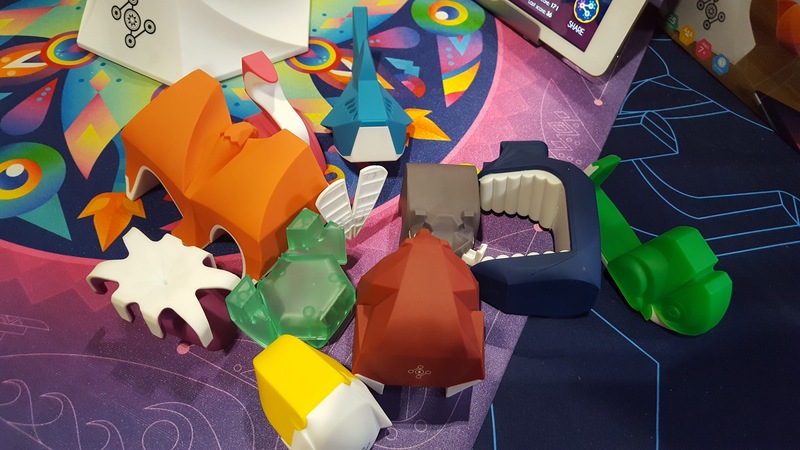 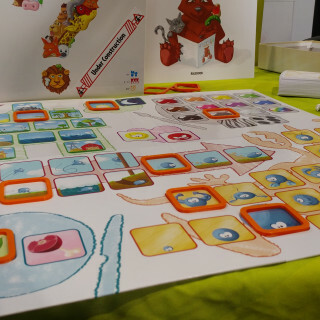 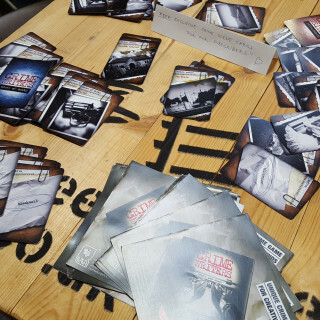 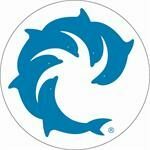 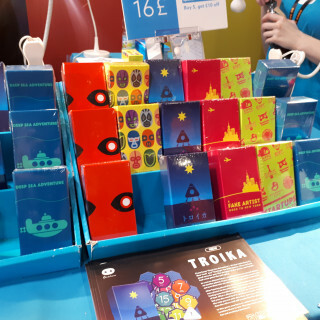 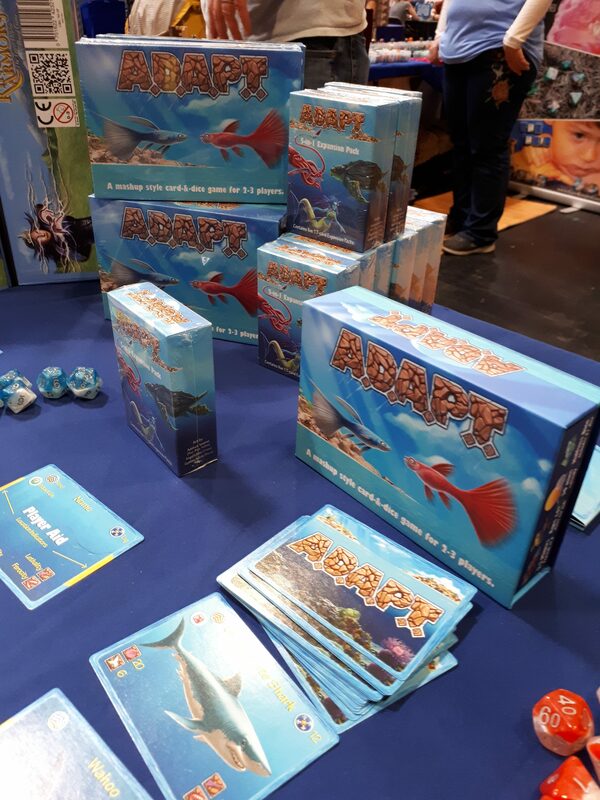 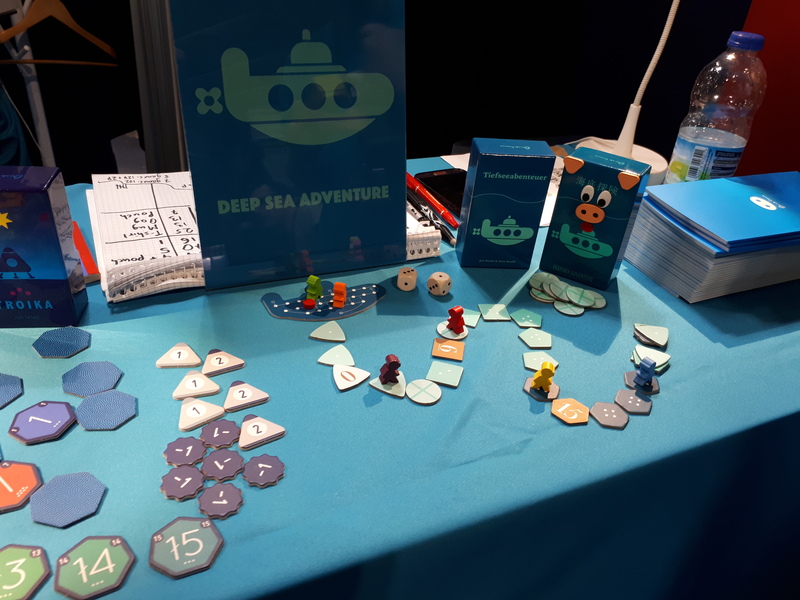 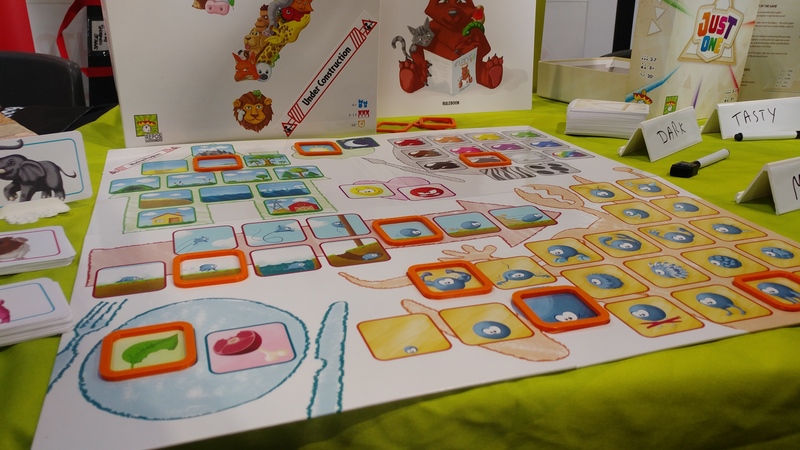 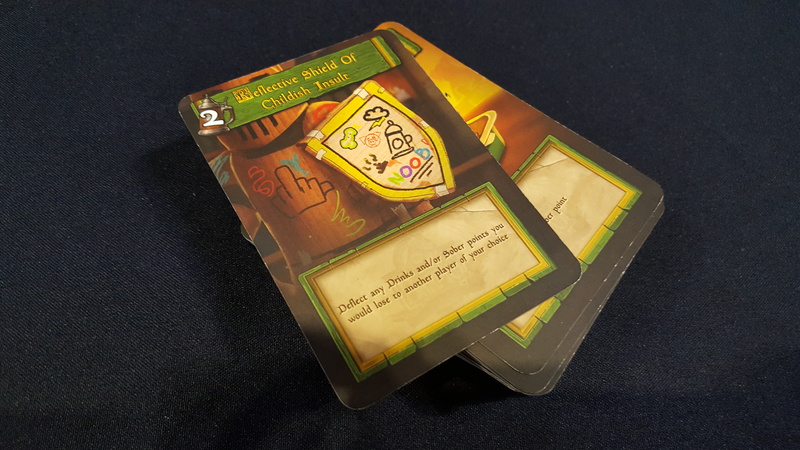 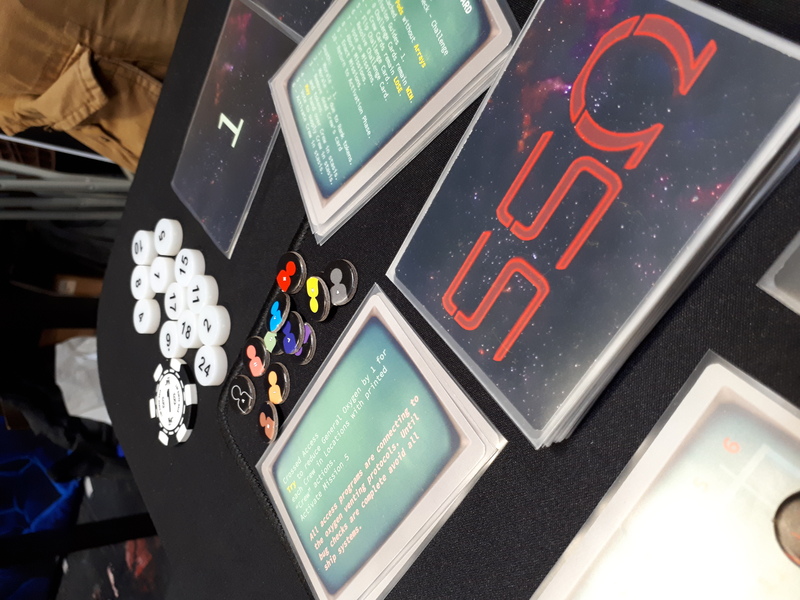 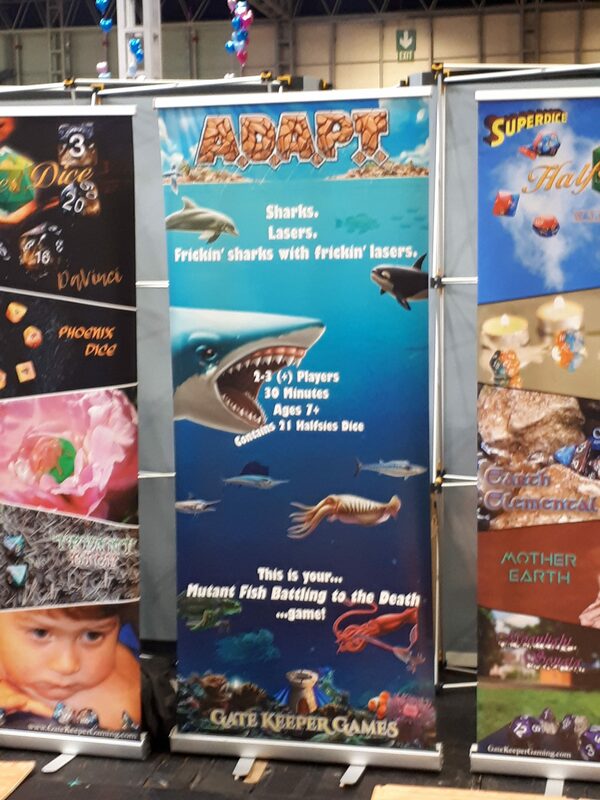 Oink Games have a couple of their quick, fun games with them at this year’s UKGE, including Deep Sea Adventure, a game I can personally vouch for. 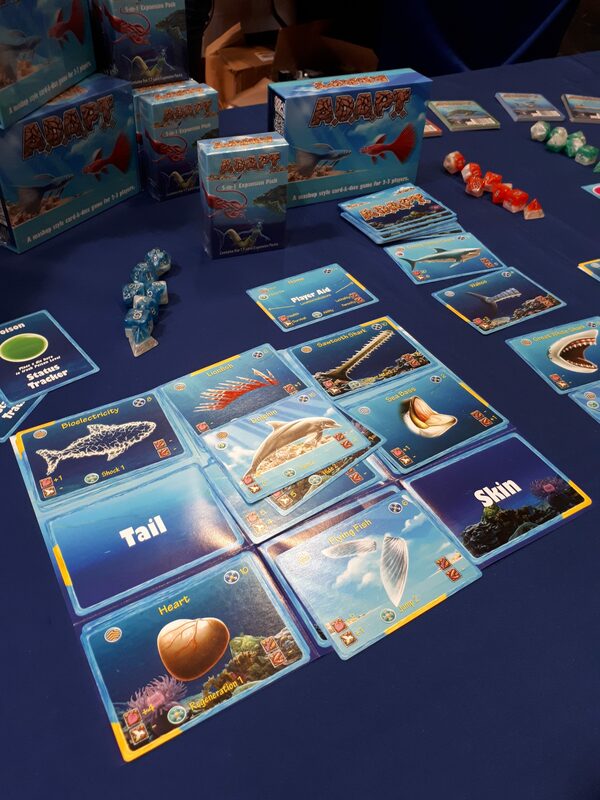 Comment for your chance to win Deep Sea Adventure. 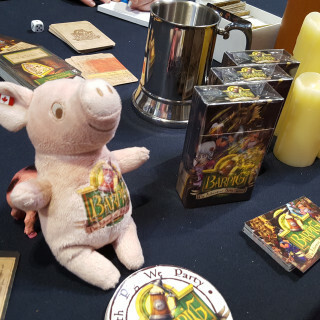 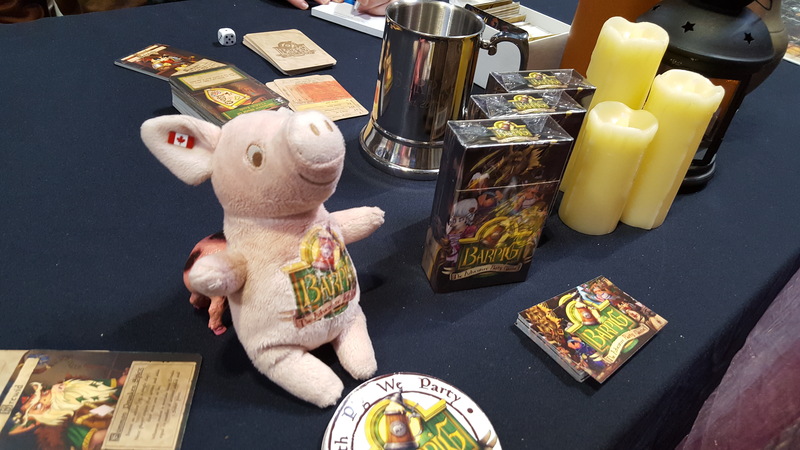 The bar has opened for a new game, Bar Pig, a fun card-based game that’s perfect to play while enjoying a pint. 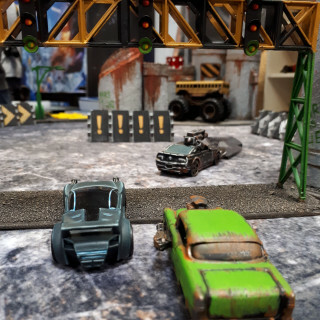 Let us know what you think of this game in the comments below. 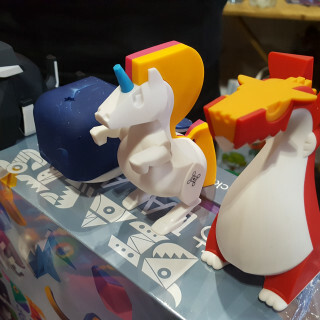 ""Everything'sSoColourfulILoveIt!!!" 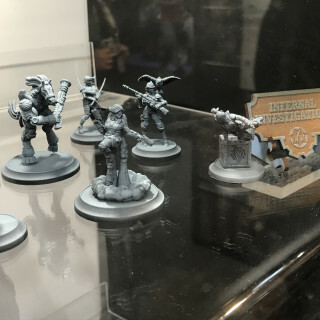 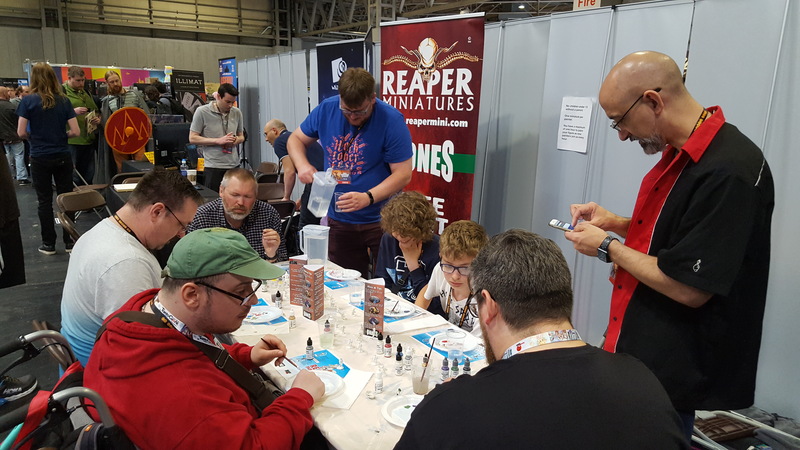 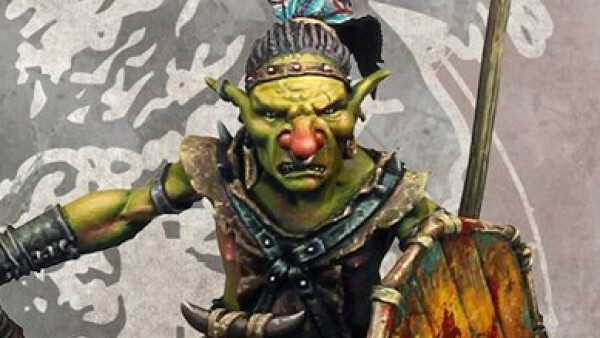 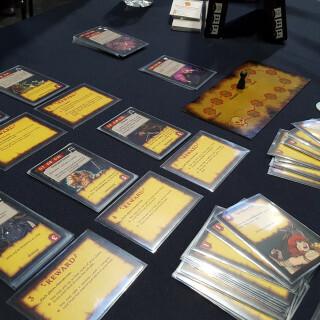 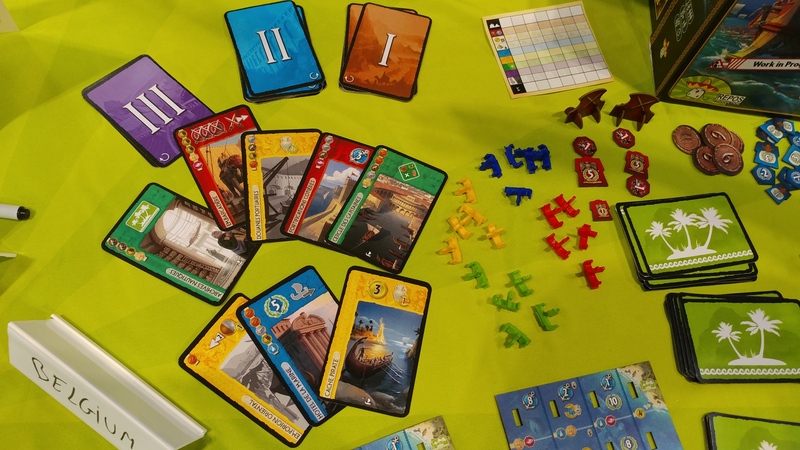 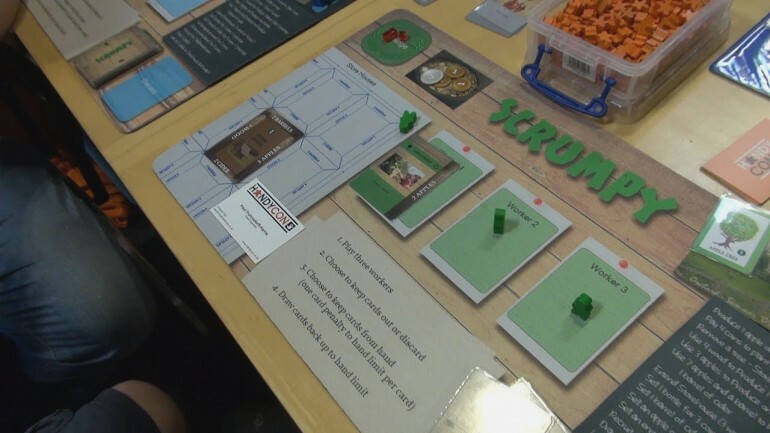 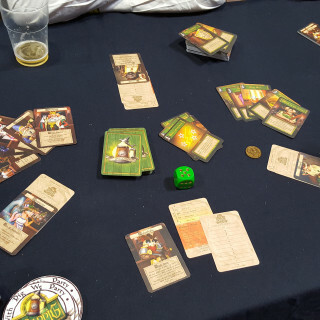 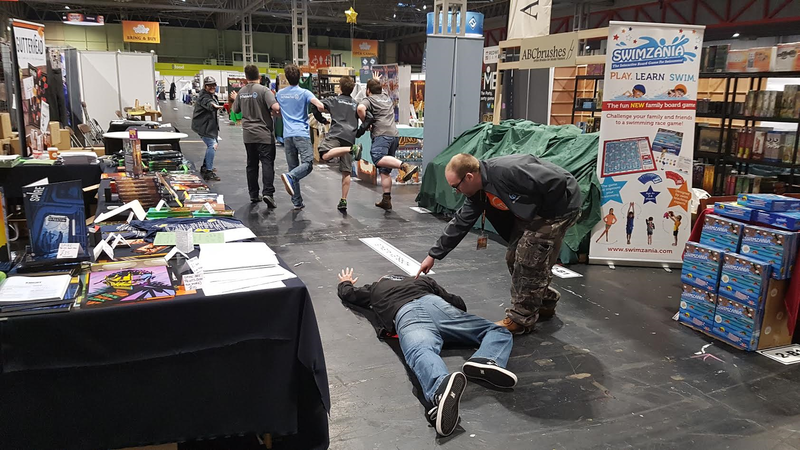 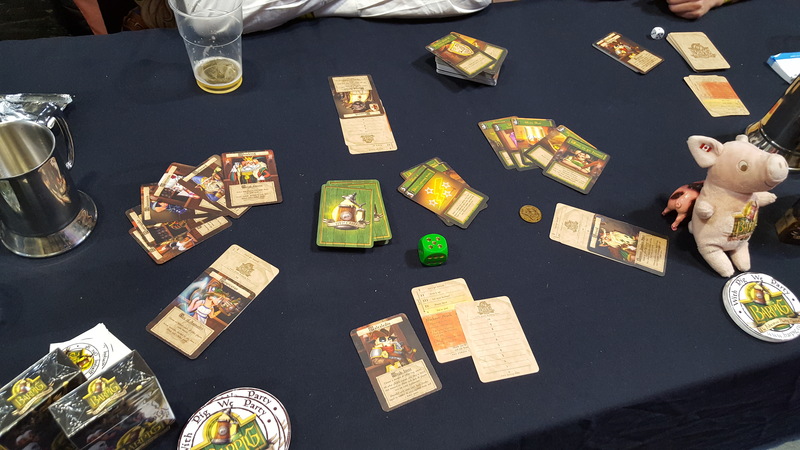 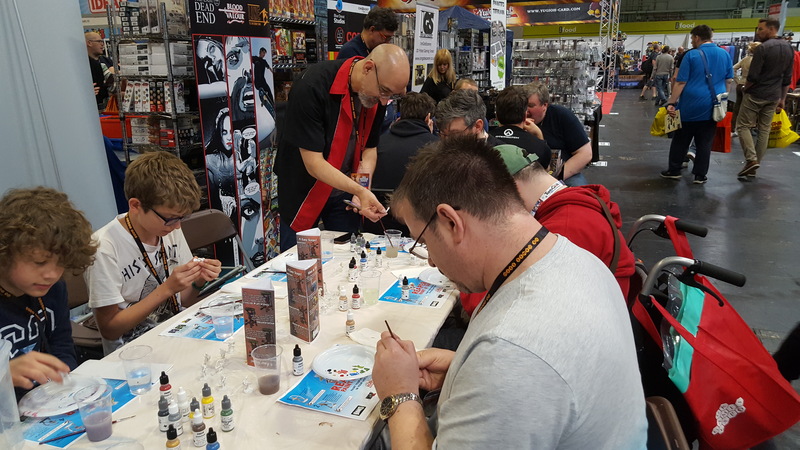 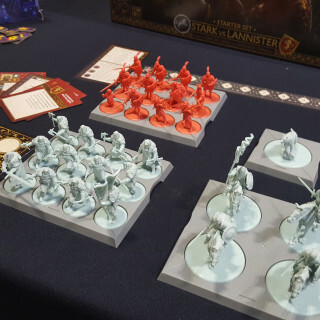 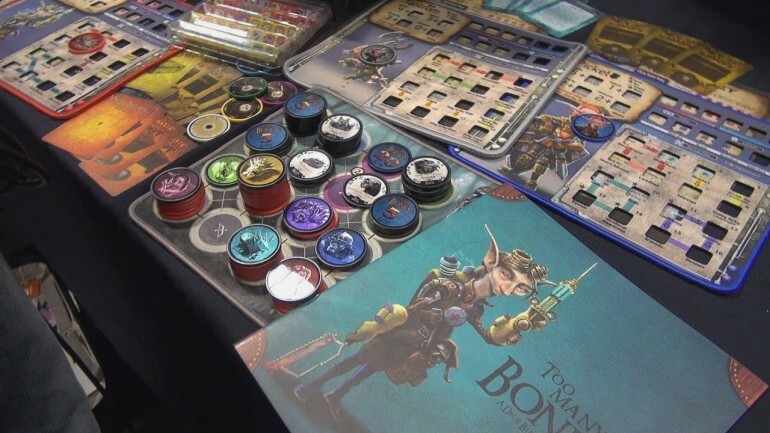 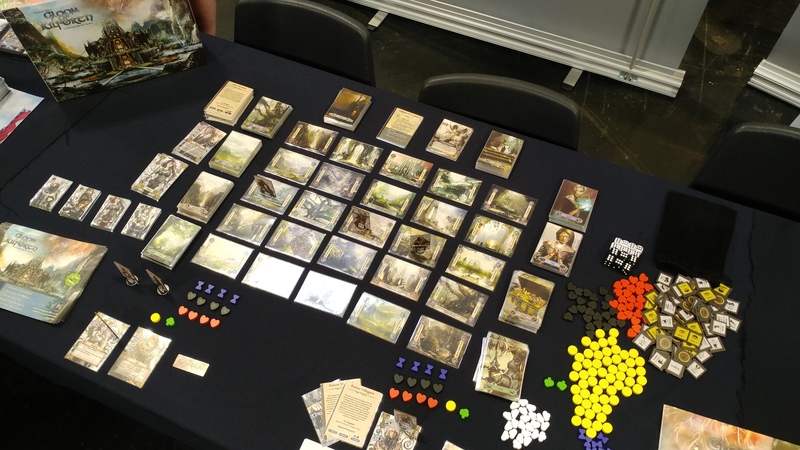 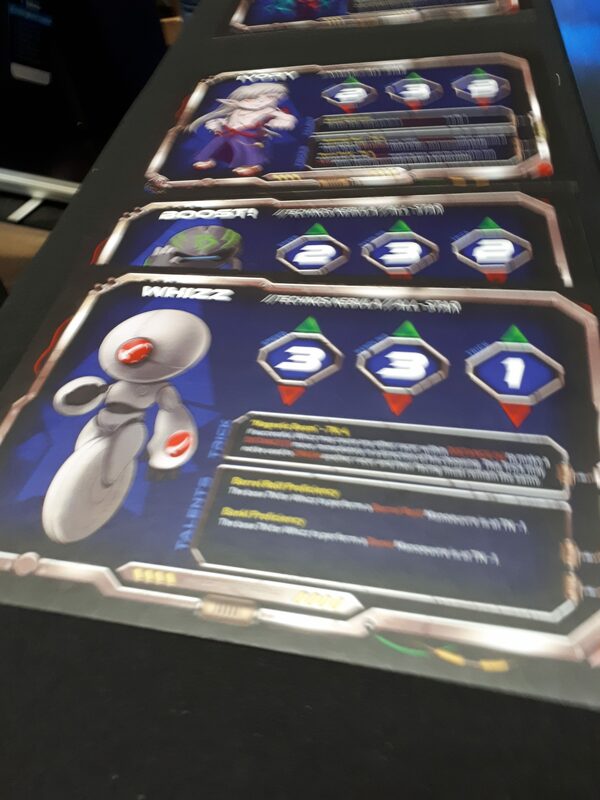 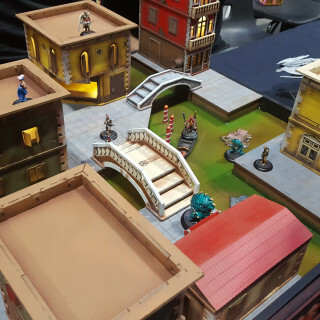 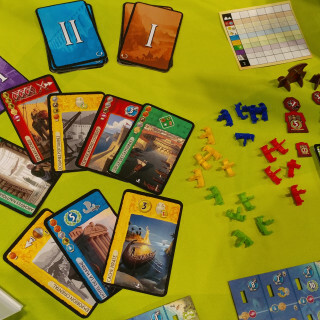 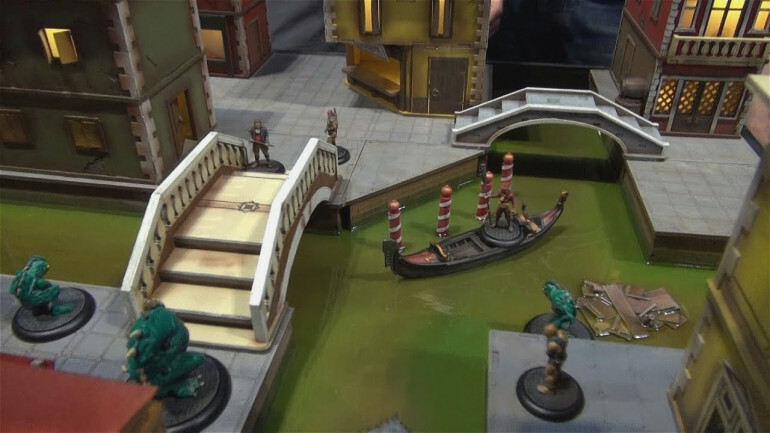 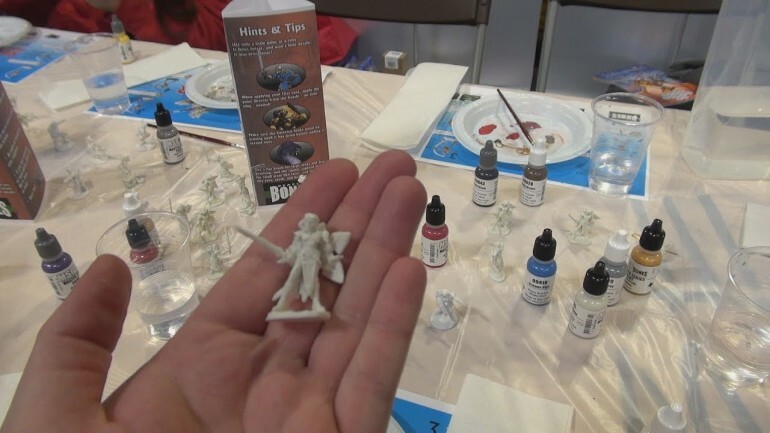 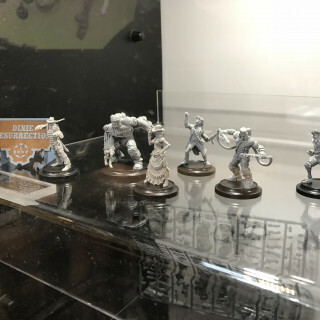 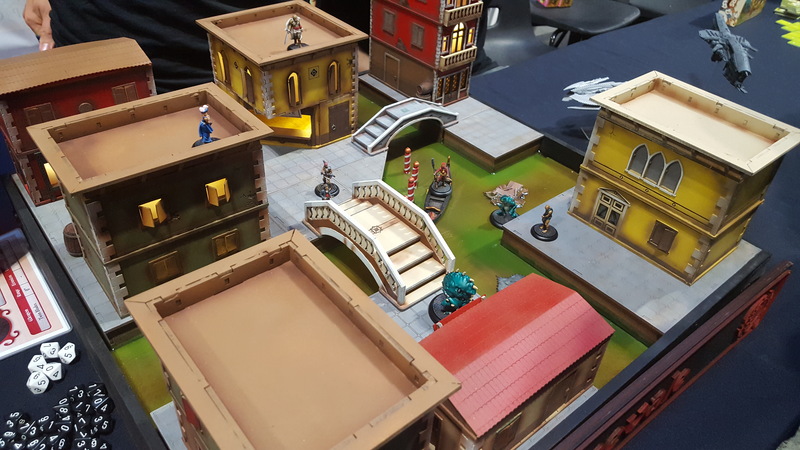 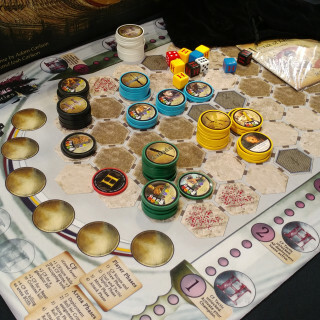 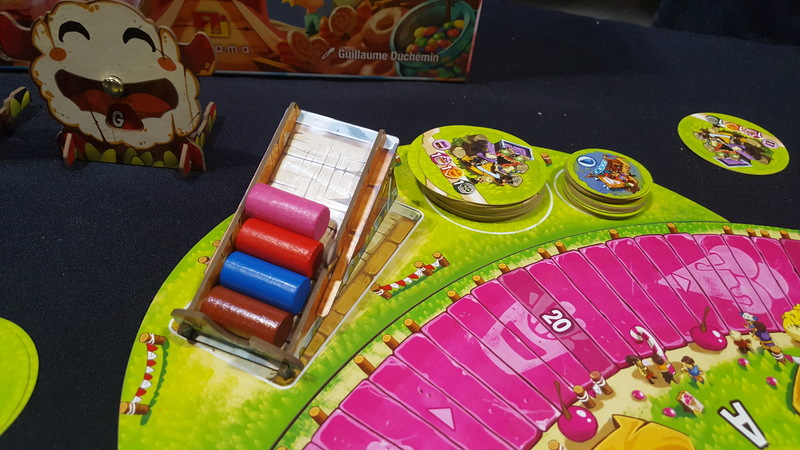 - Someone On Way Too Much Sugar"
Infamy Games are here at UKGE demonstrating their upcoming game Infamy Brawl, taking their fantastic miniatures to the tabletop. 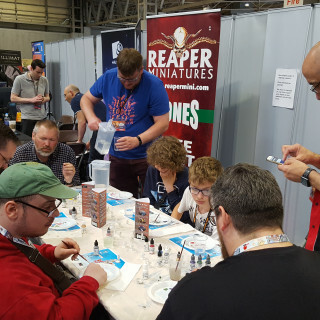 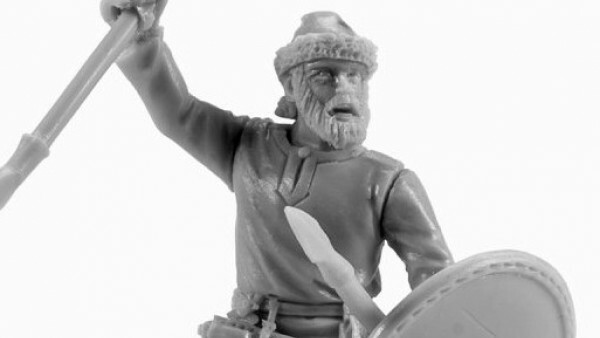 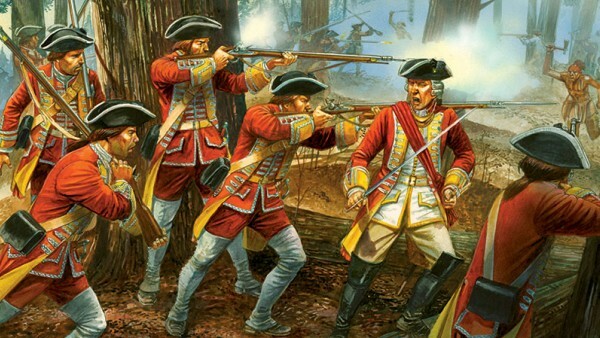 Comment below for your chance to win the Holmes and Crookes miniatures. 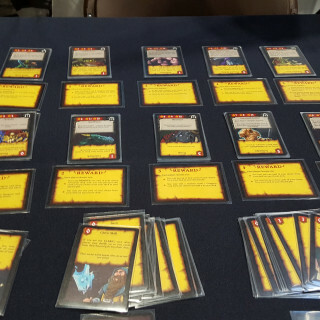 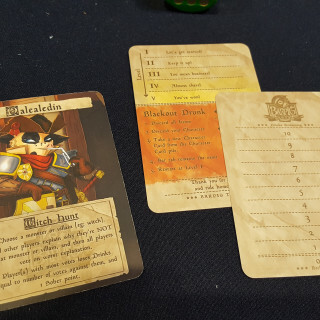 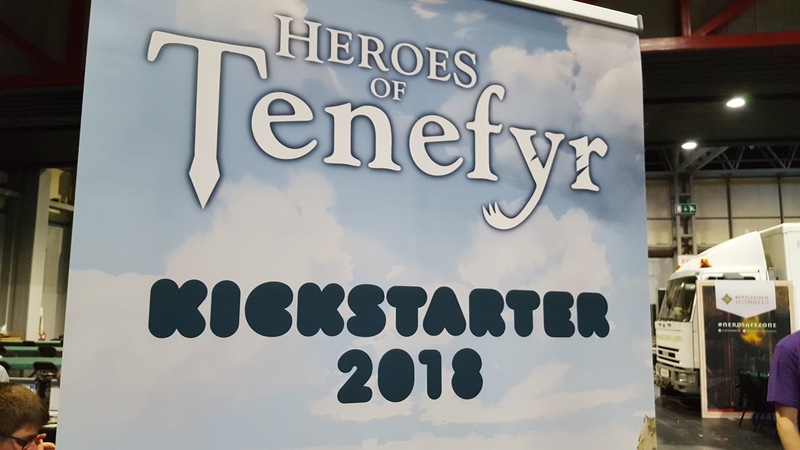 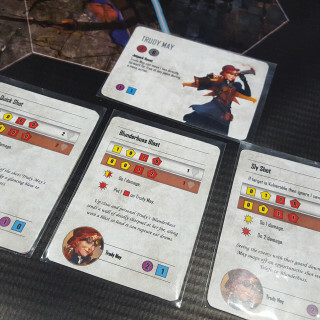 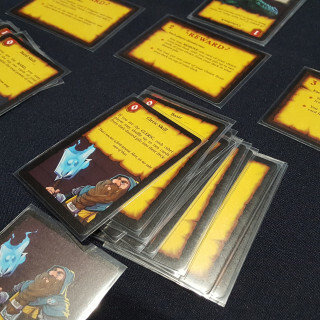 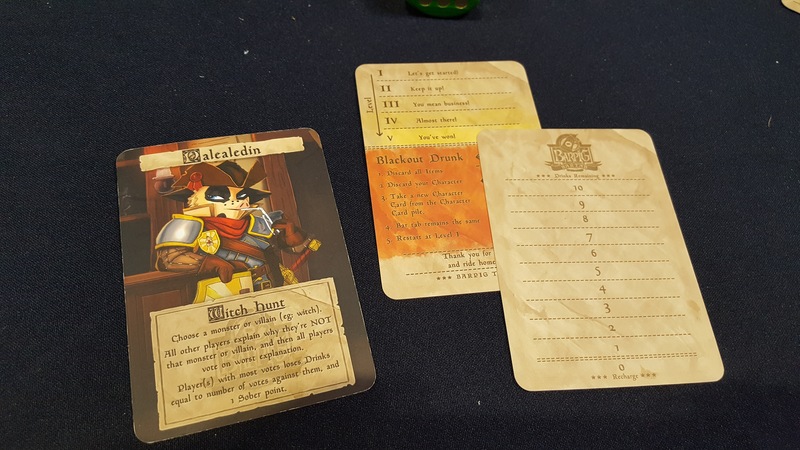 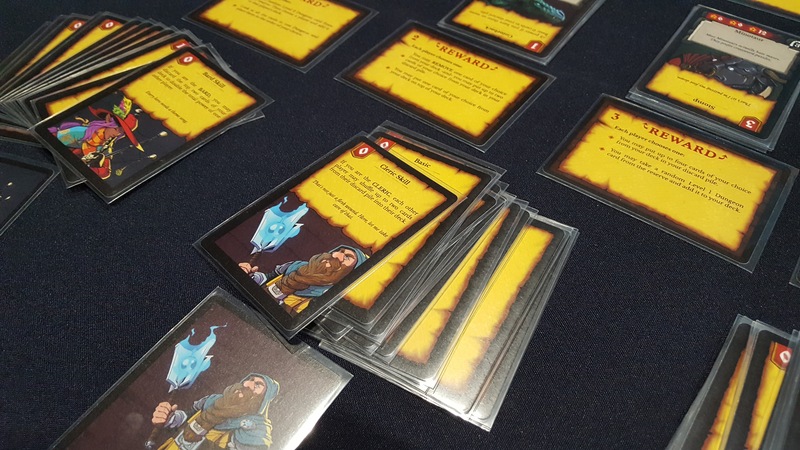 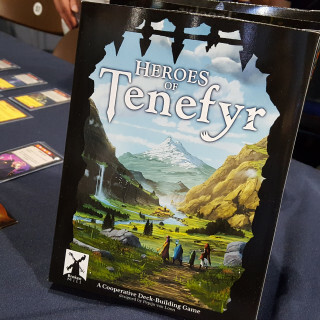 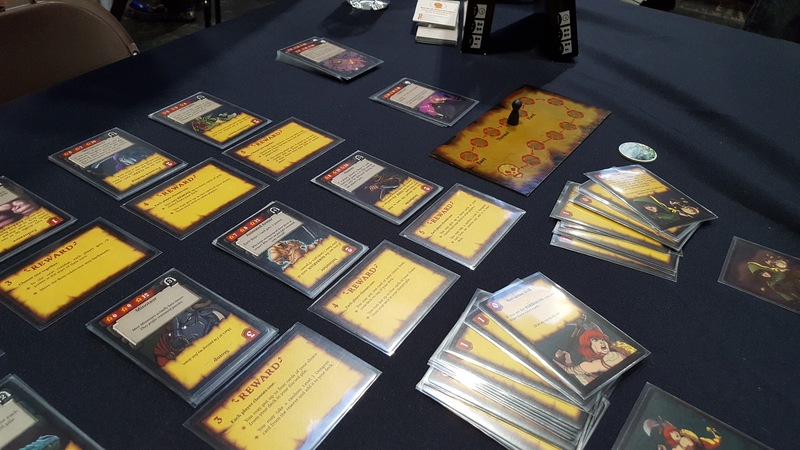 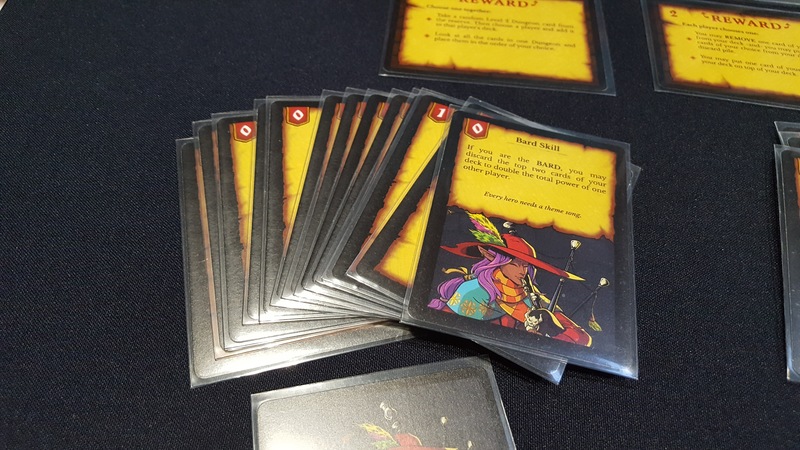 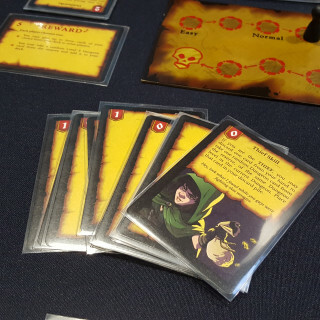 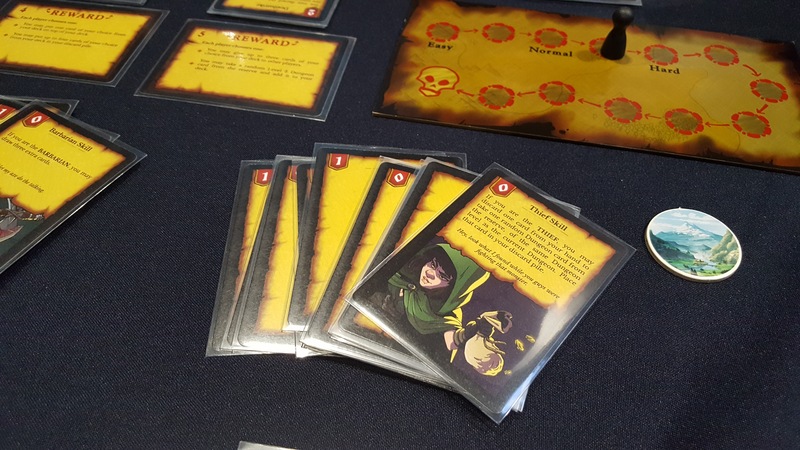 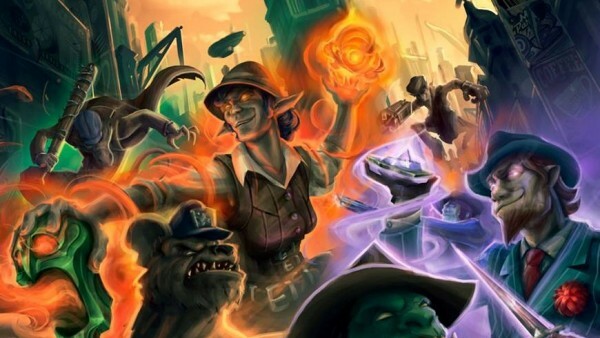 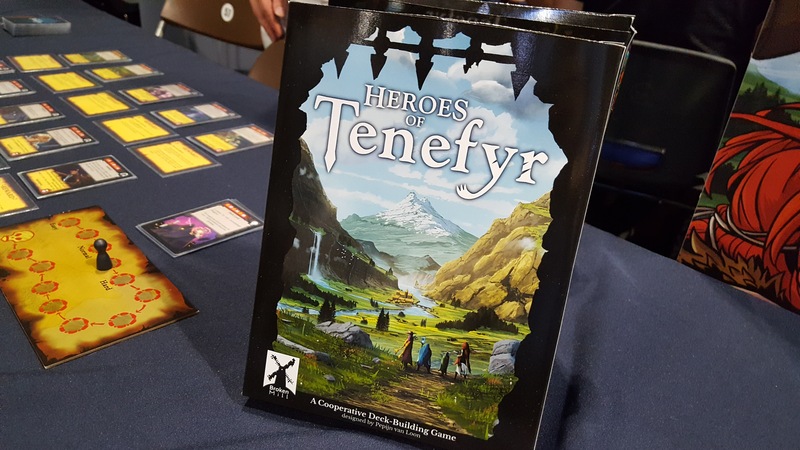 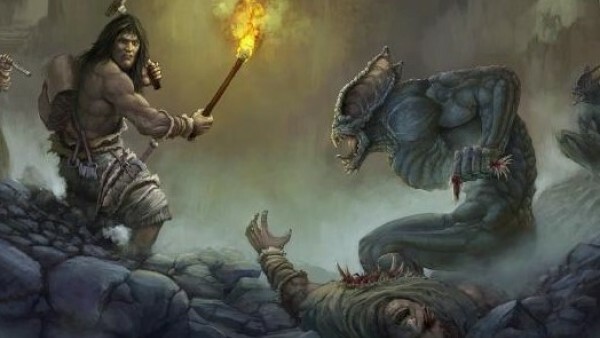 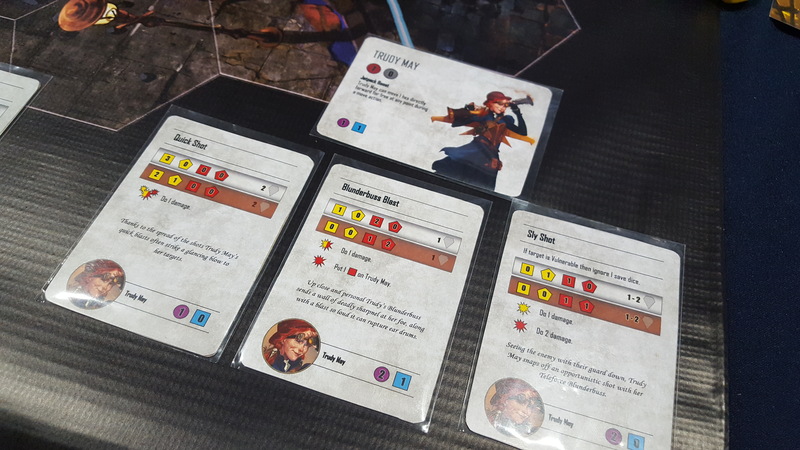 Broken Mill Games give us a look at their new cooperative dungeon delving card game Heroes of Tenefyr, which they will soon be bringing to Kickstarter. 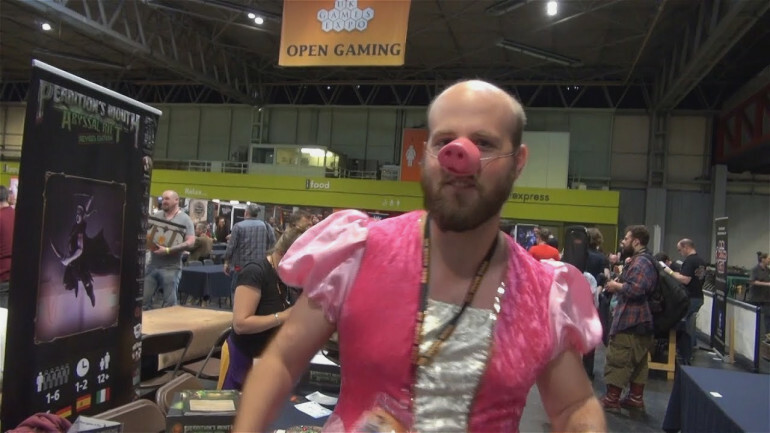 Live Streams have been going well today. 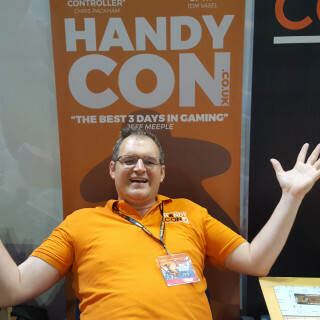 Now Ben takes his turn in the chair to talk with all the awesome game creators and companies here today. 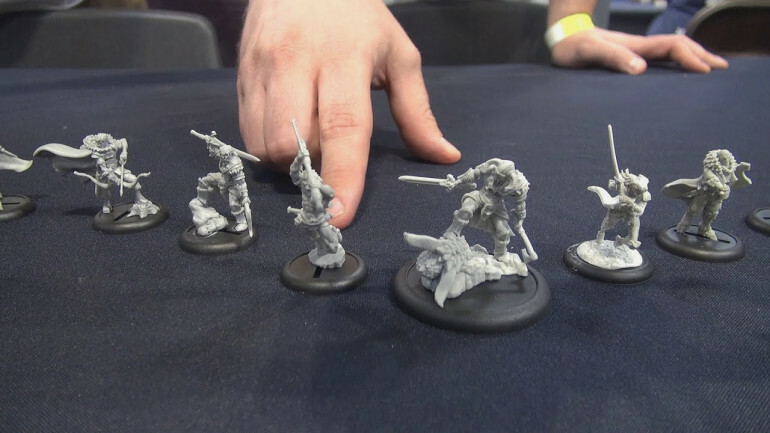 Head over to the Live Stream to check it out. 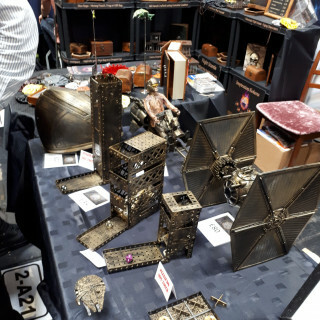 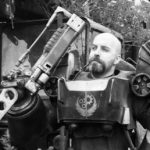 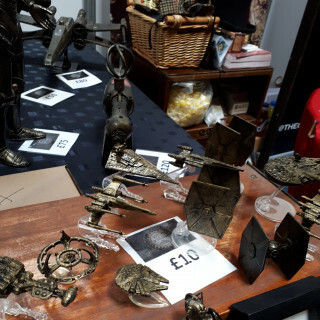 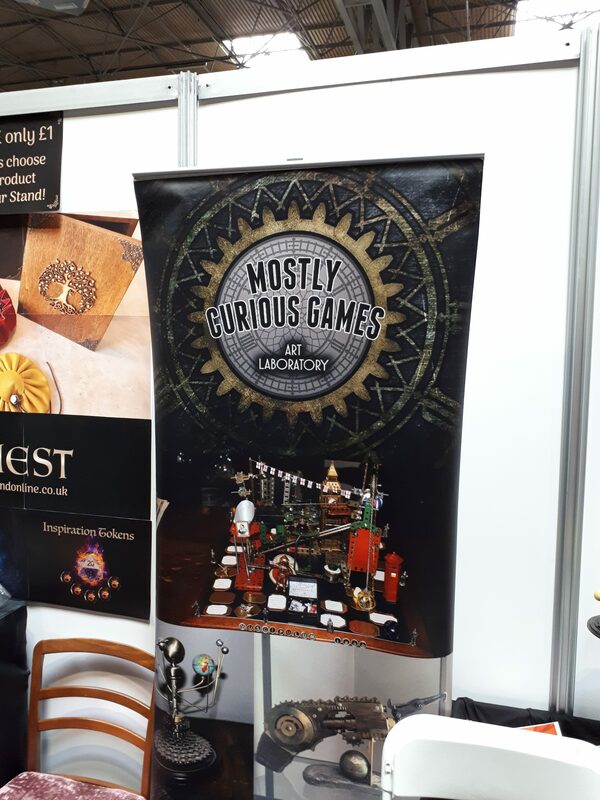 Ben chats to Mark from Mostly Curious Games about the amazing steampunk models he has constructed and brought to the show floor. 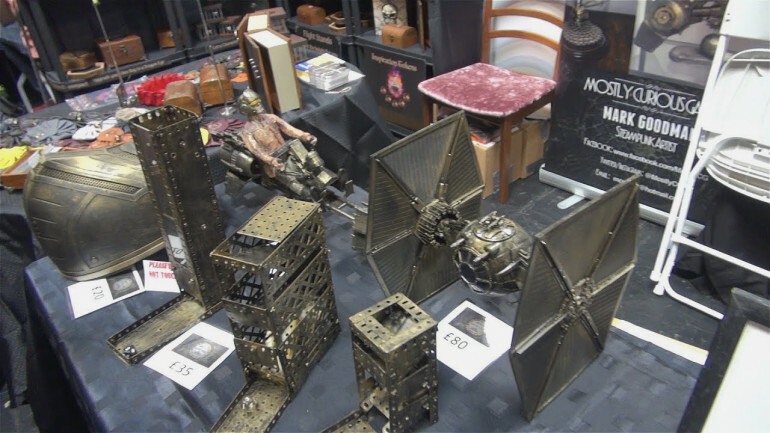 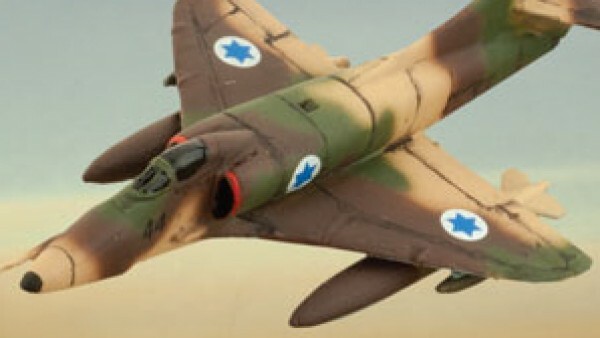 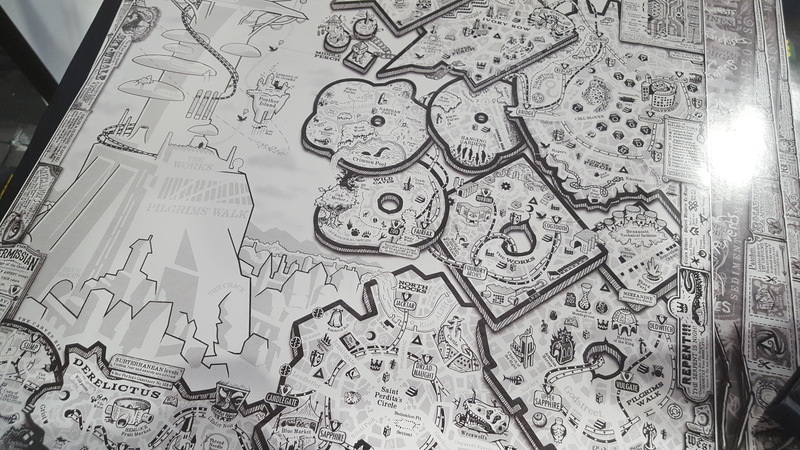 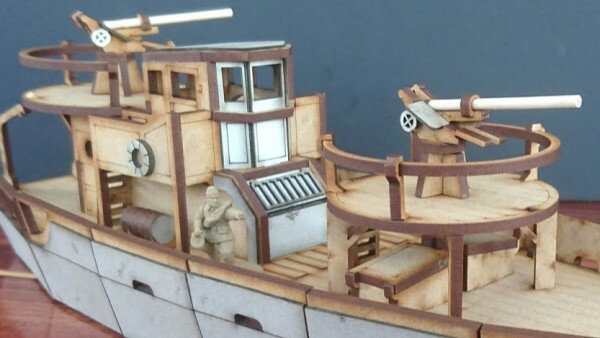 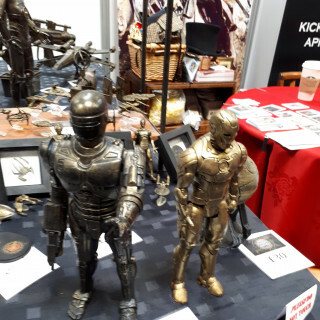 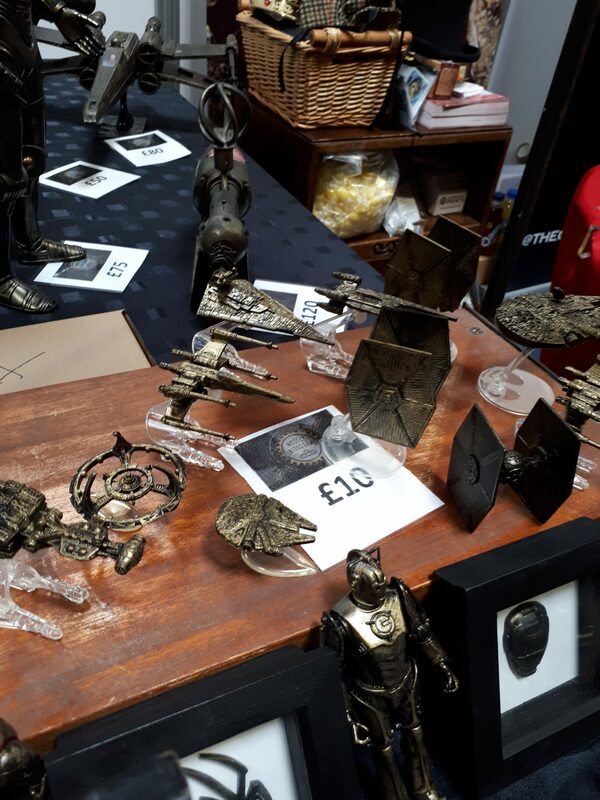 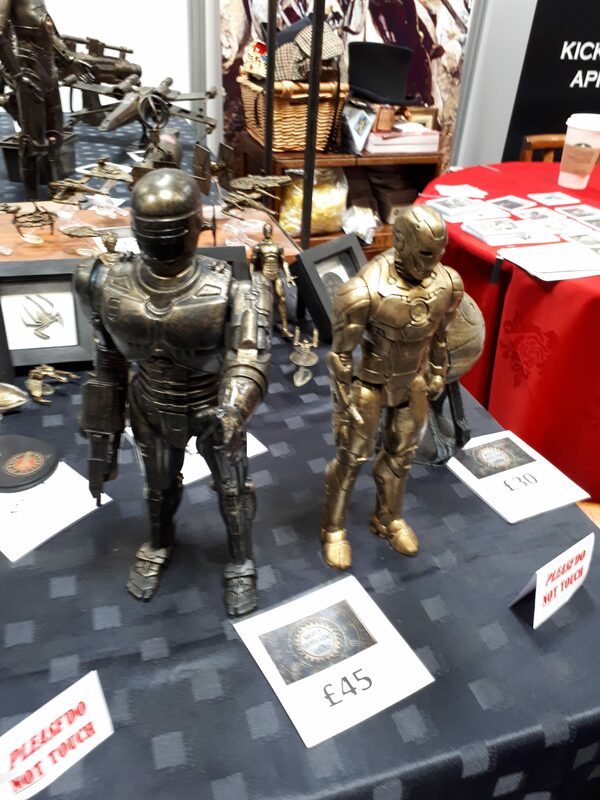 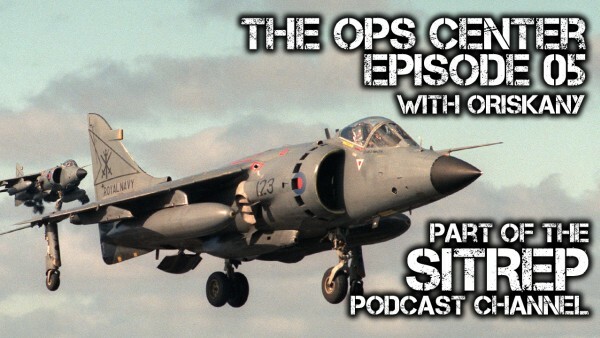 From dice towers to Star Wars homages, Mark has constructed some great collectable pieces. 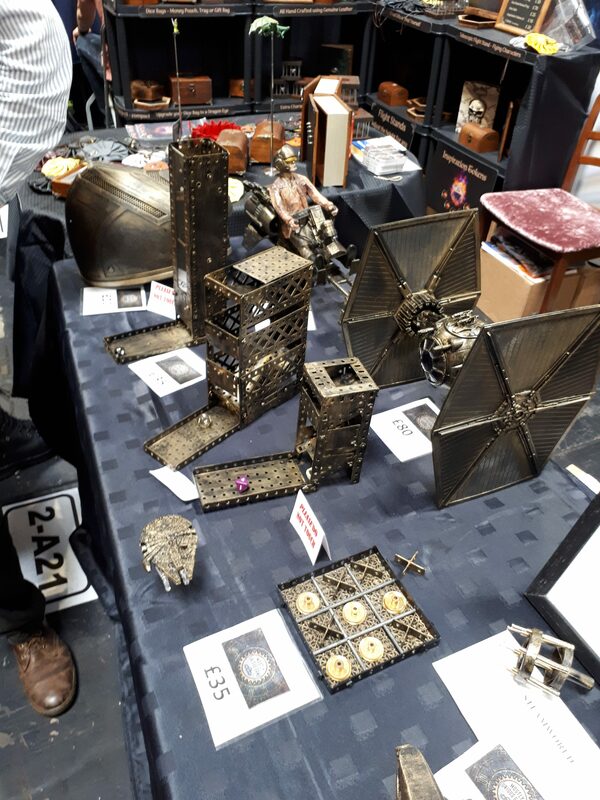 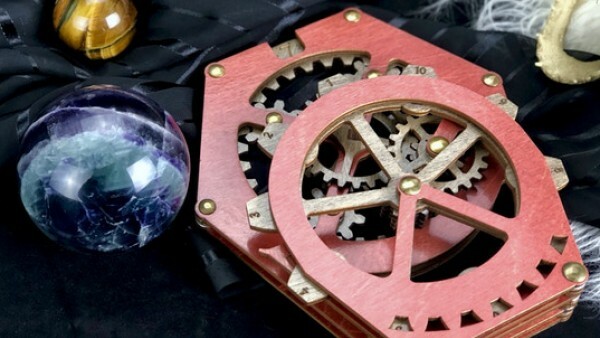 Comment below to win a steampunk Millenium Falcon piece! 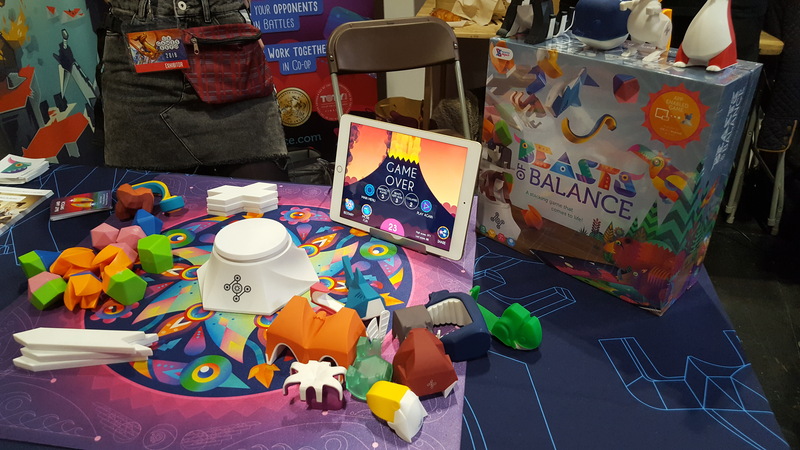 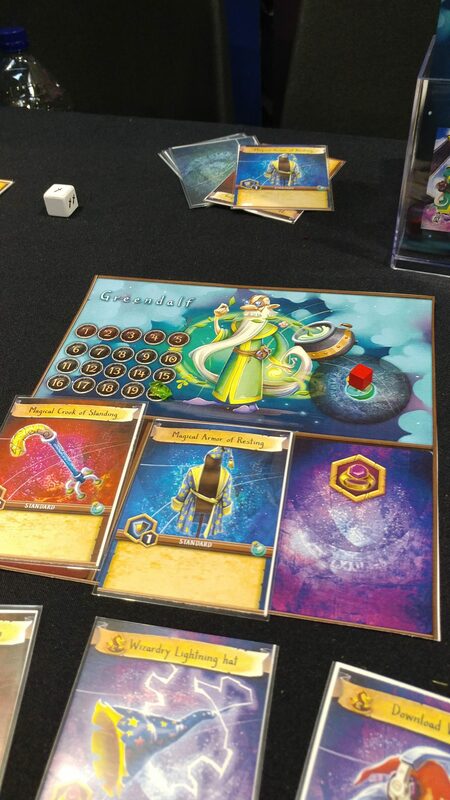 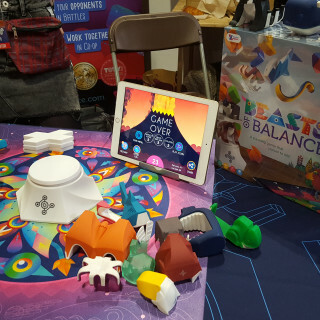 Ben is with Alice and Anna from Sensible Object to talk about Beasts of Balance. 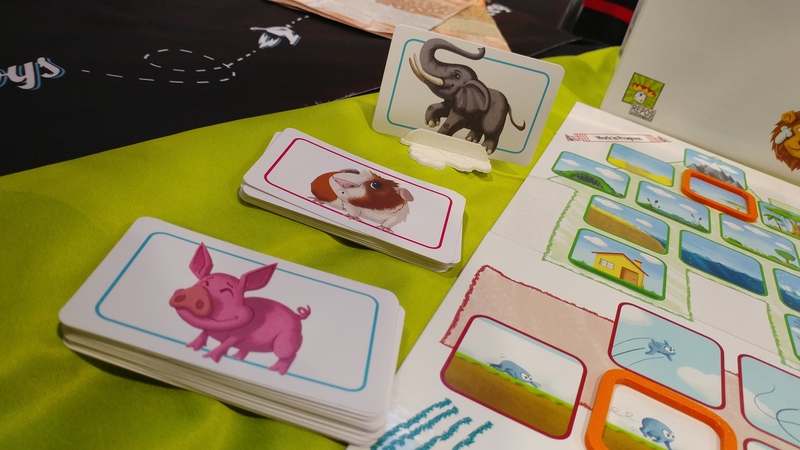 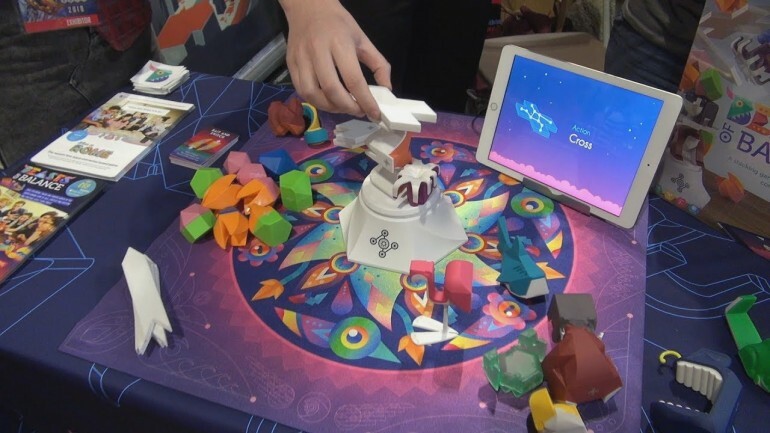 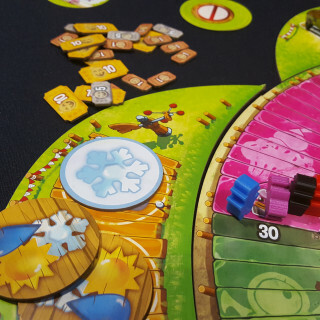 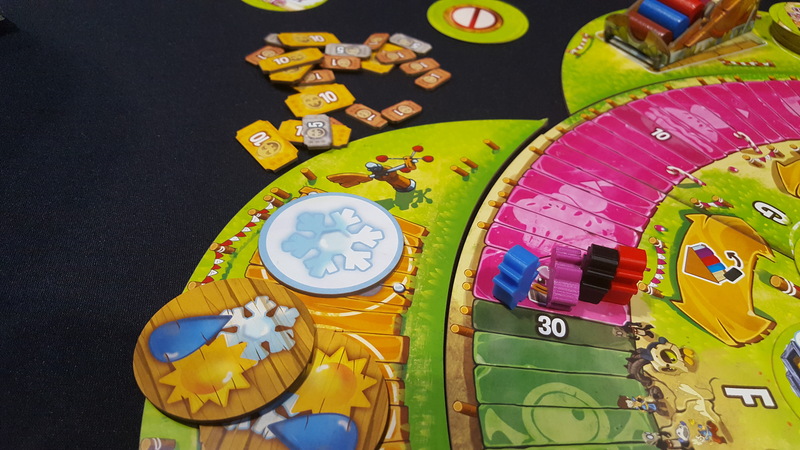 It’s a colourful, inventive game about building towers of animals. 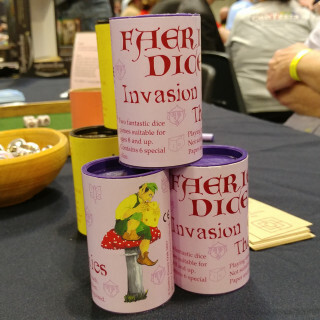 Copies are selling out quick of this always popular game! 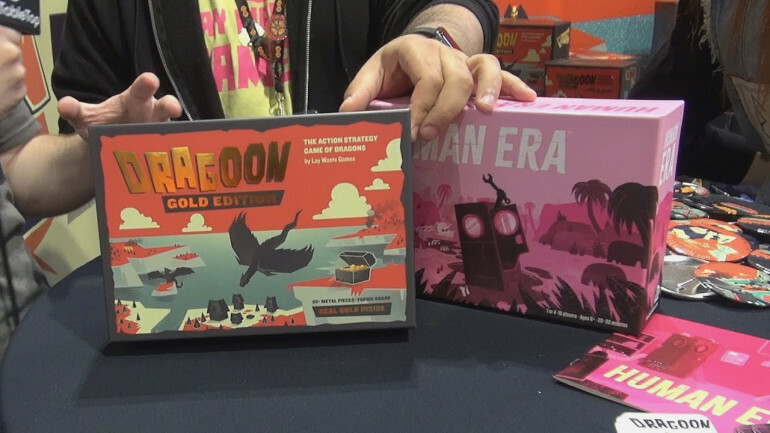 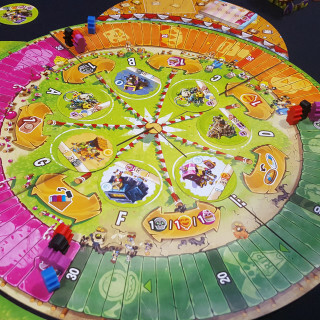 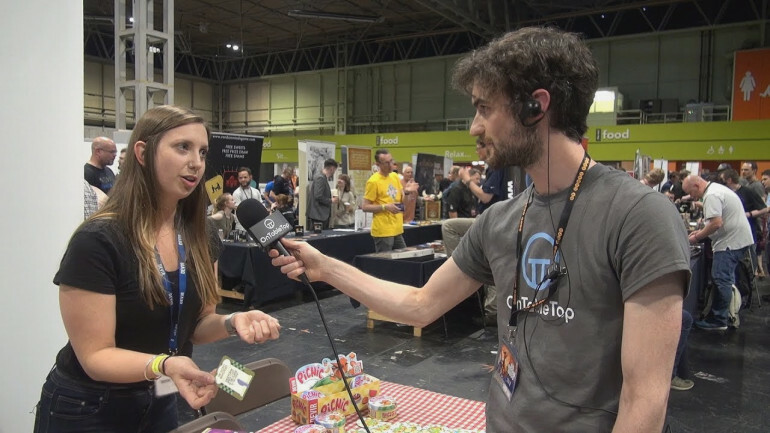 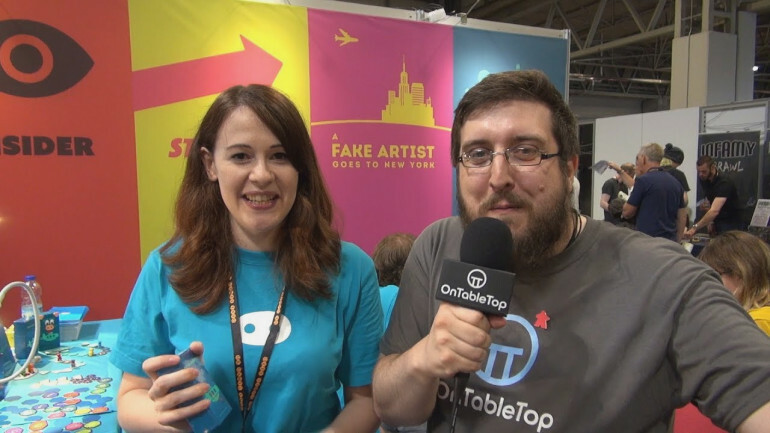 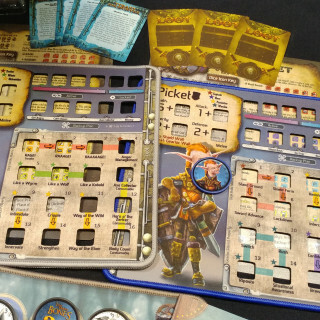 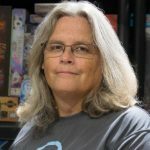 Sam joins Victoria to talk about an array of games from CMON. 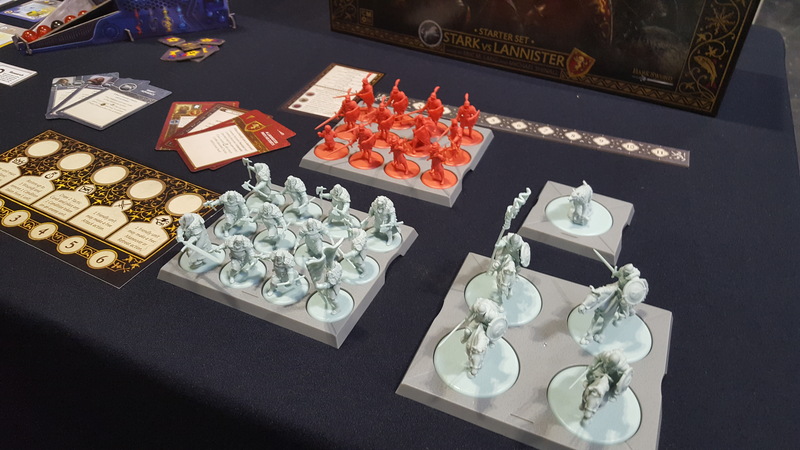 First up is their in-depth Game of Thrones miniatures games (of which you can find several Let’s Plays on our site). 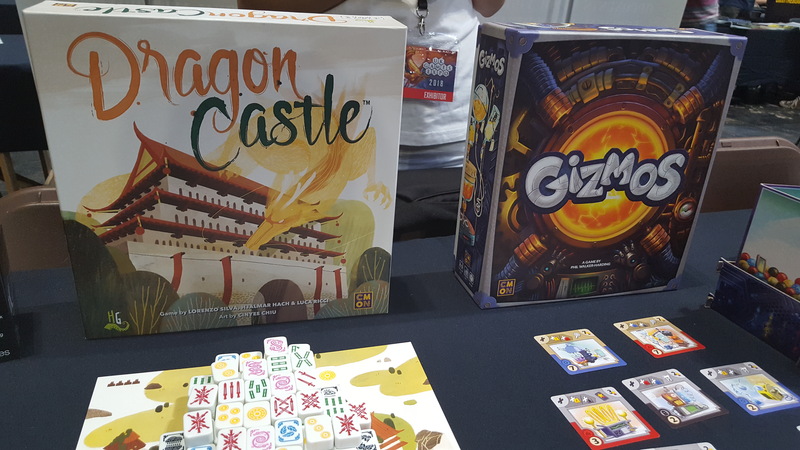 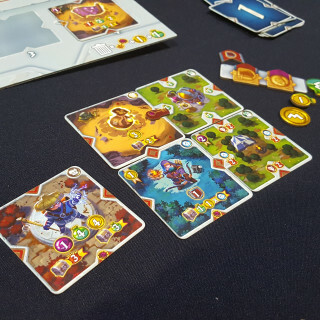 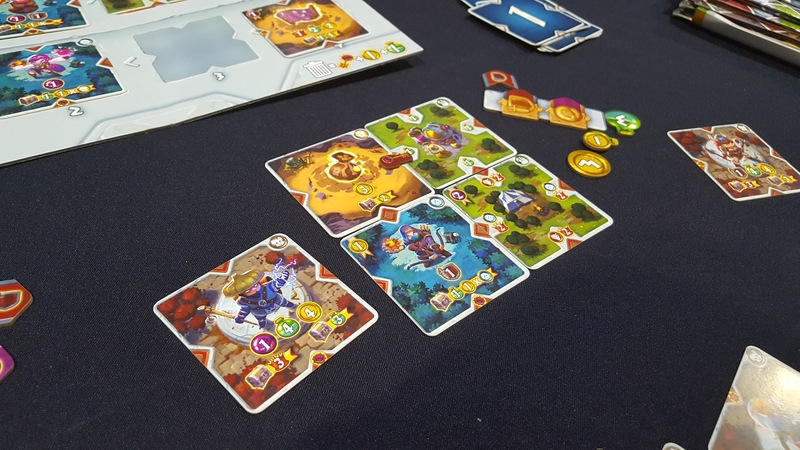 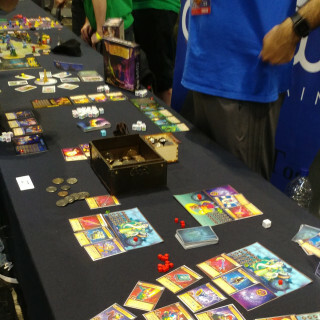 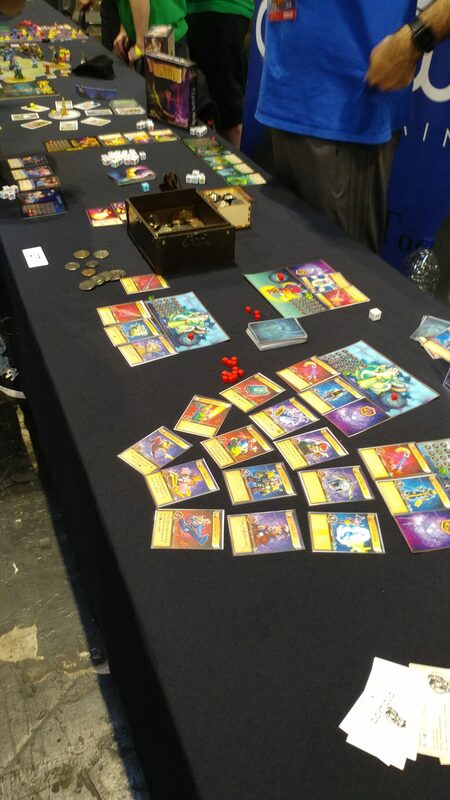 But Sam also gets to see three of their newer titles on the show floor: Dragon Castle, Gizmos and Way of the Panda. 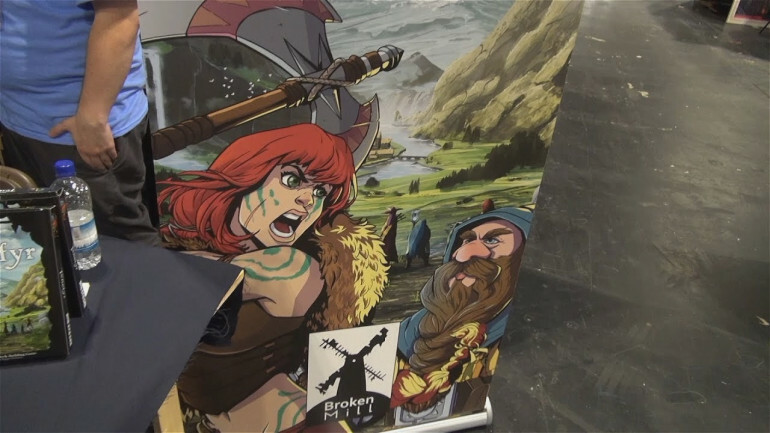 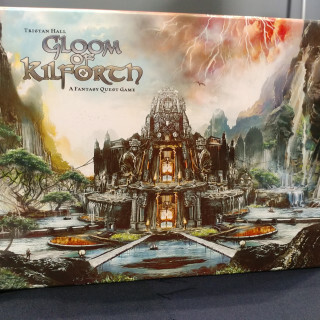 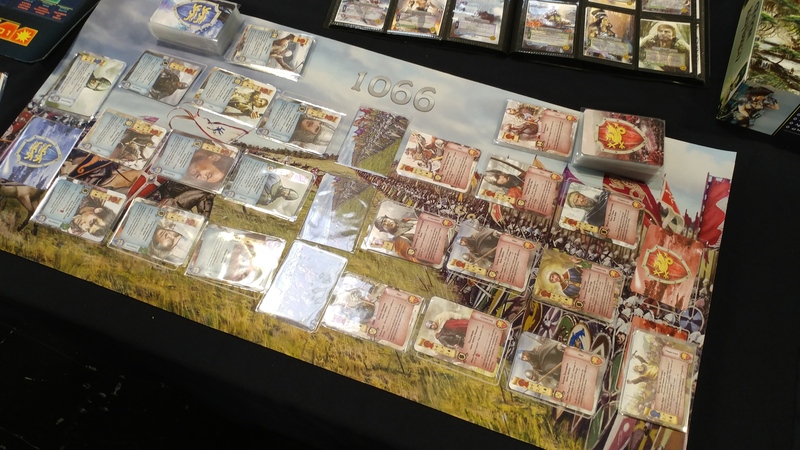 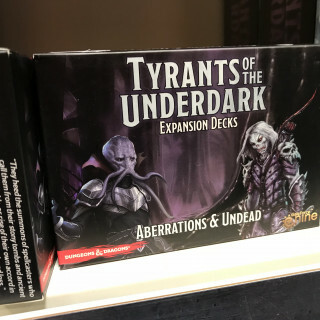 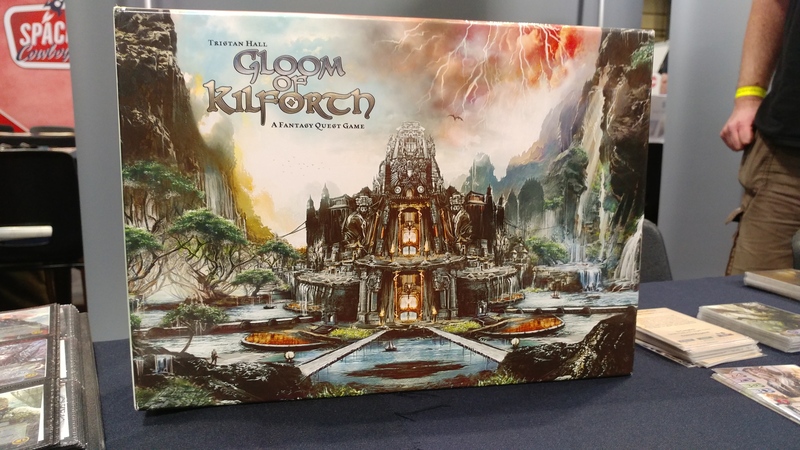 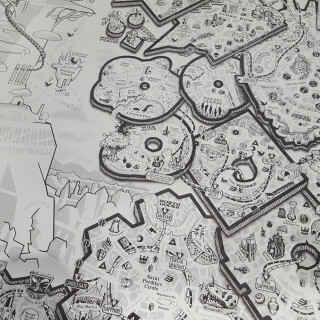 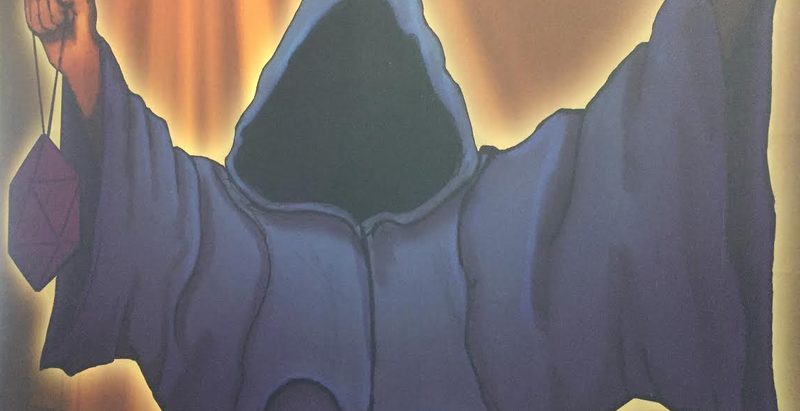 Justin gets to see Gloom of Kilforth and Lifeform with Tristan from Hall or Nothing Productions, but he is also teased with the upcoming 1066 board game by them. 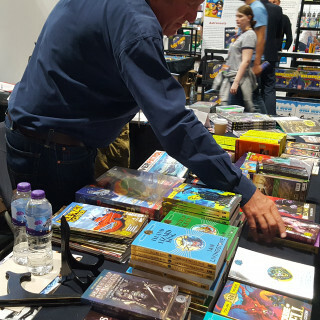 It’s an impressive range of fantasy, historical and sci-fi! 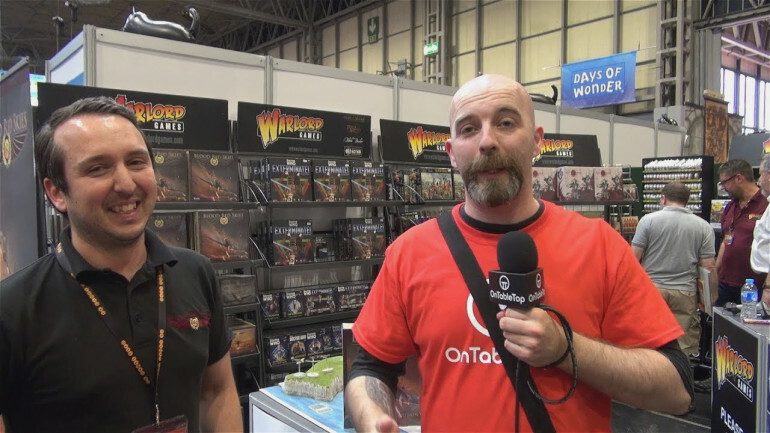 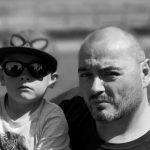 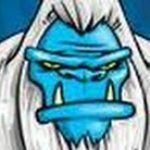 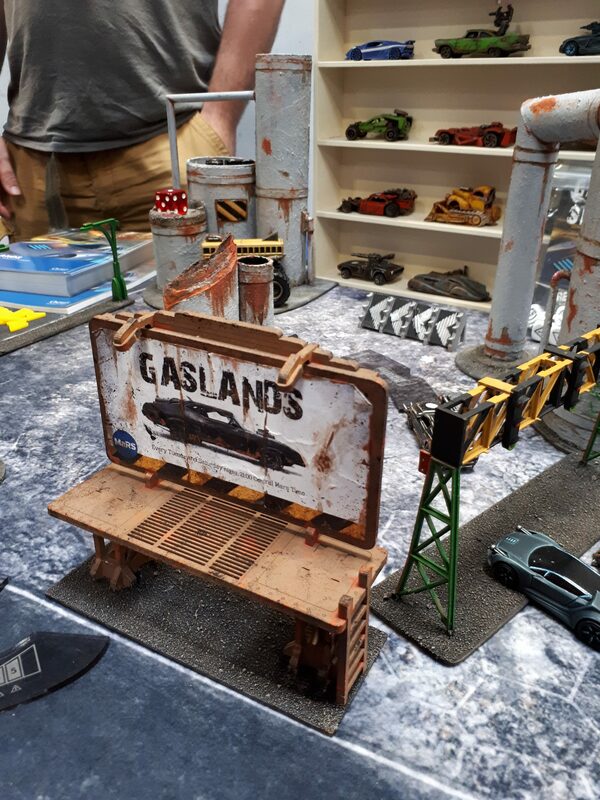 Ben chats to Mike from Osprey Publishing to show off Gaslands. 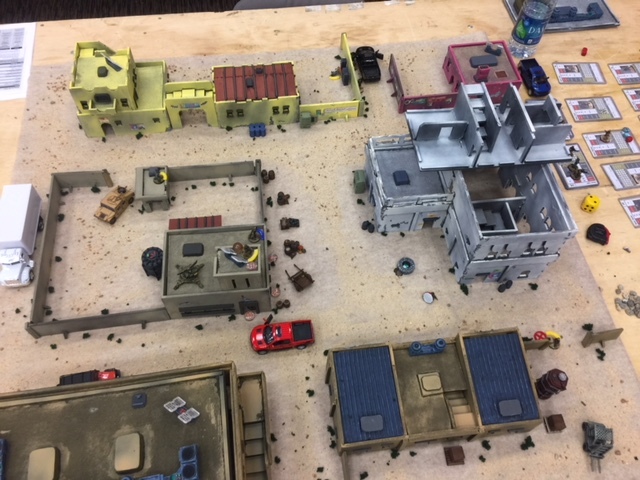 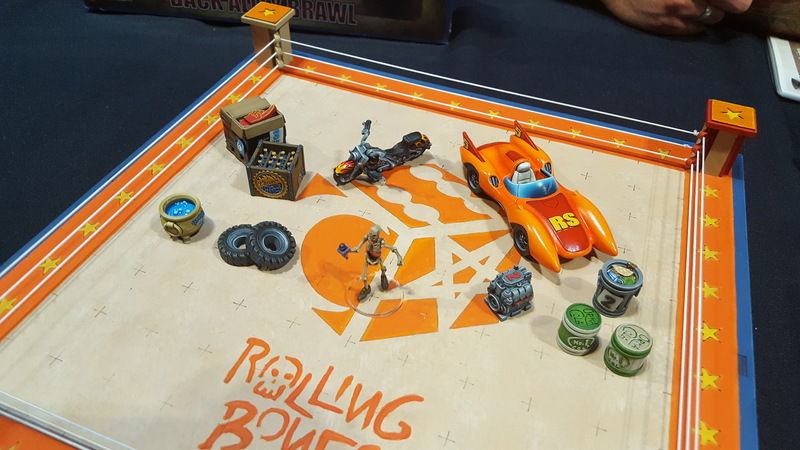 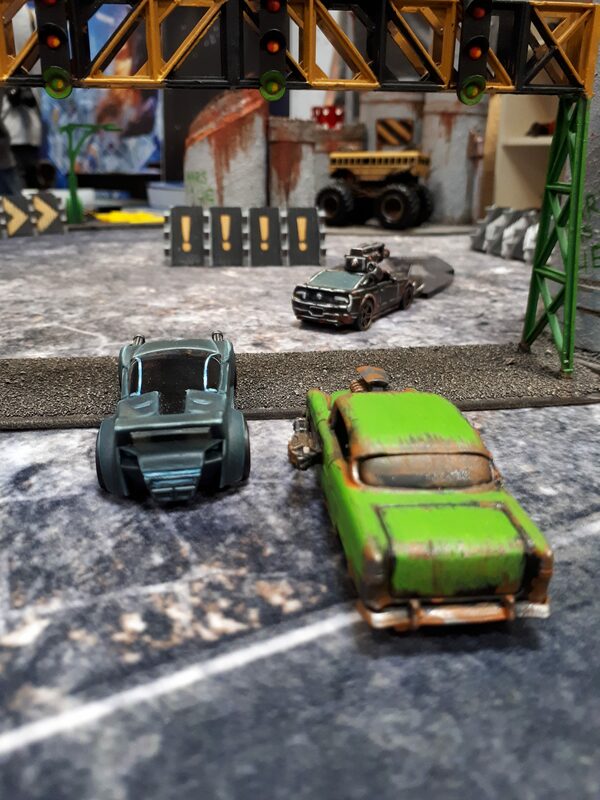 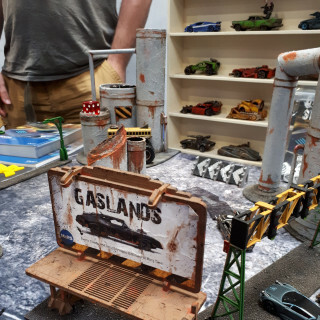 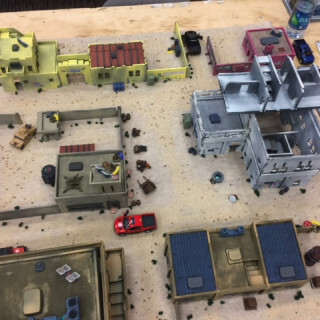 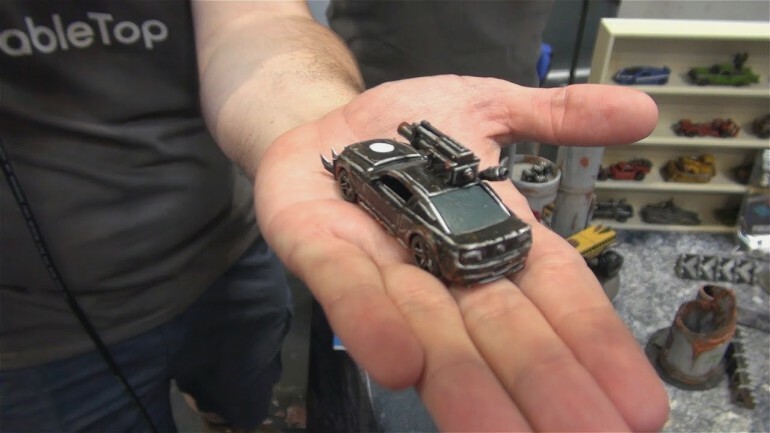 A game that a lot of people have gotten excited about, Gaslands lets you use your own car miniatures to build scenarios and set pieces for your game. 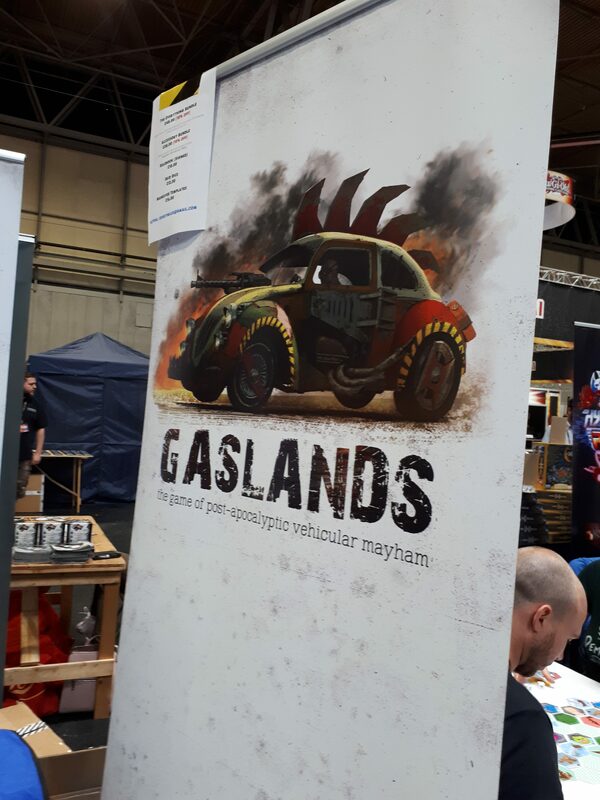 Comment below to win the Gaslands Rulebook, a template and dice! 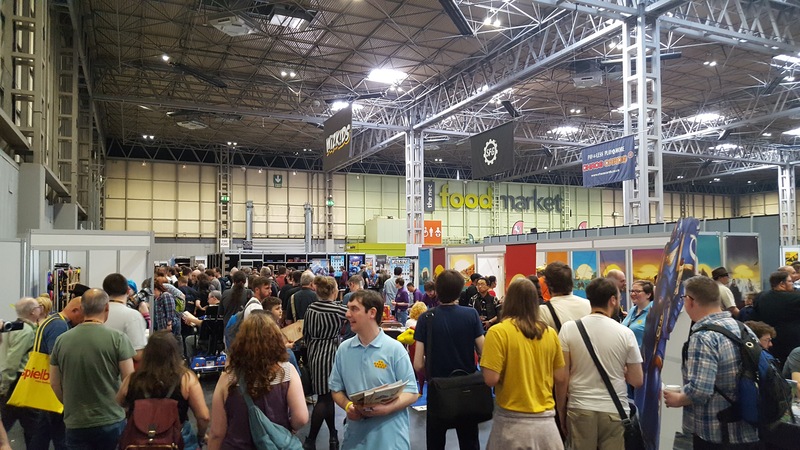 ""It's been an amazing event to take our family out to. 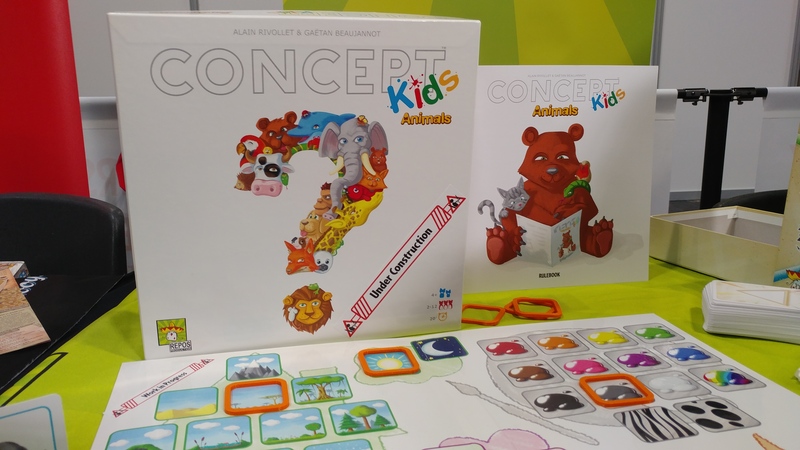 The imagination on display has been great for the kids!" 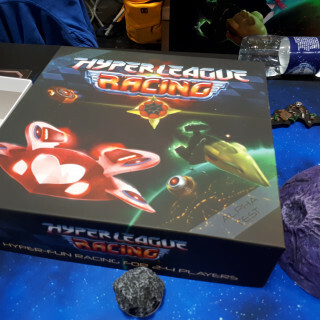 - Laura and Ben"
It’s time for some madcap racing in spaaaaaace!!! 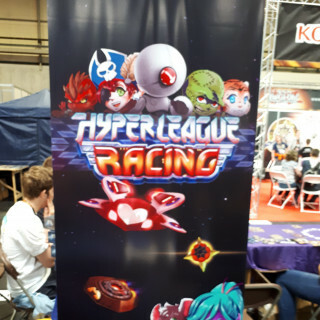 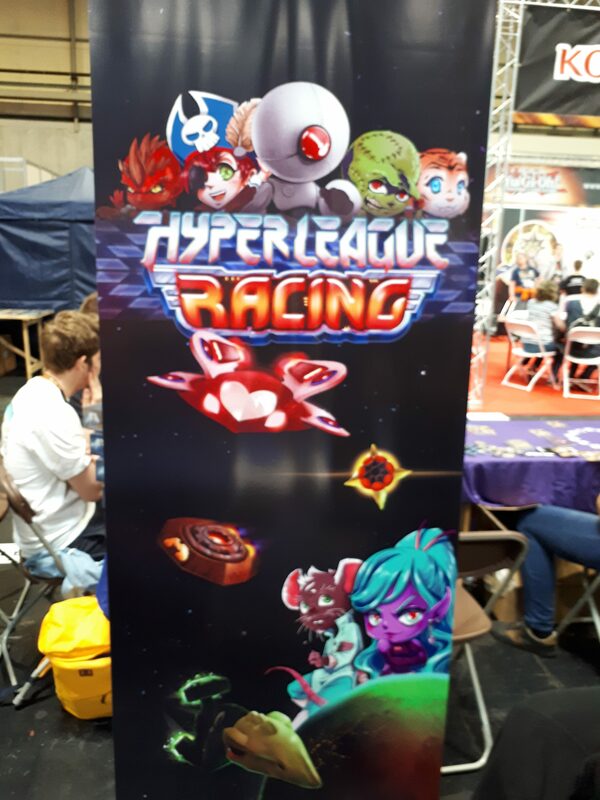 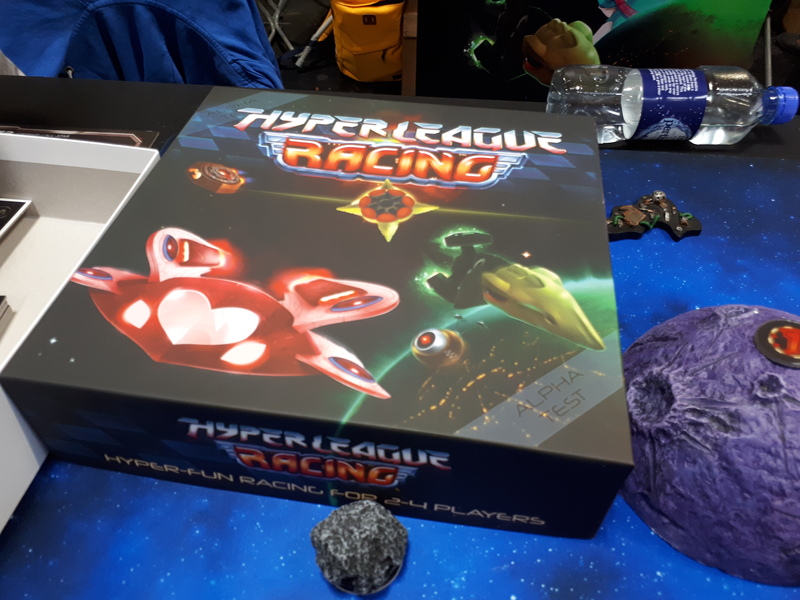 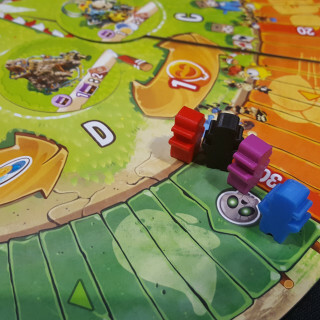 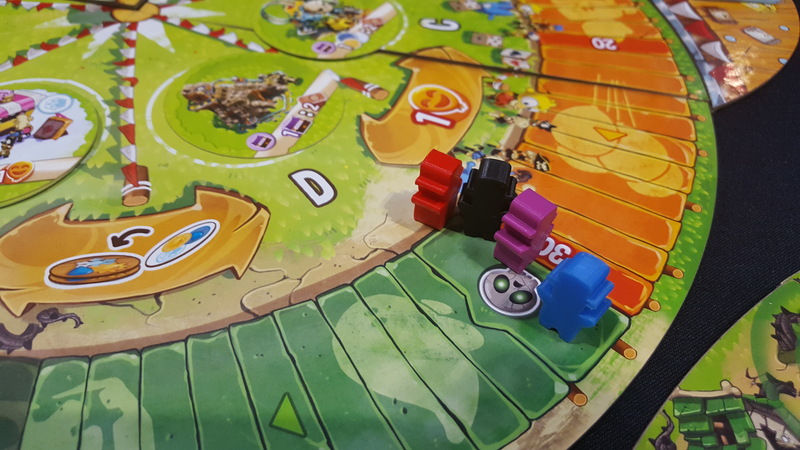 Mad Dad Games are here at UKGE showing off their game Hyper League Racing, which will be zooming off to Kickstarter soon. 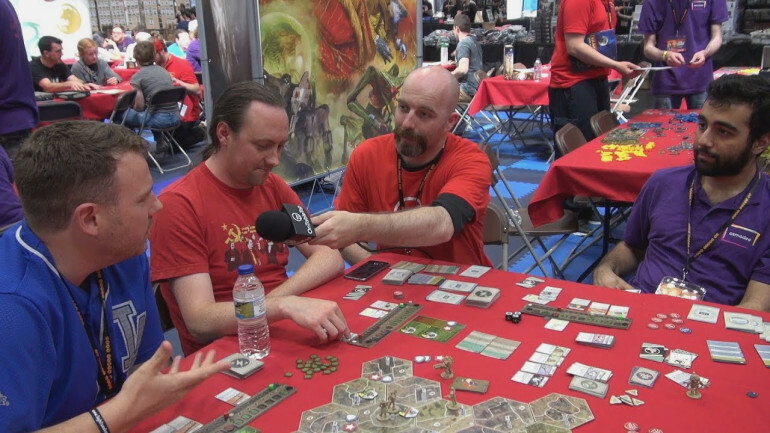 Ryan gets to talk to Jon from The Historic Games Shop about some of his new dice games that he has been developing. 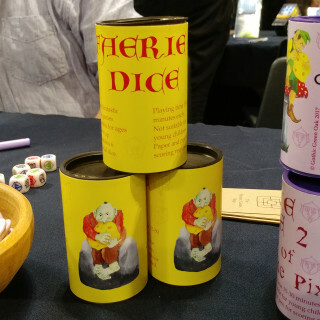 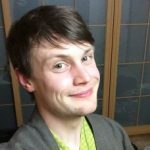 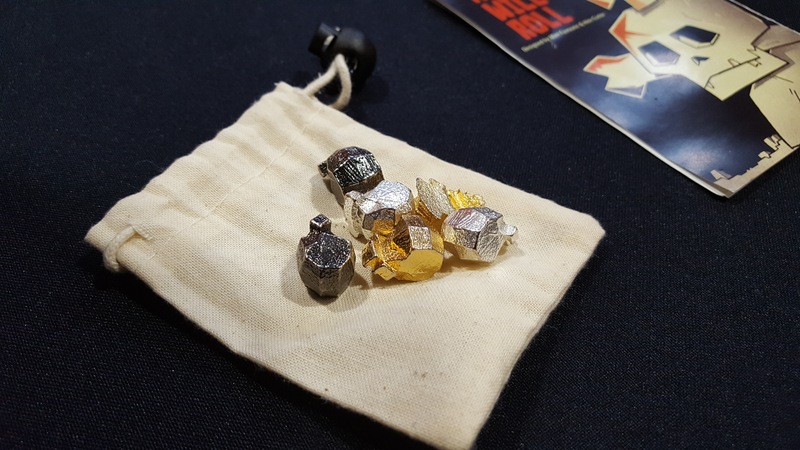 Drawing from his practice in making ancient and medieval board games like Alquerque and Hnefatafl, Jon introduces Faerie Dice. 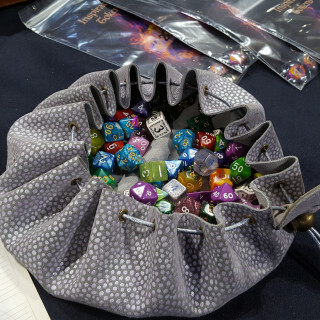 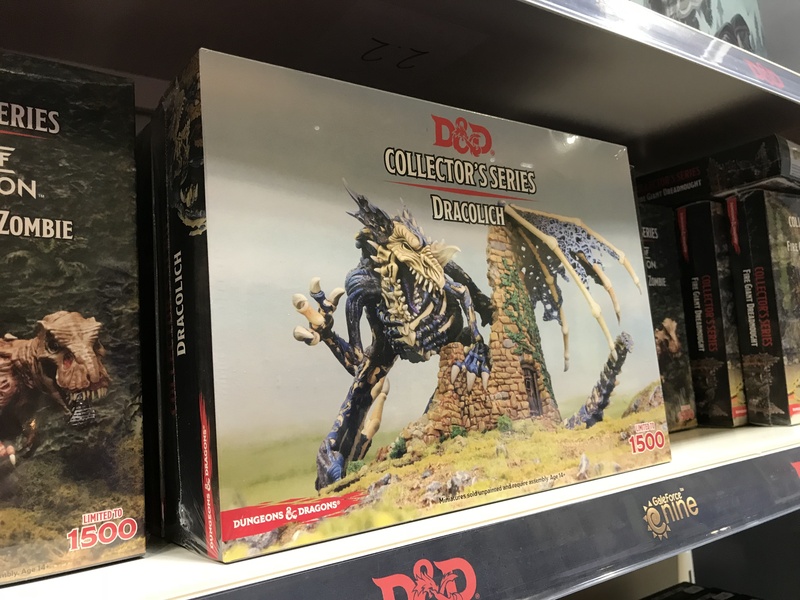 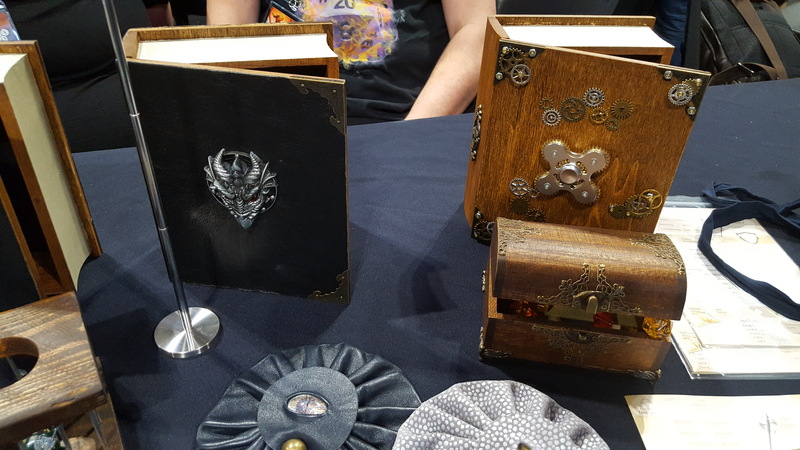 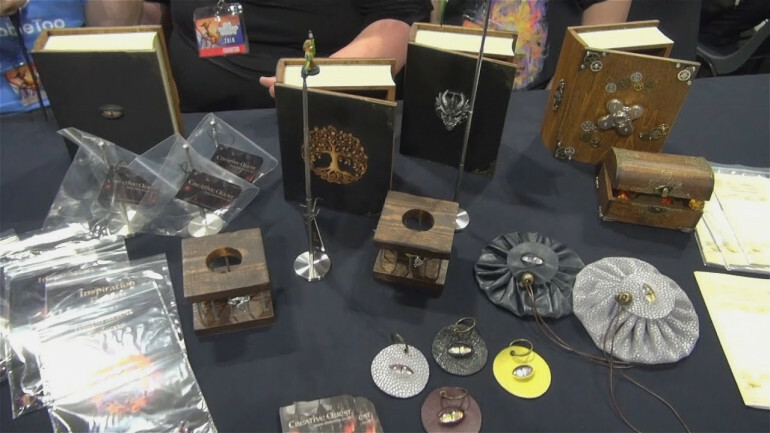 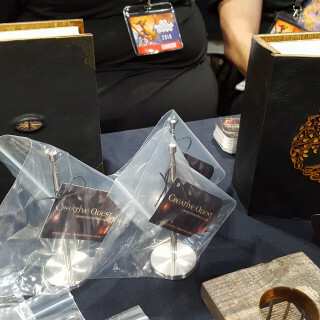 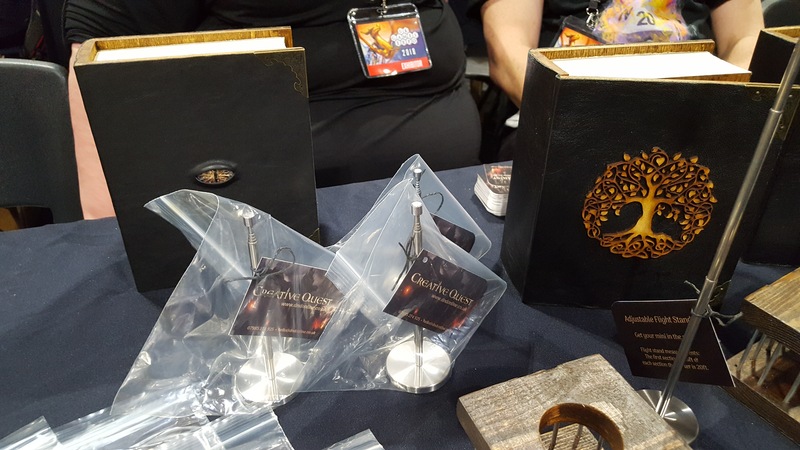 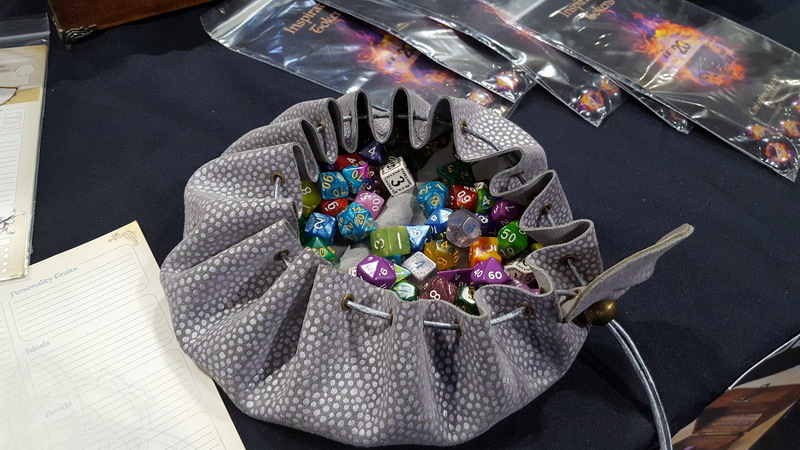 Family team Creative Quest have made a bunch of different, stylish accessories for fantasy RPGs, ranging from tokens and flight stands to cool cases to keep it all together. 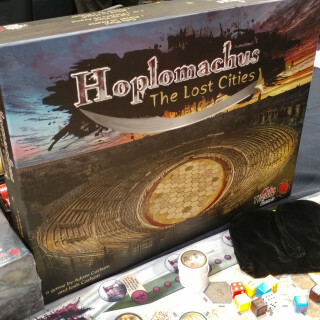 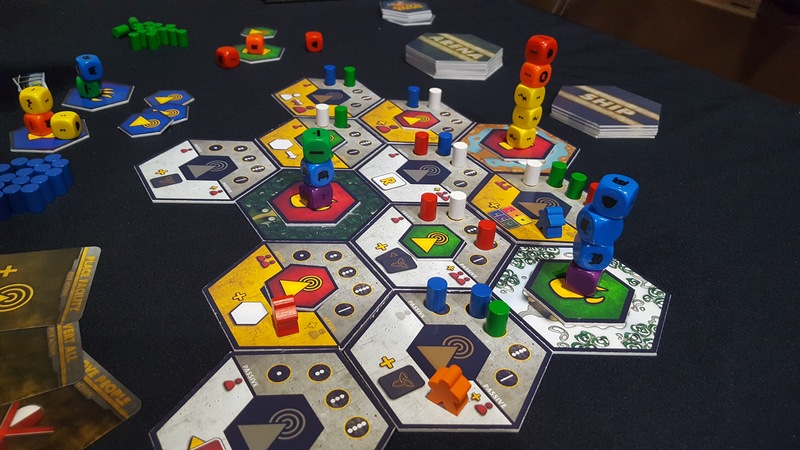 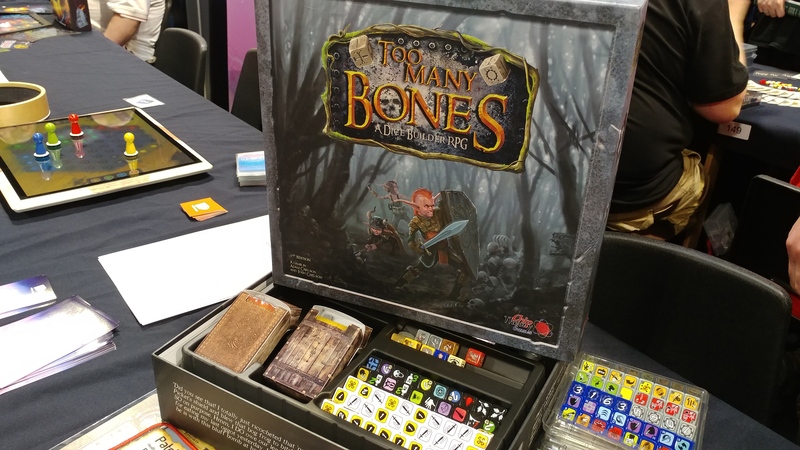 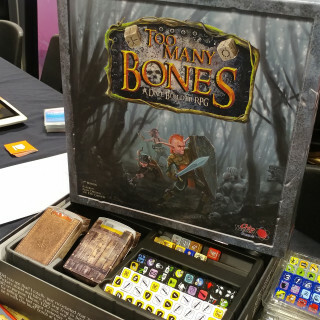 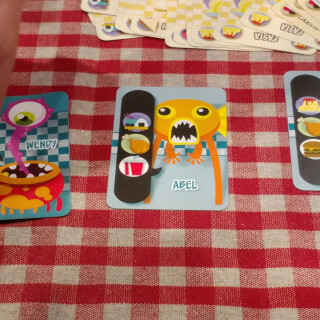 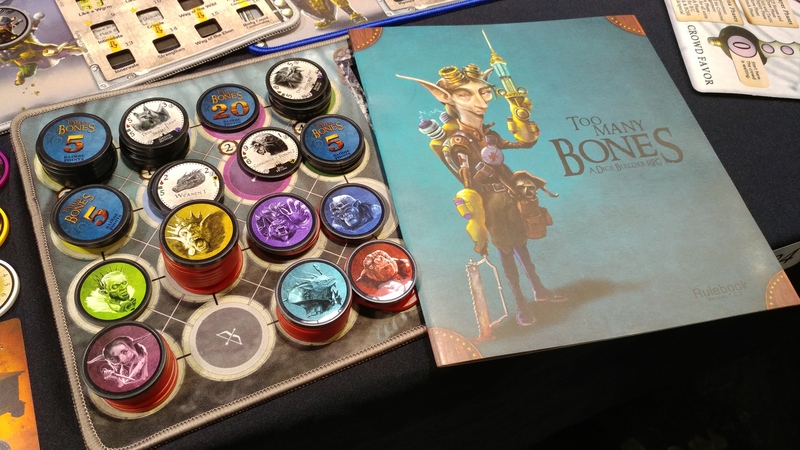 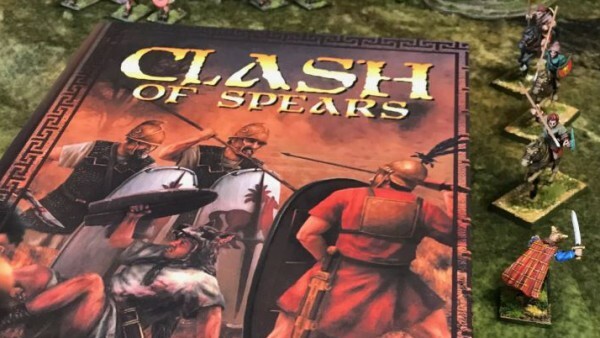 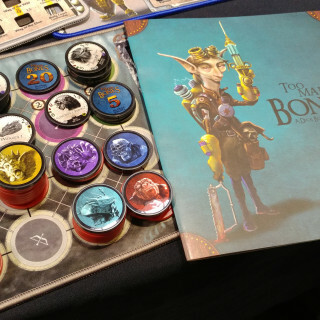 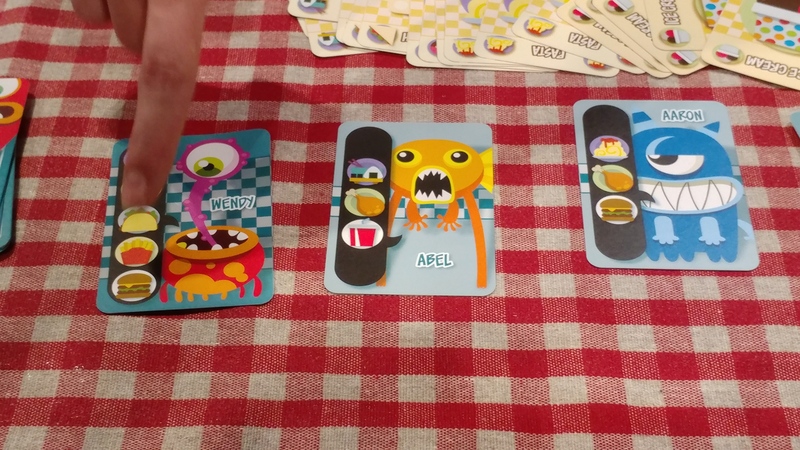 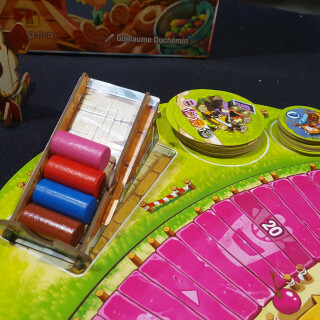 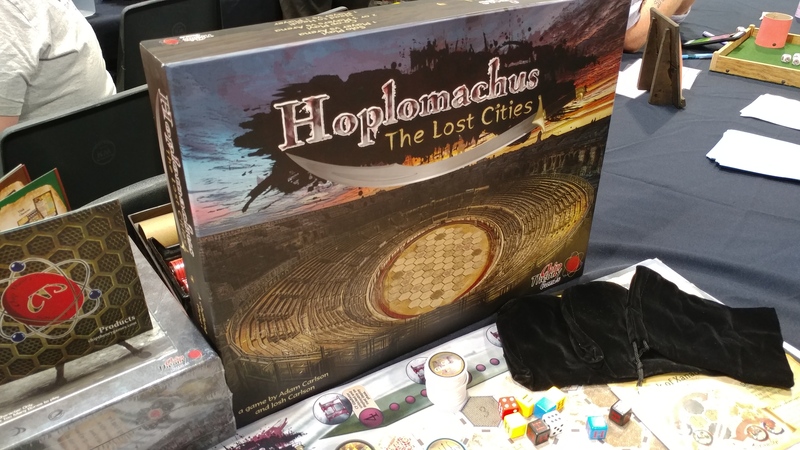 Ryan chats to Andrew from Chip Theory Games about two of their games: Hoplomachus and Too Many Bones. 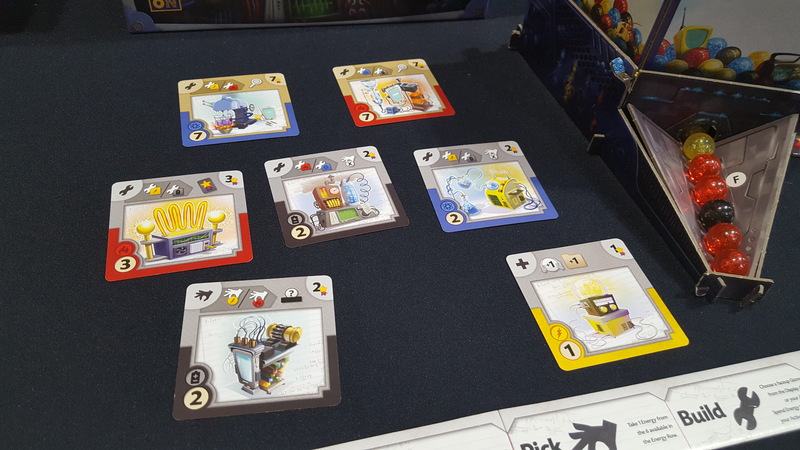 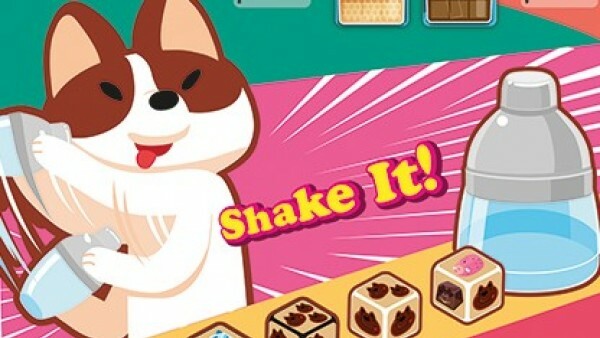 Both games from Chip Theory are renowned for their single player and A.I mechanics so don’t worry if your board game night collapses all of a sudden! 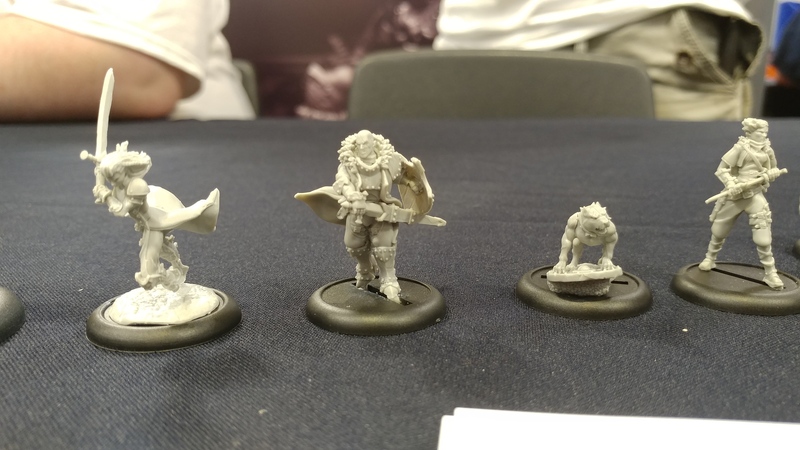 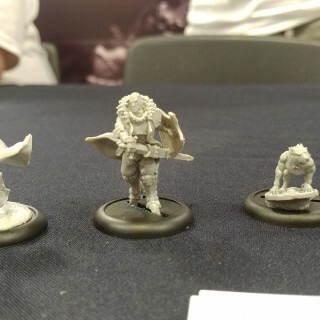 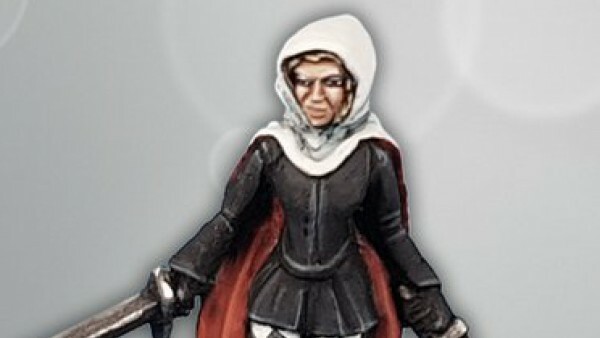 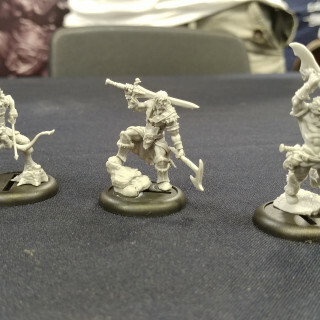 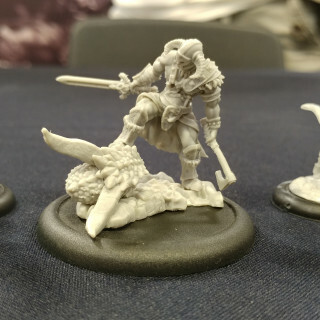 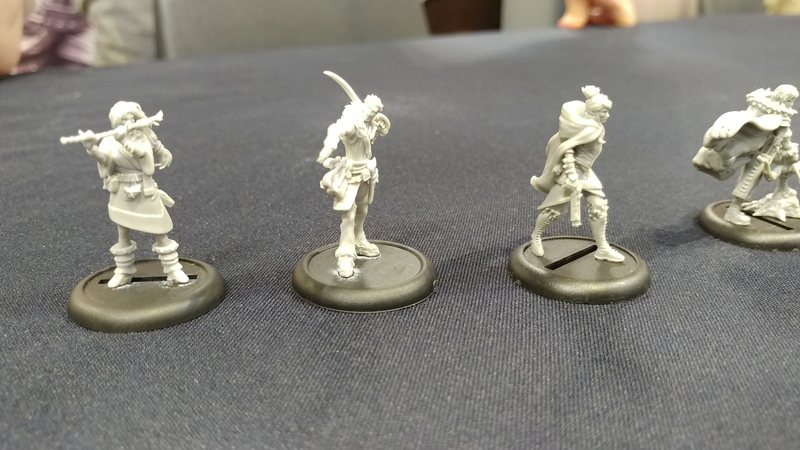 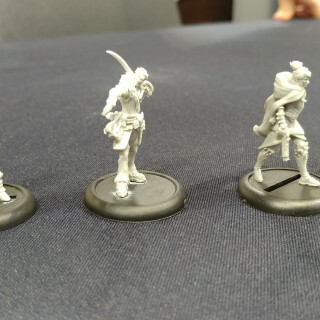 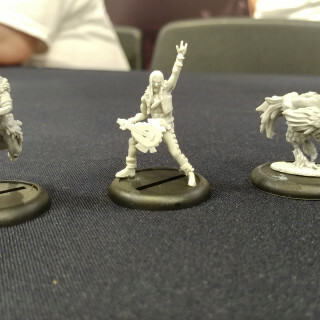 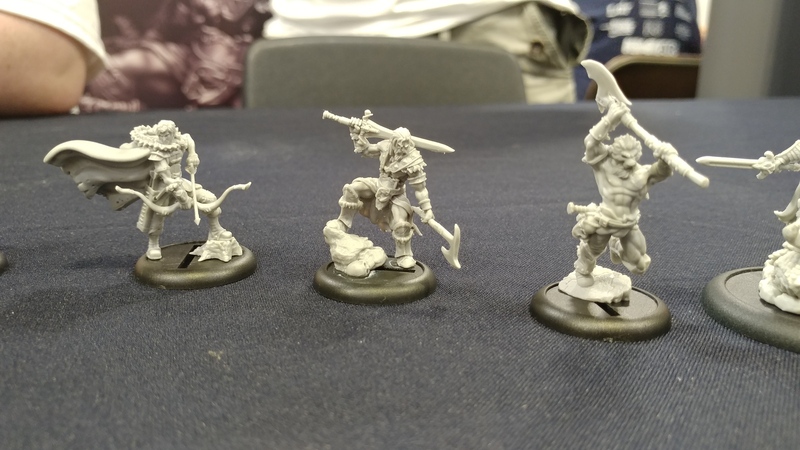 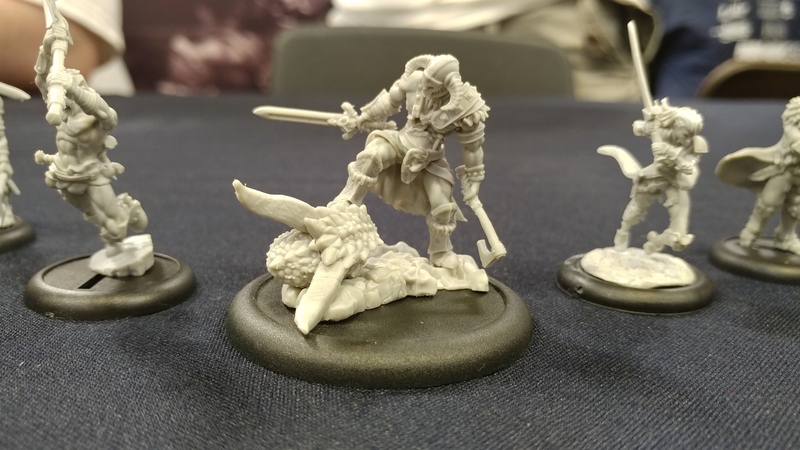 Ben’s here with Reaper Miniatures to talk about their setting up shop in the UK. 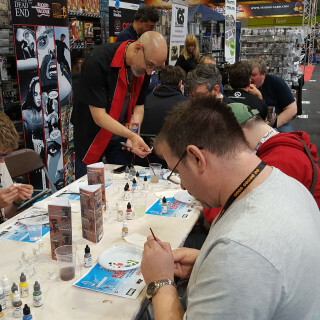 The stand at Expo here has been filled with miniatures and enthusiastic attendees painting all day long. 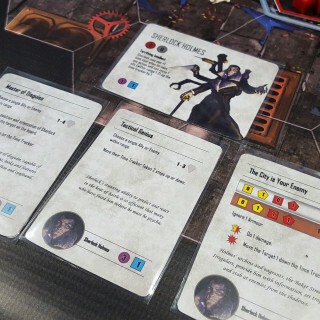 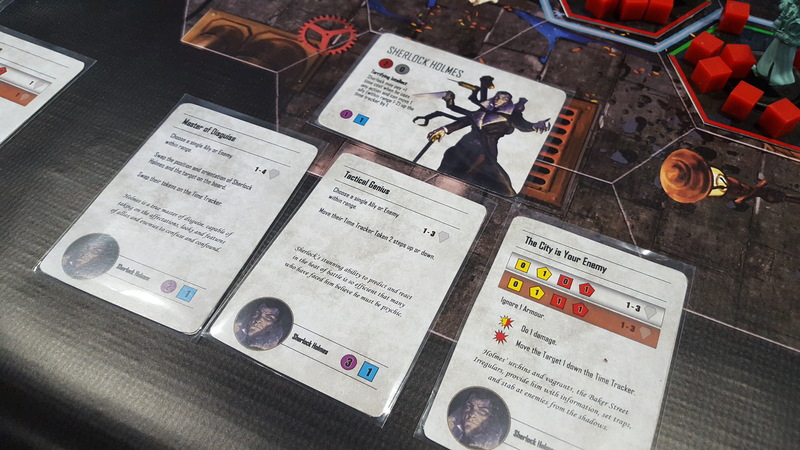 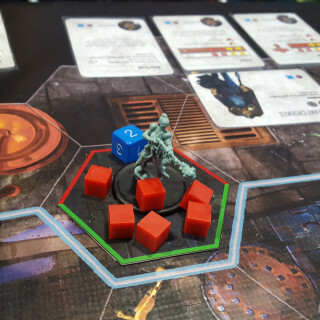 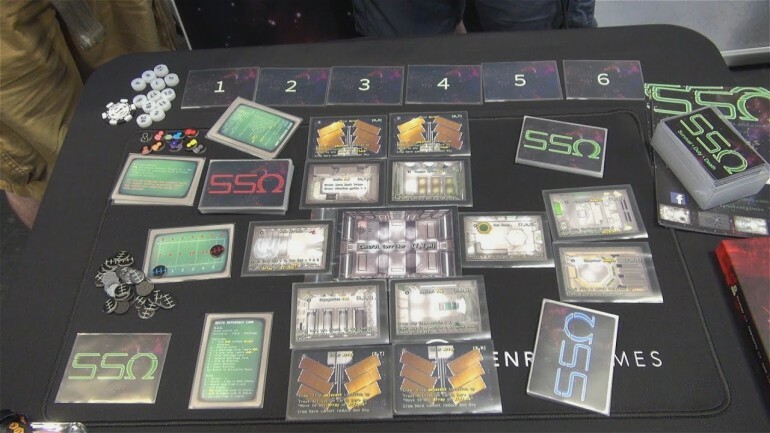 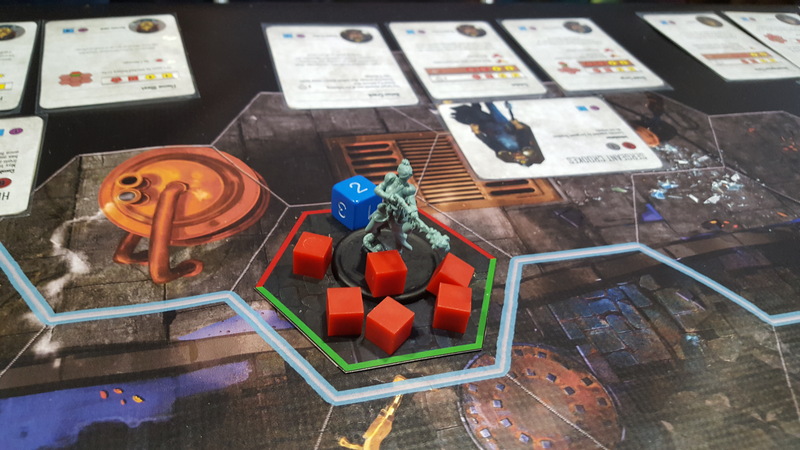 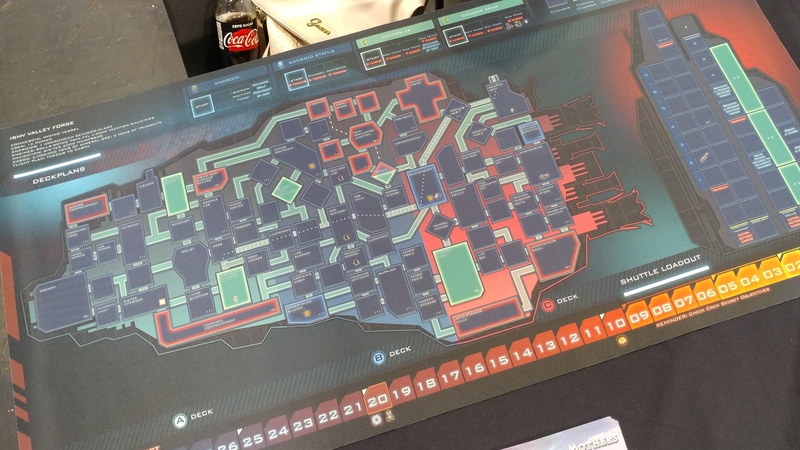 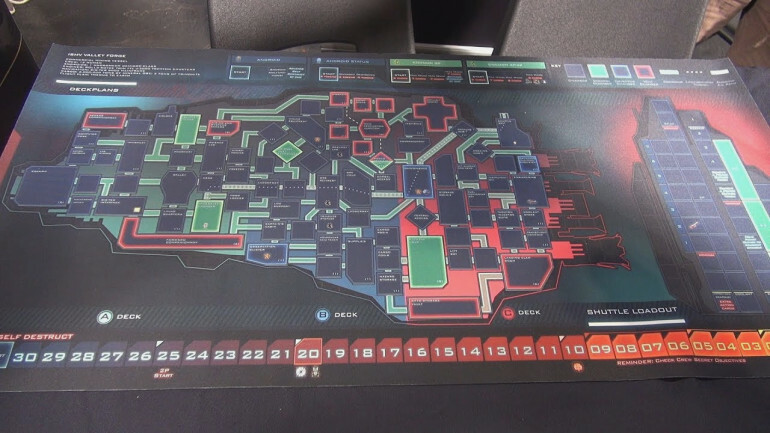 The SS Omega (SSO) is a survival horror card game currently running on Kickstarter, and Ben stops off with its creator Glen to discover what horrors lie in wait for us within its dark corridors. 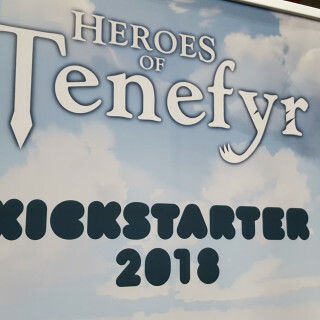 Did you back this on Kickstarter? 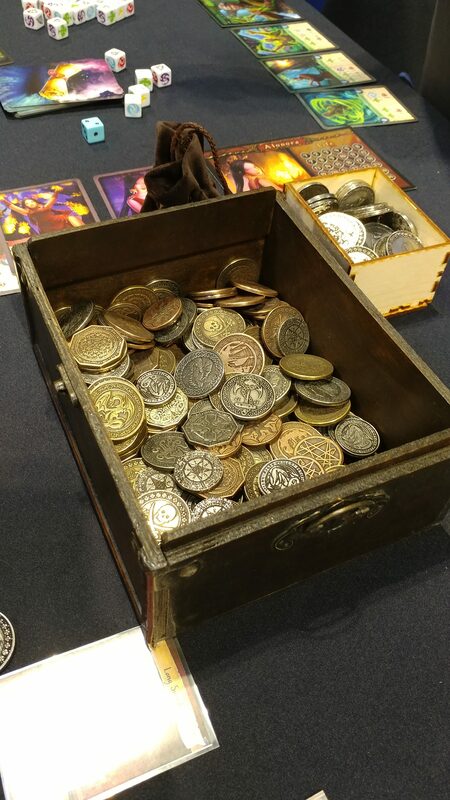 Is it one that tempts you? 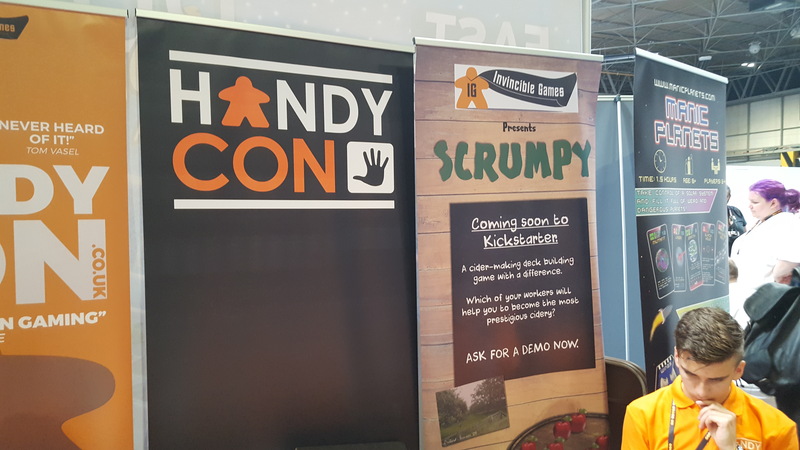 Ben is talking to Paul from Handy Con to hear about the biannual event held at Maidenhead to celebrate board games. 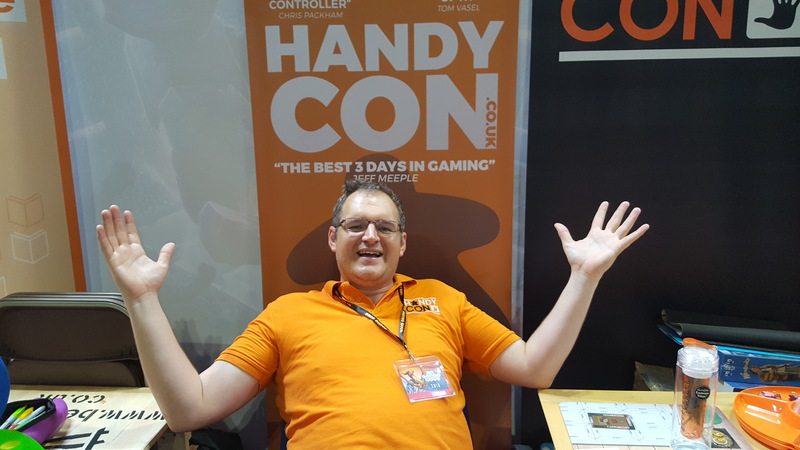 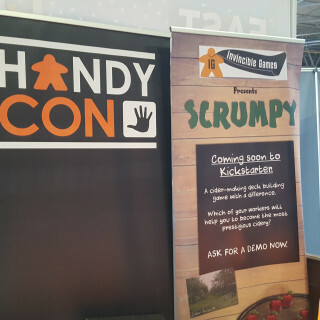 From heavy strategy games to lighter affairs, Handy Con seeks to bring people together to play as many games as they desire. 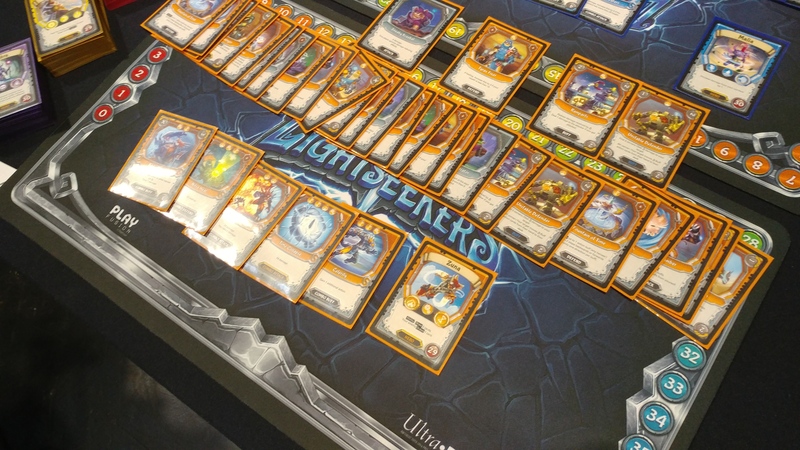 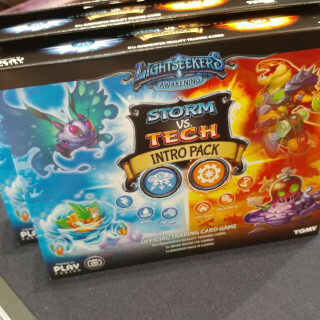 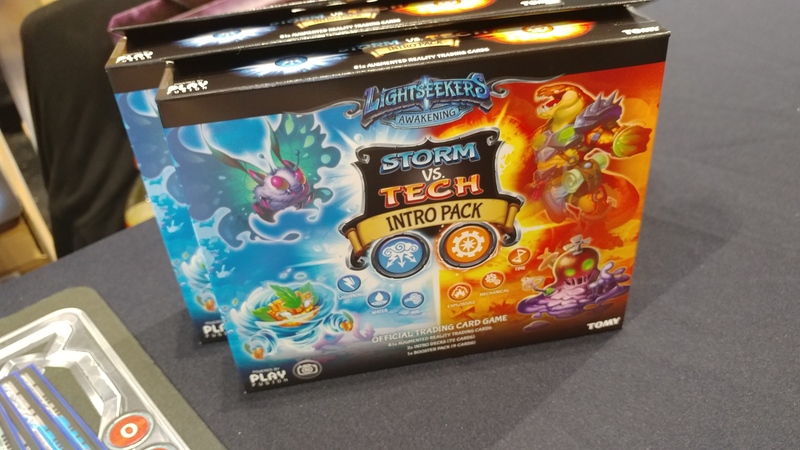 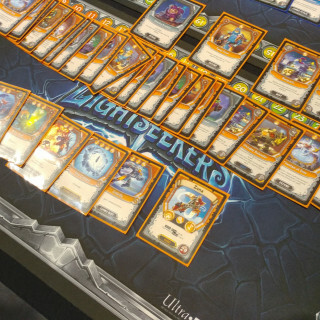 We have been loving Lightseekers here in the office so we couldn’t resist stopping by PlayFusion to see what they’ve been cooking up. 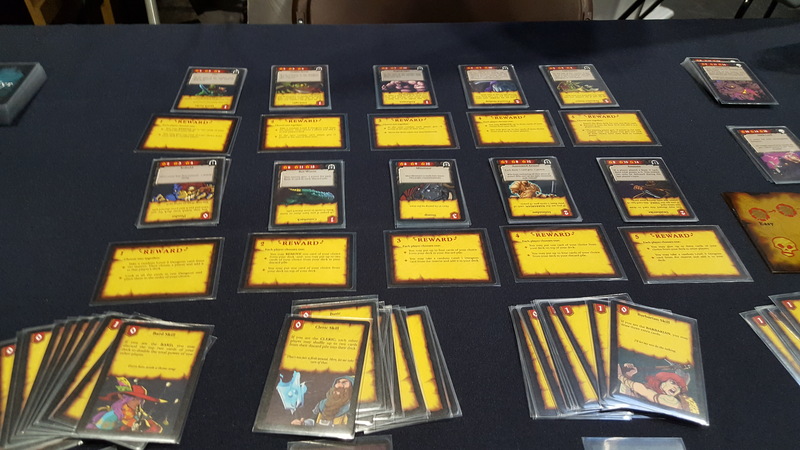 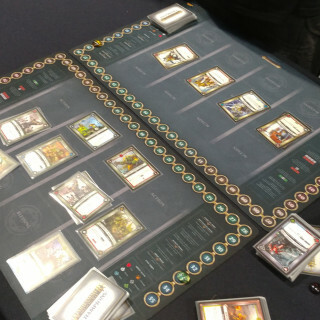 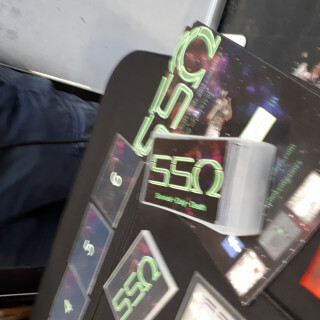 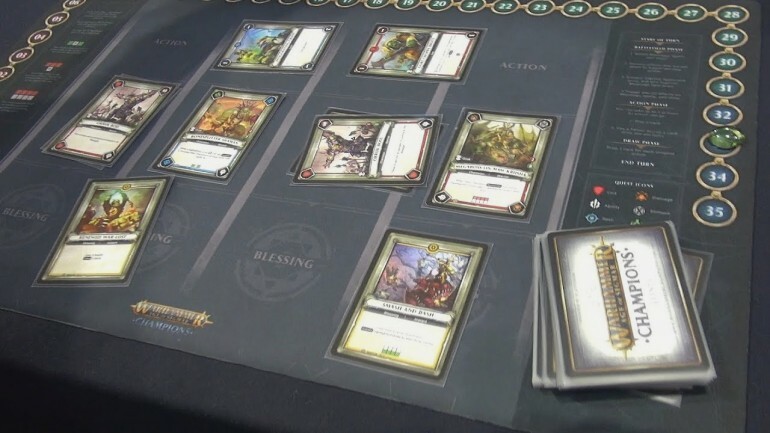 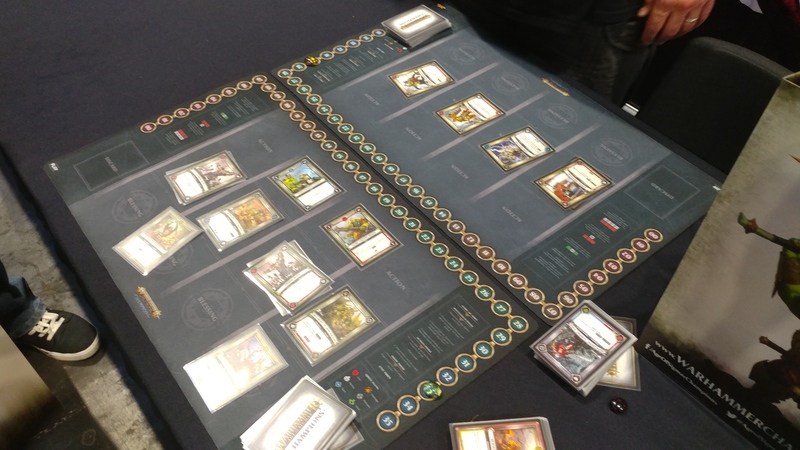 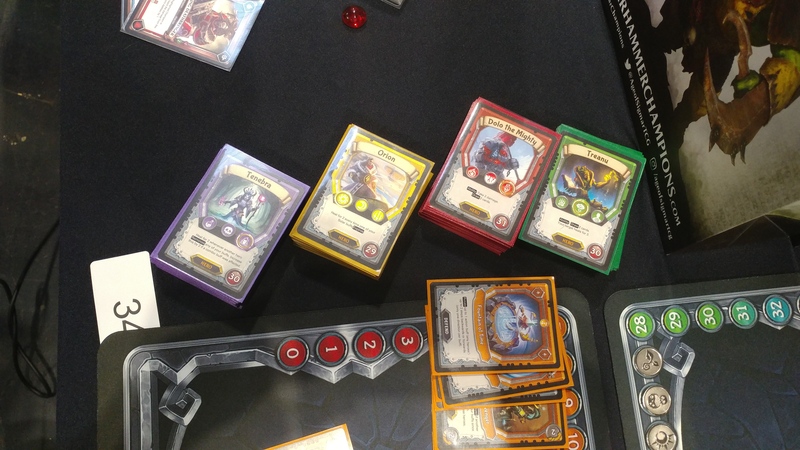 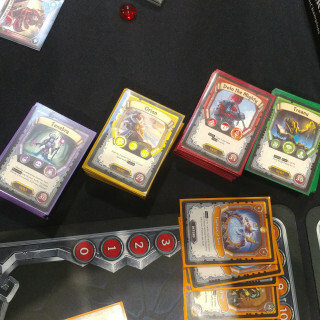 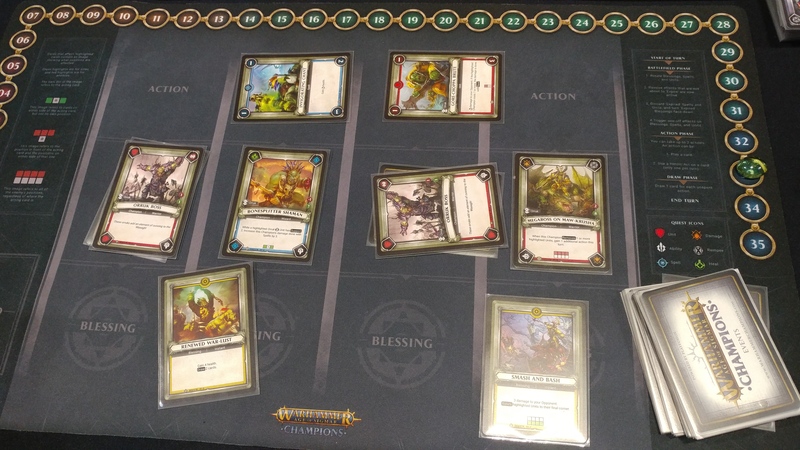 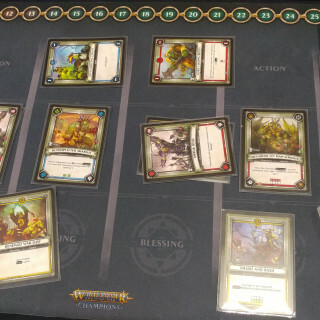 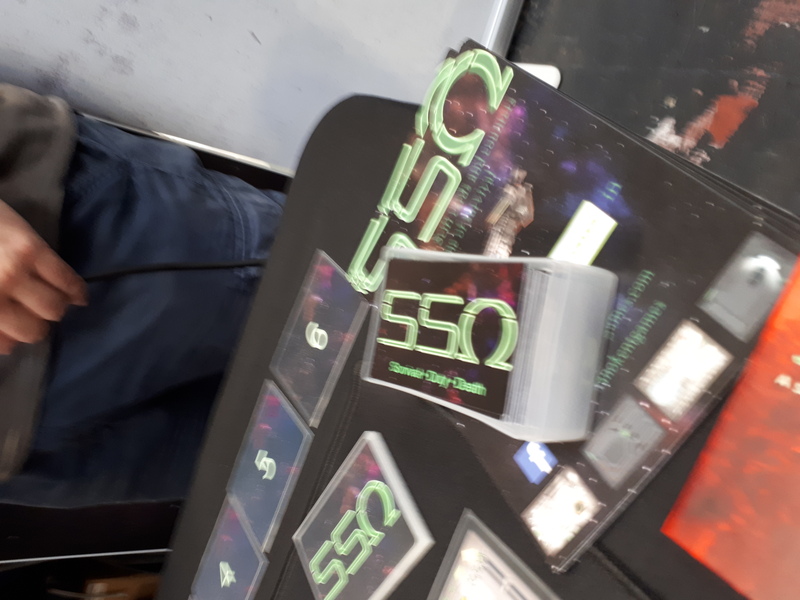 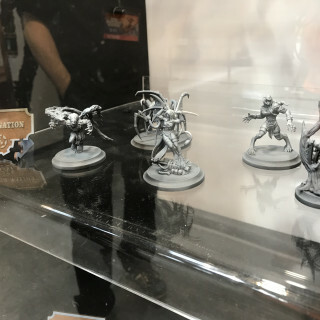 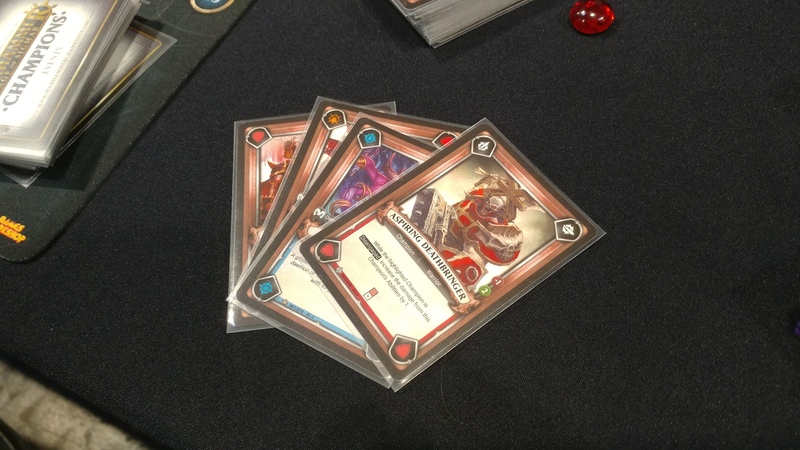 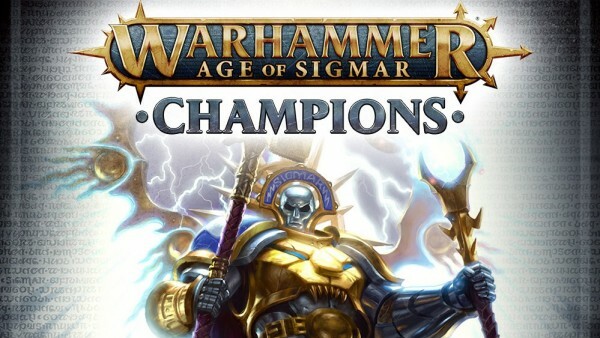 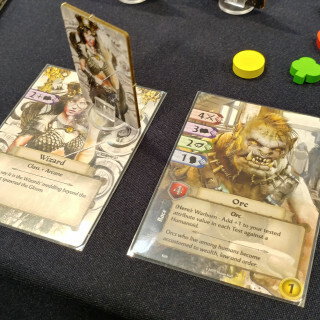 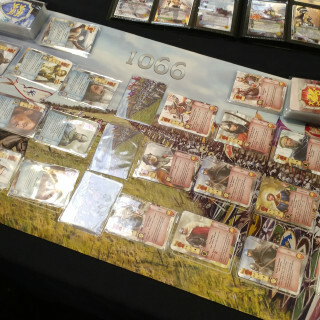 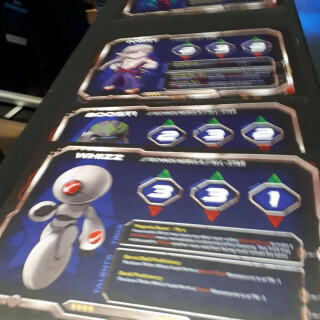 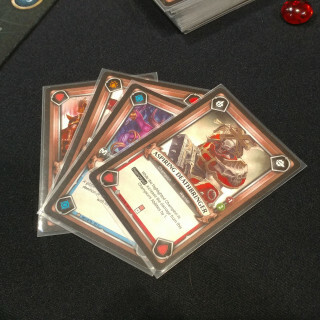 At this UKGE, they are also showing off their upcoming card game Age of Sigmar: Champions and give us a few hints about the direction the game is heading in. 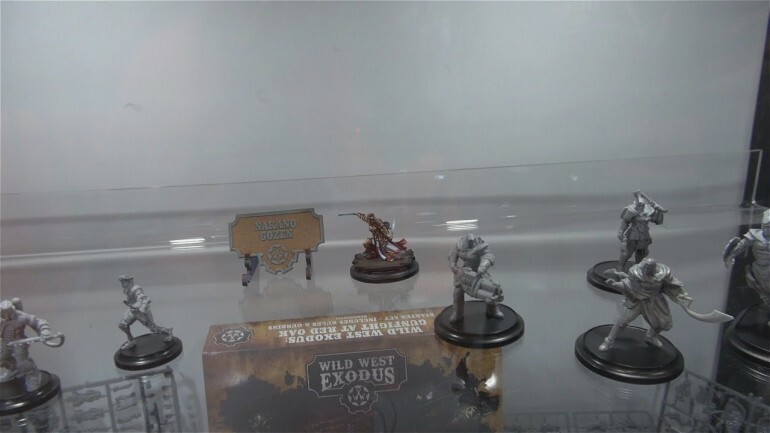 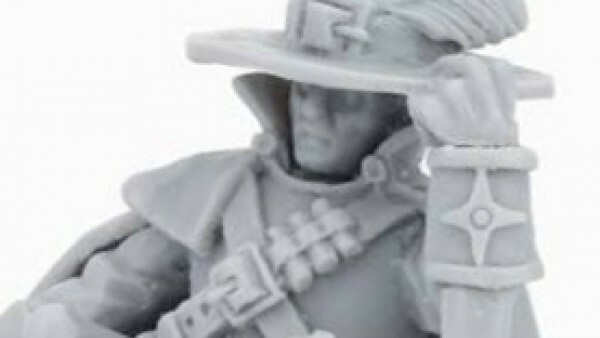 Justin can’t resist the calling of Wild West Exodus from Warcradle Studios, and neither can we! 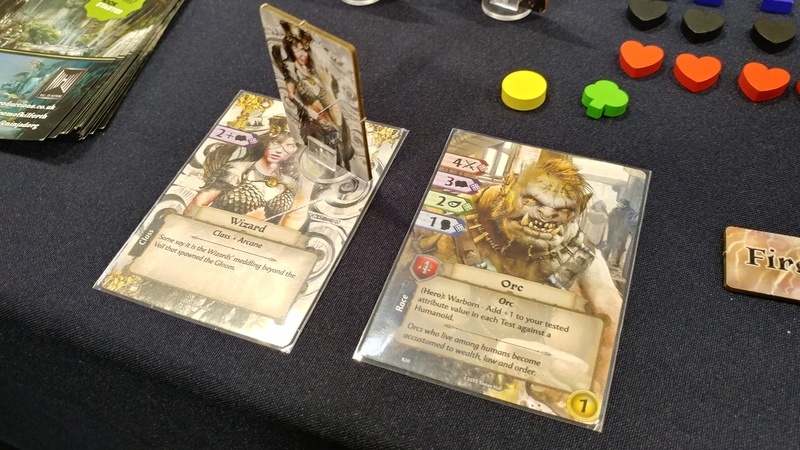 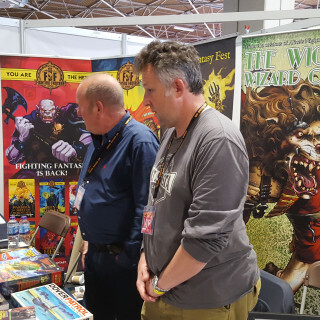 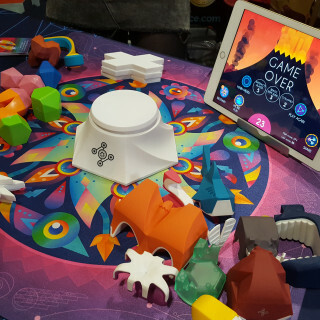 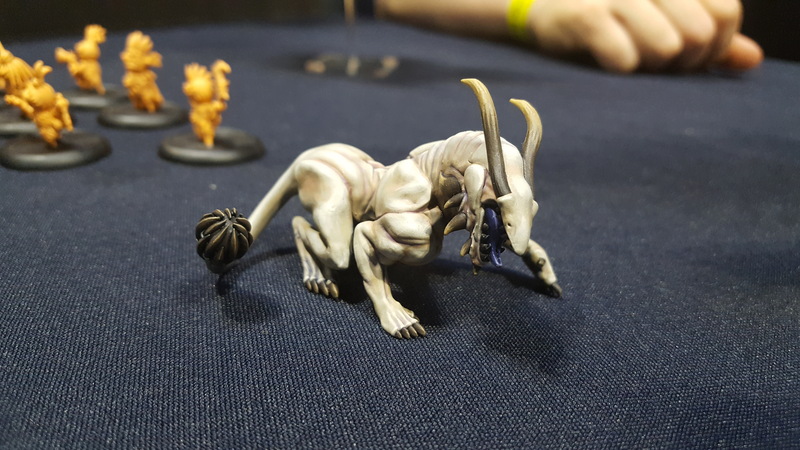 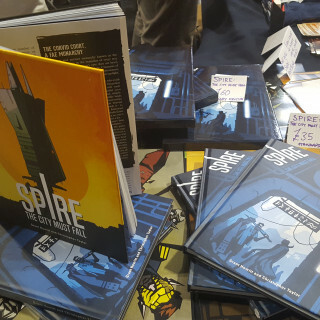 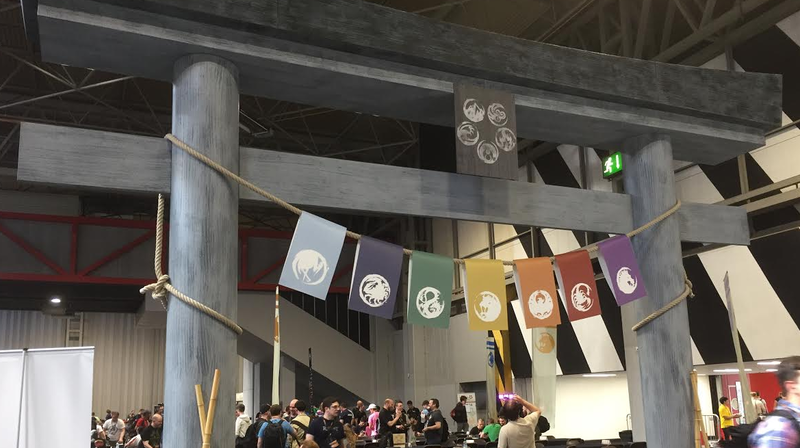 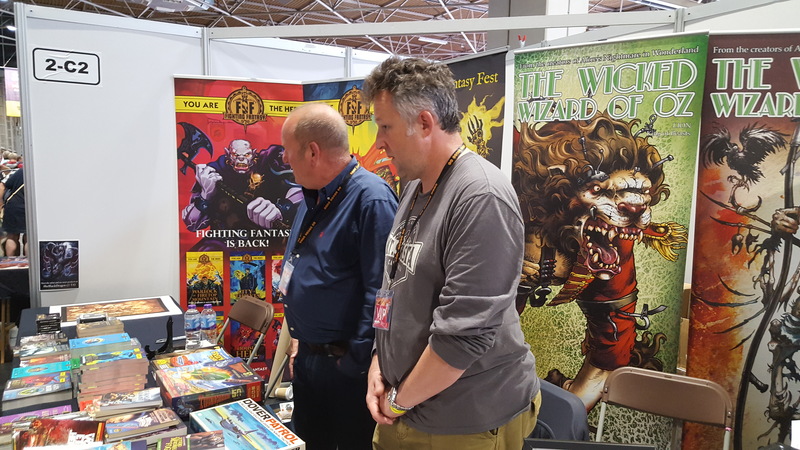 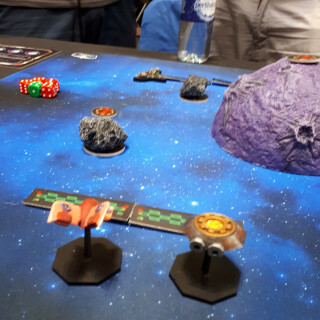 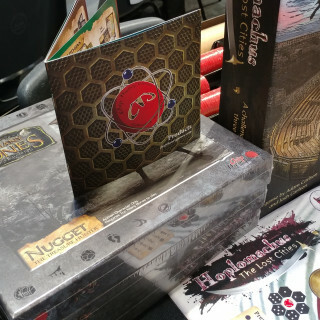 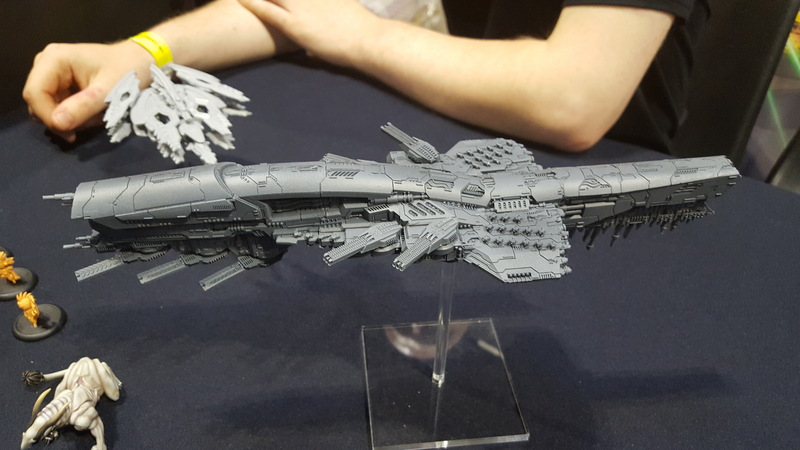 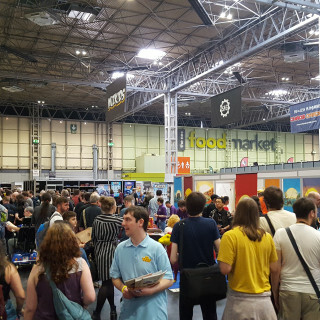 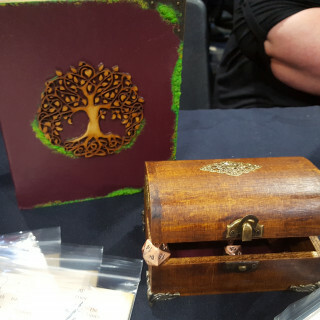 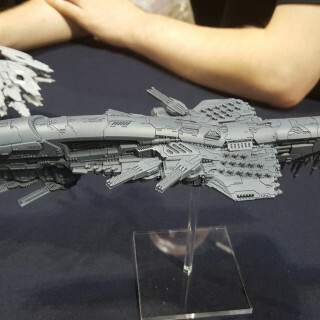 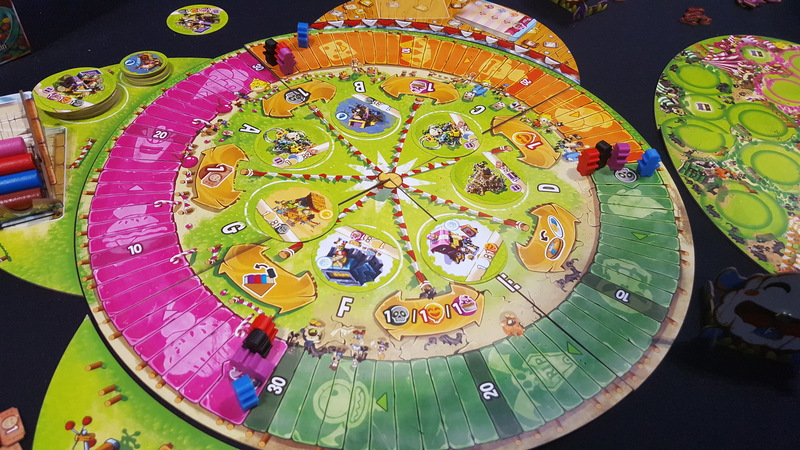 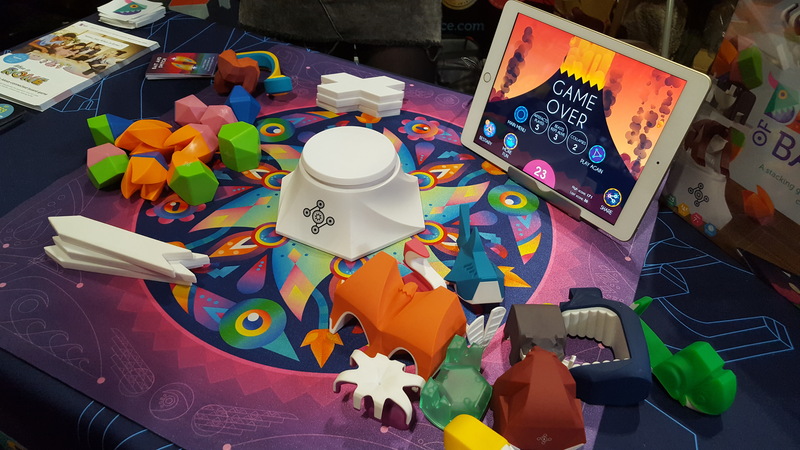 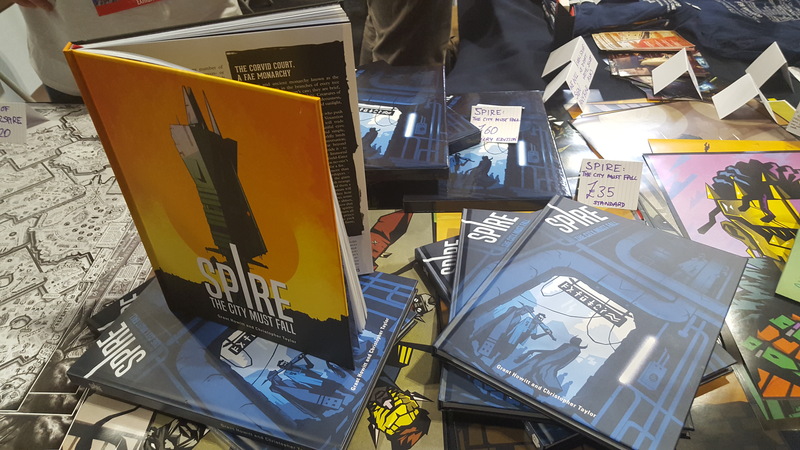 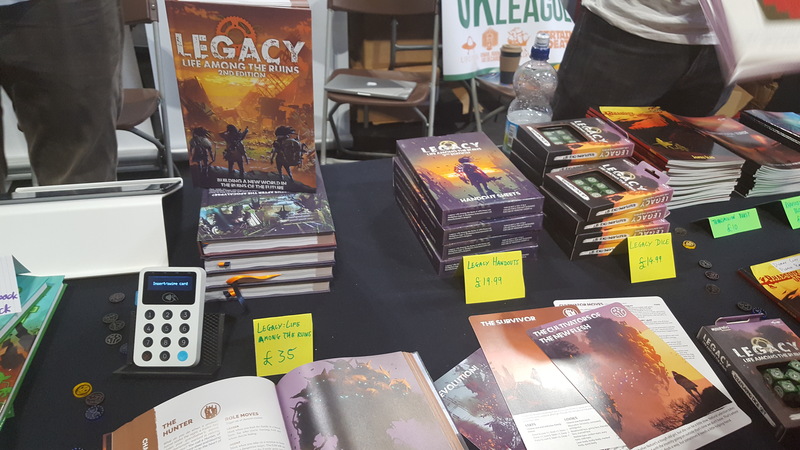 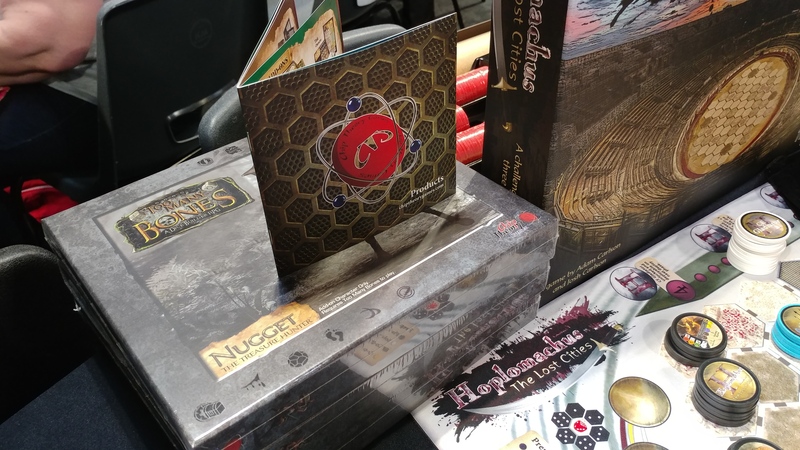 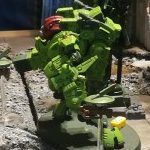 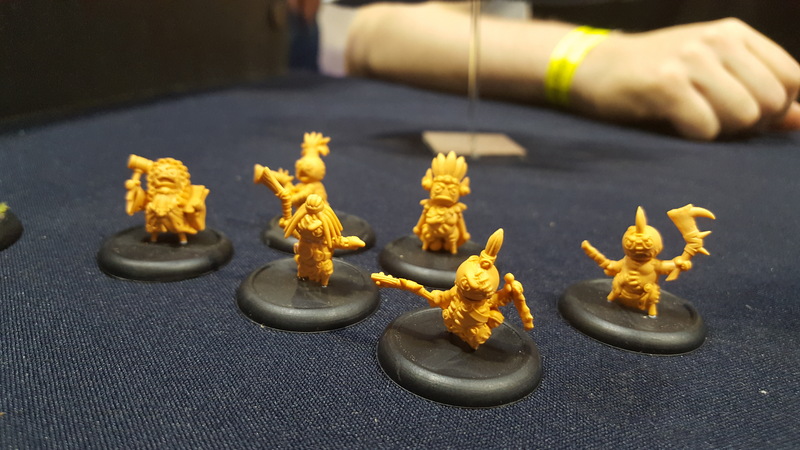 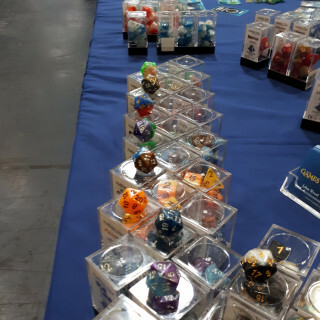 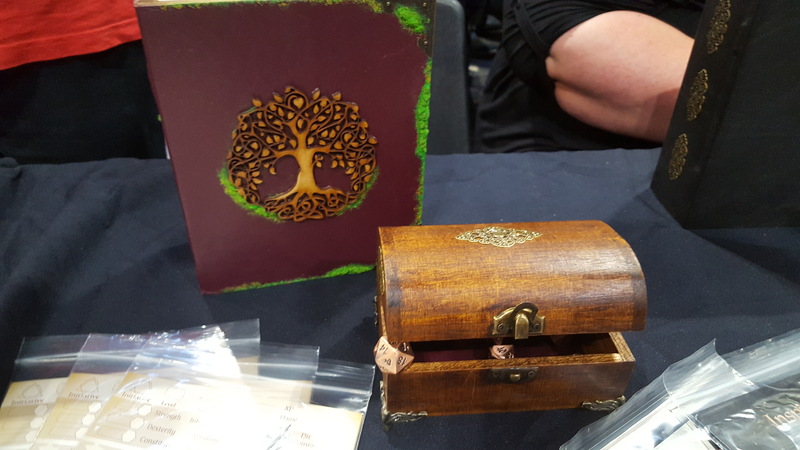 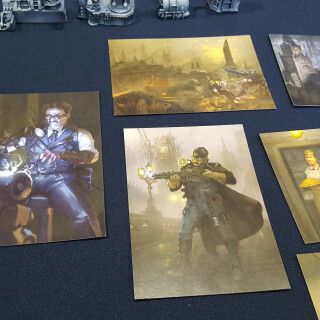 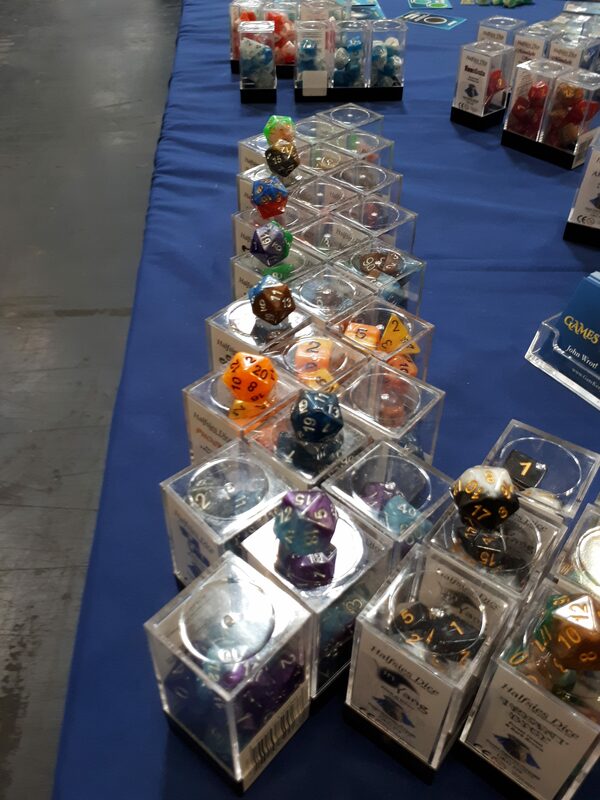 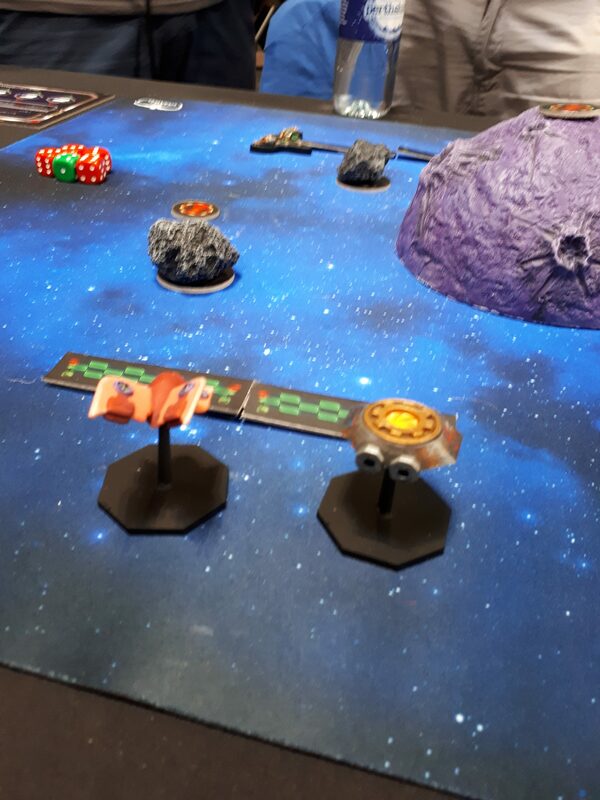 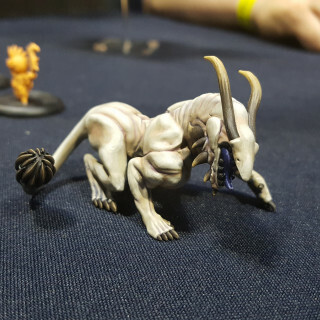 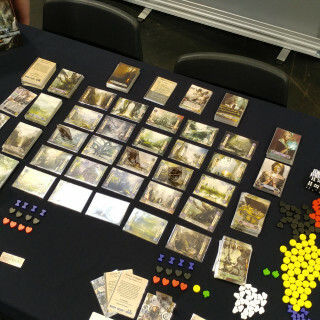 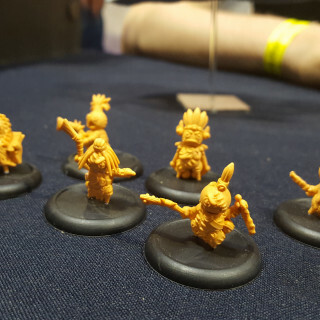 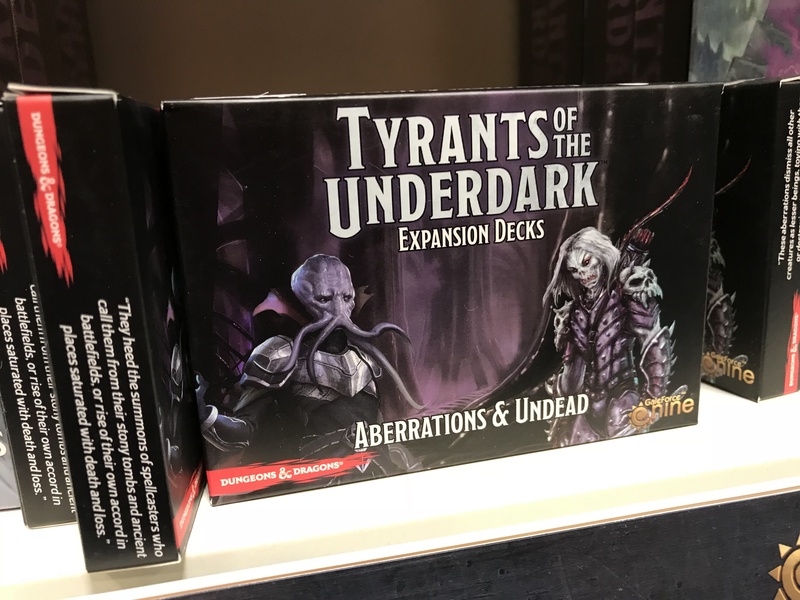 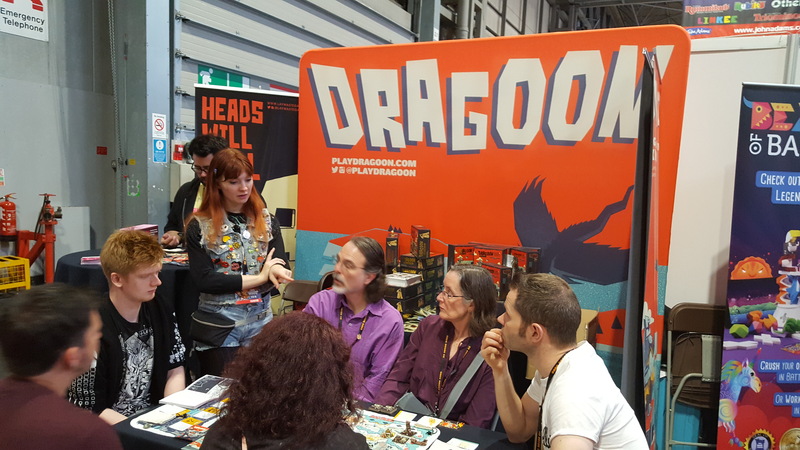 Stu takes us through what they’re showing off at UKGE at one of the most beautiful stands this year. 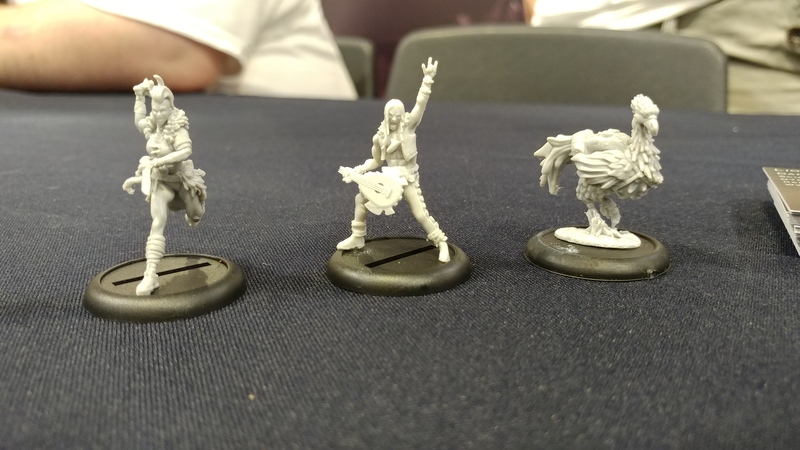 Comment to win a Hex Posse Starter Box. 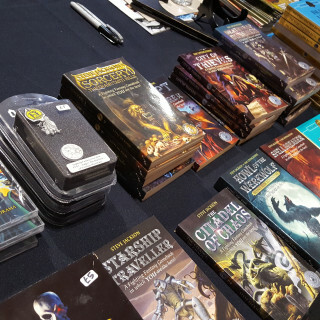 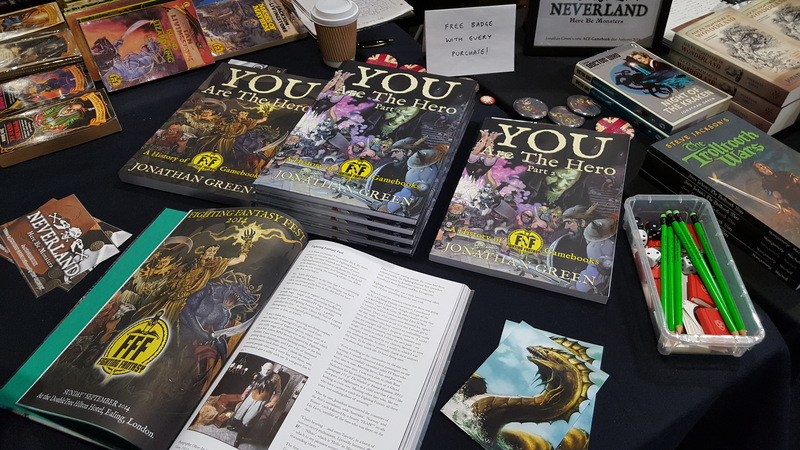 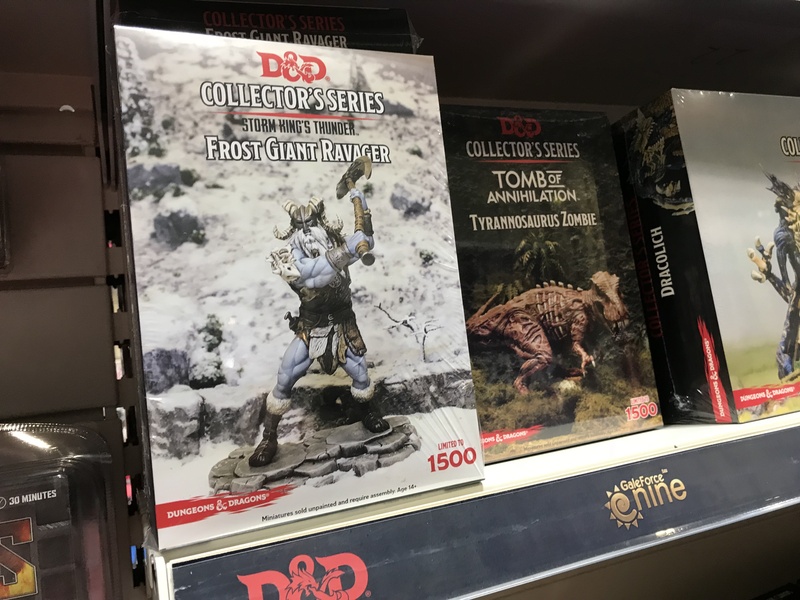 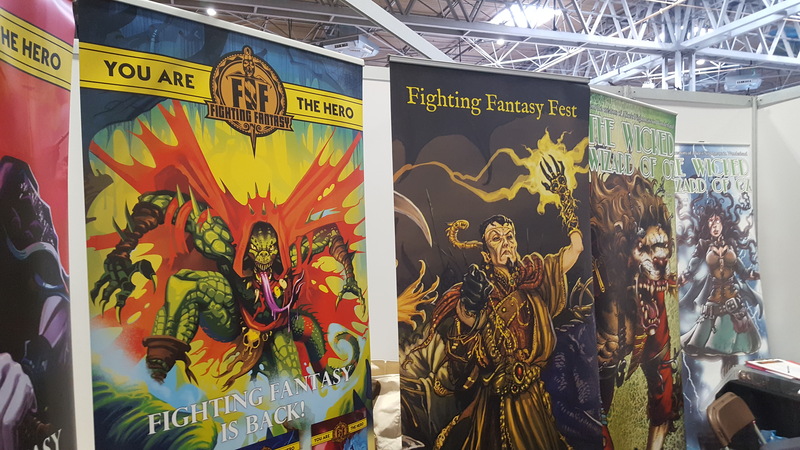 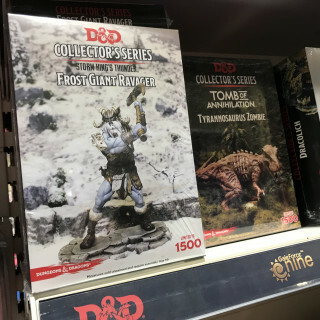 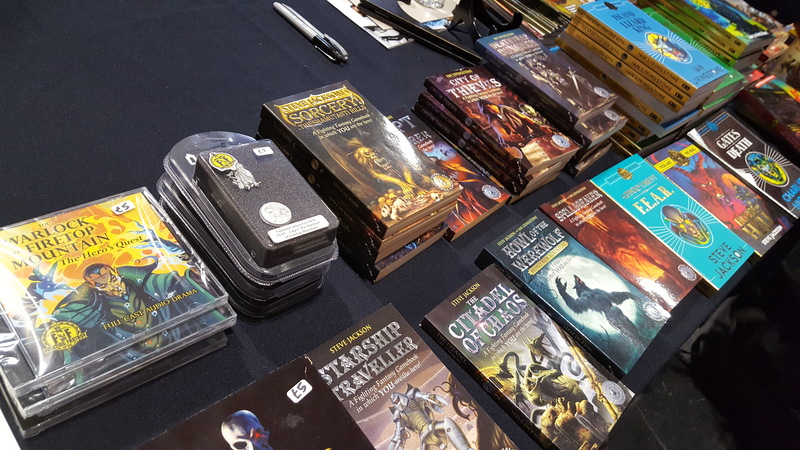 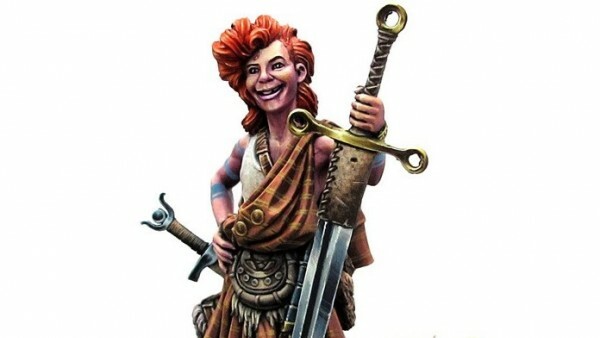 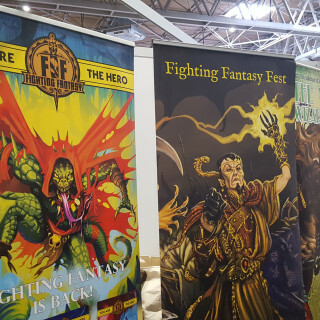 The classic Fighting Fantasy choose-your-own-adventure stories helped form the gaming experience of many and they have seen a resurgence in recent years, with the books returning to print from Scholastic. 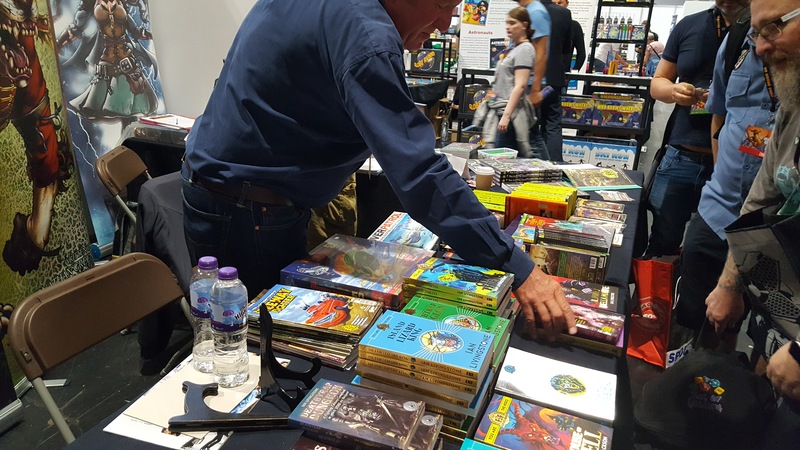 Legendary games designer Ian Livingstone has a chat with us about the future of the series, including new books on the horizon, and offers up a rather cool prize. 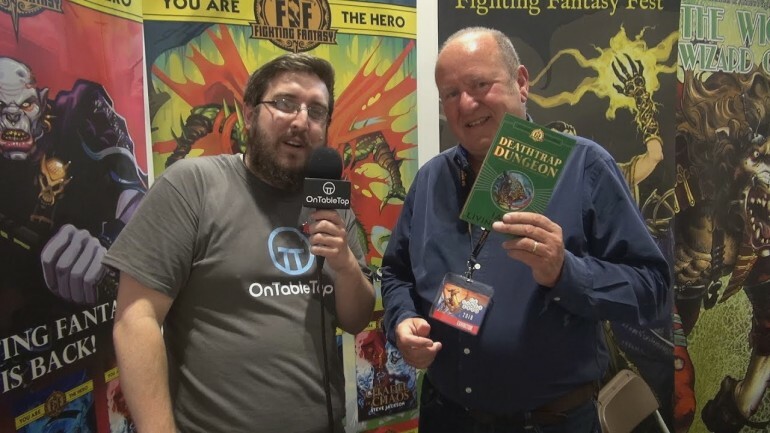 Comment to win a copy of Deathtrap Dungeon signed by Ian Livingstone. 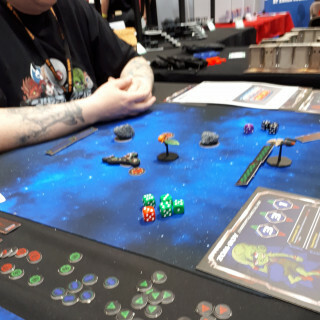 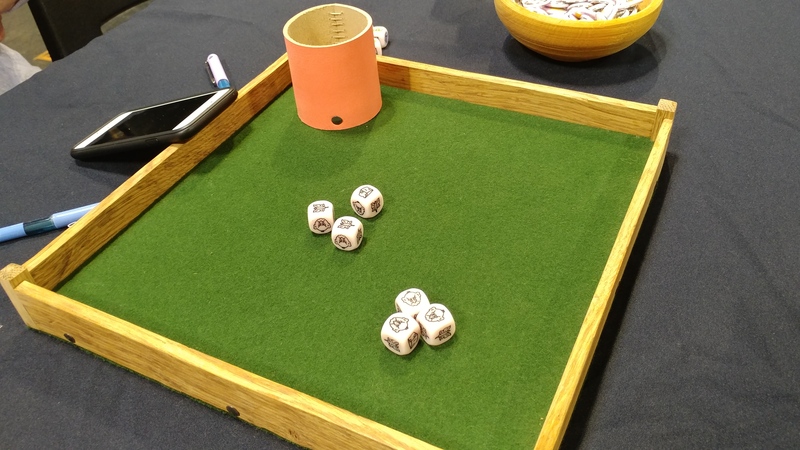 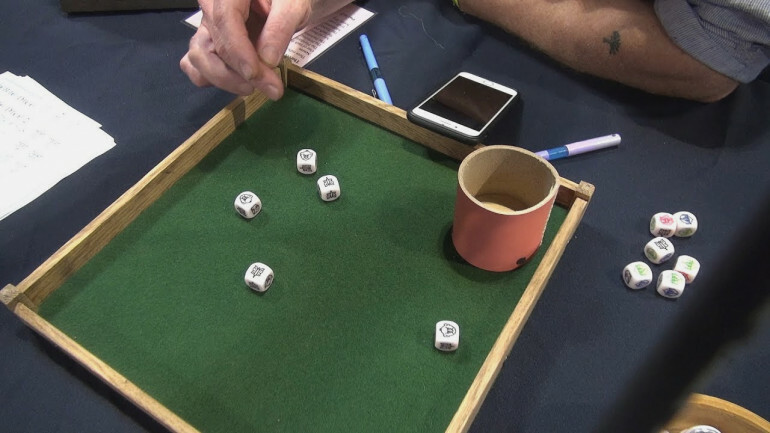 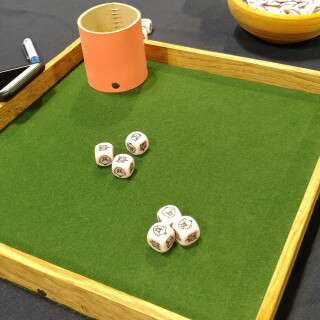 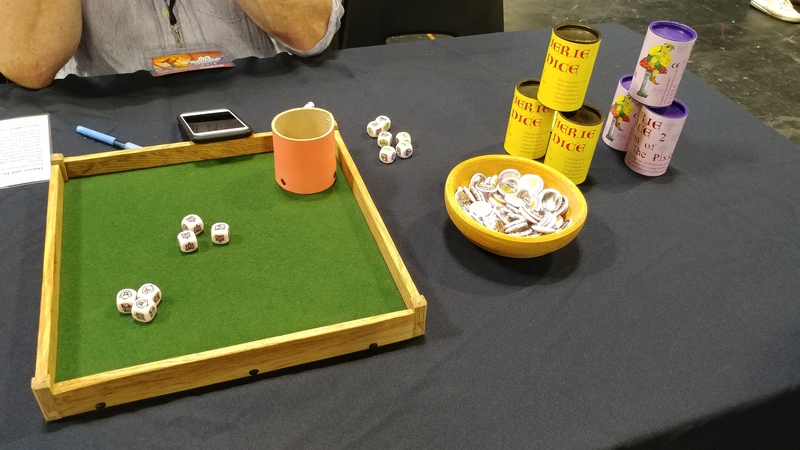 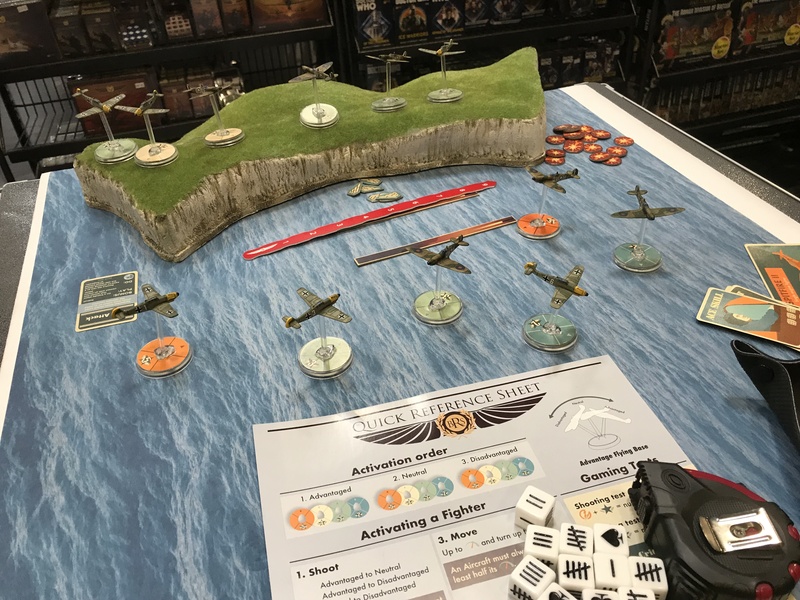 Dice Sports have got a couple of games with them at Salute, ranging from the comic book survival horror of Z War One to a dexterity based WWII dogfighting game that adds elements of pool? 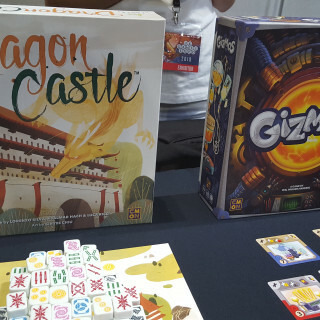 Which of these two games appeals to you the most? 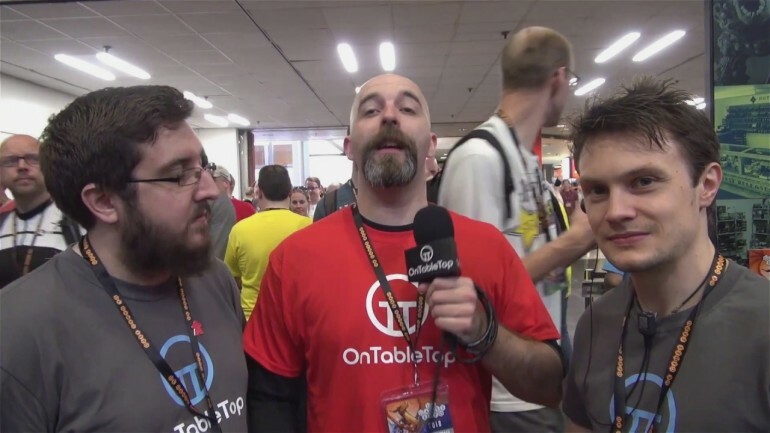 Justin updates us on the D&D stock situation with Gordon from Battlefront. 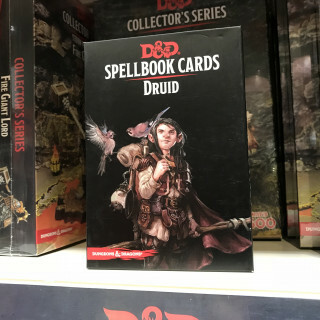 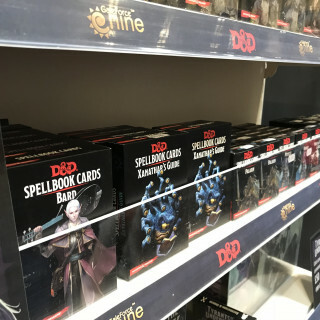 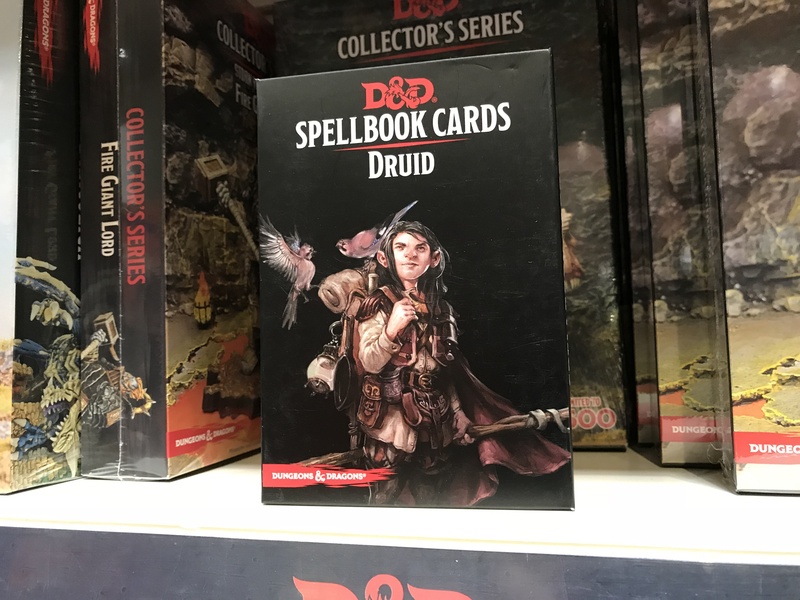 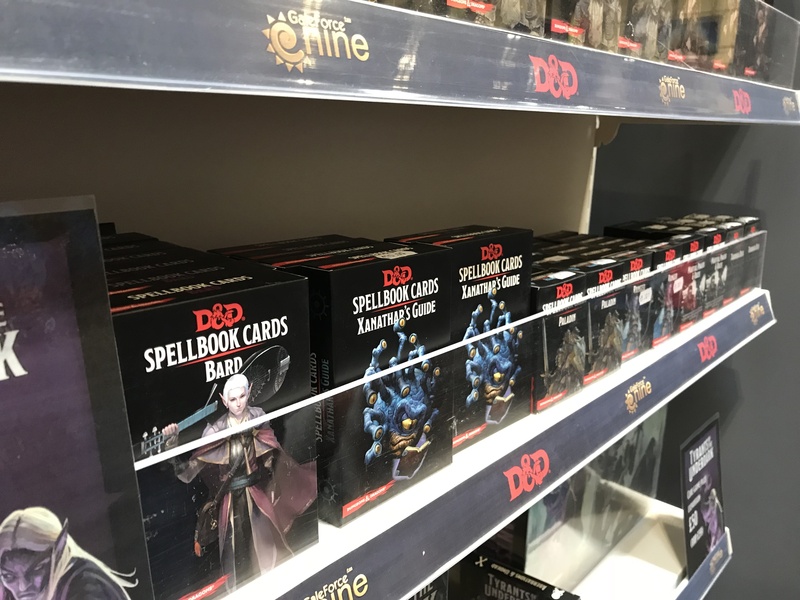 Happily reporting that the spell cards are back in stock there’s also another surprise in the shape of an undead dragon! 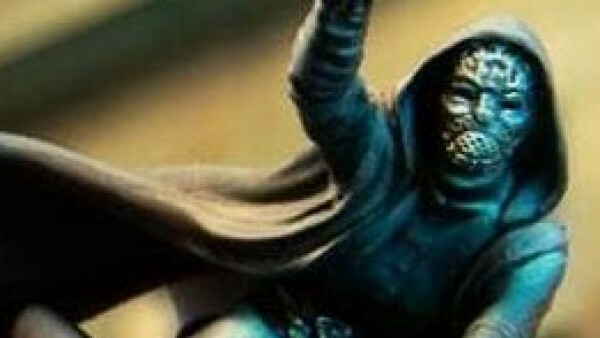 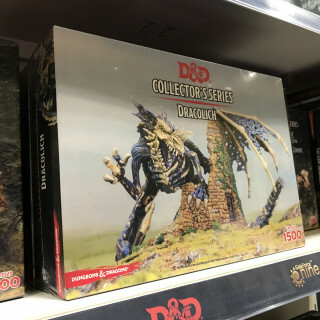 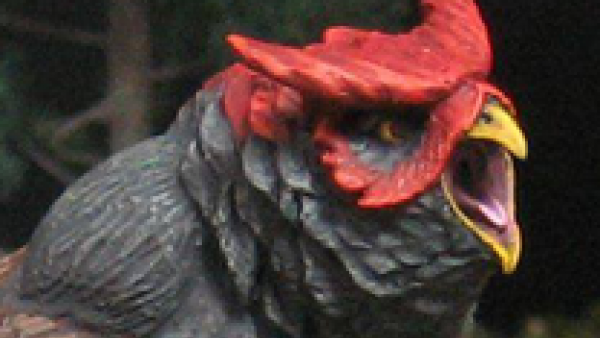 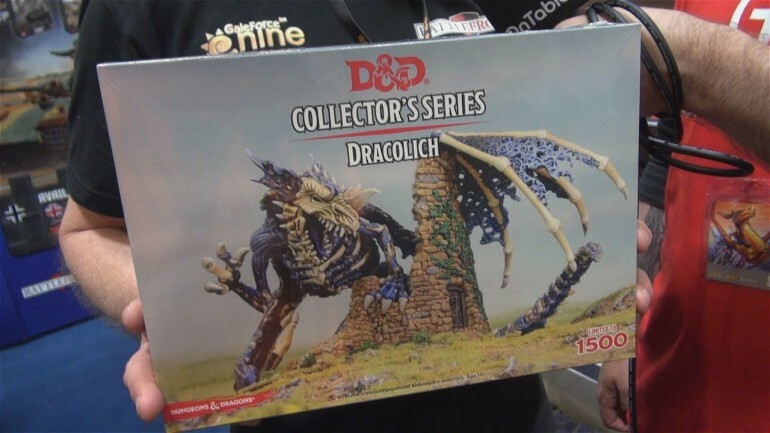 So comment below to be in with a chance to win a Dragolich miniature from Battlefront! 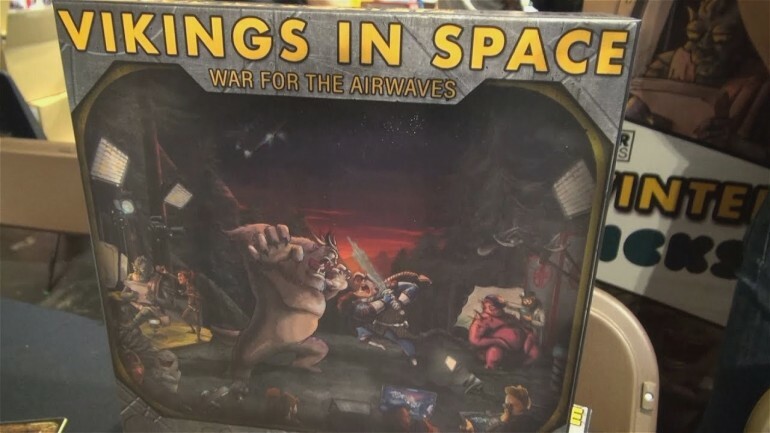 DNAR Games Make Great TV With Vikings In Space! 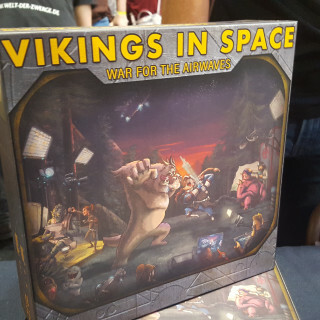 It’s Vikings in Space! 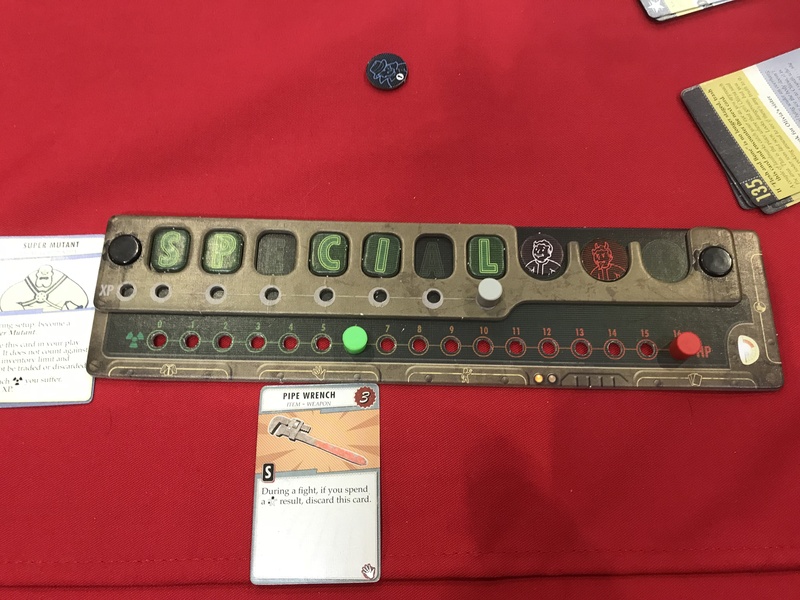 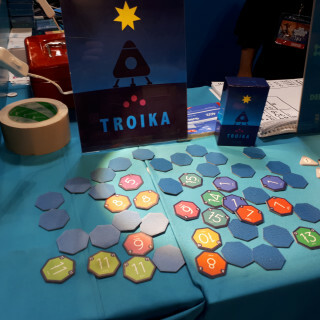 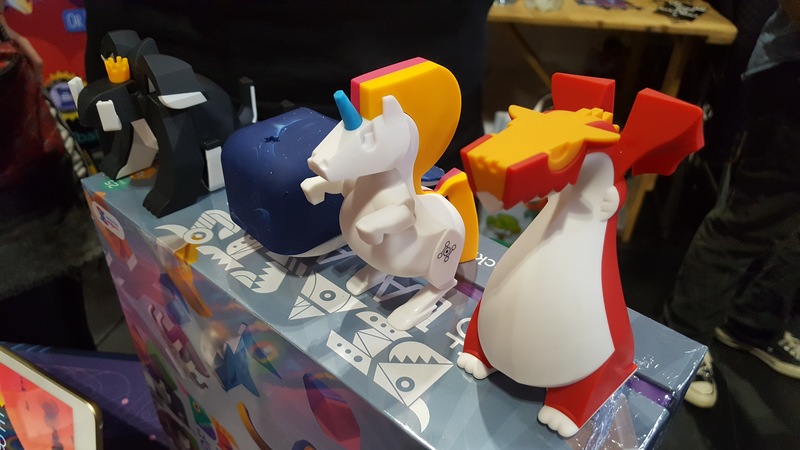 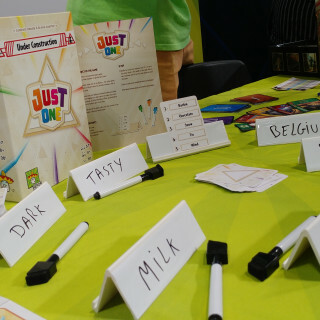 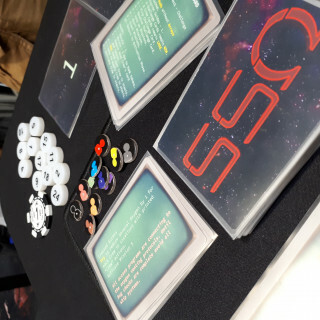 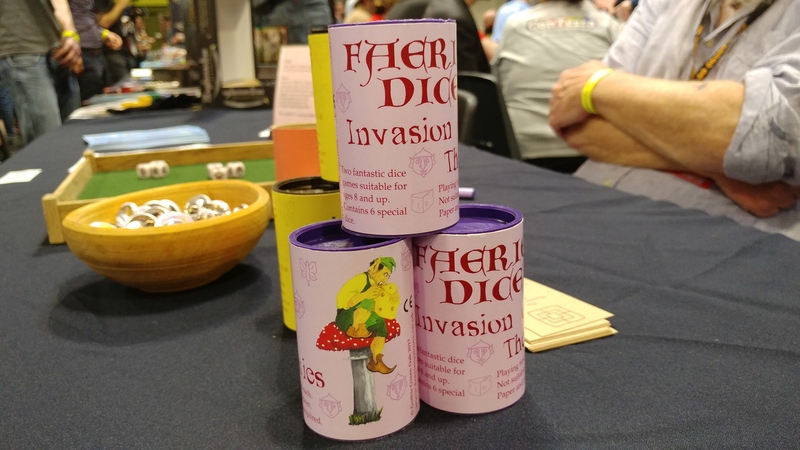 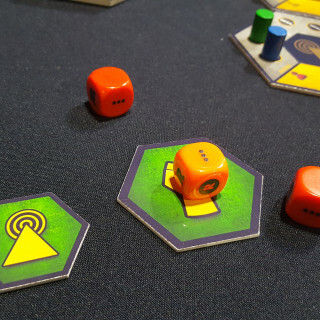 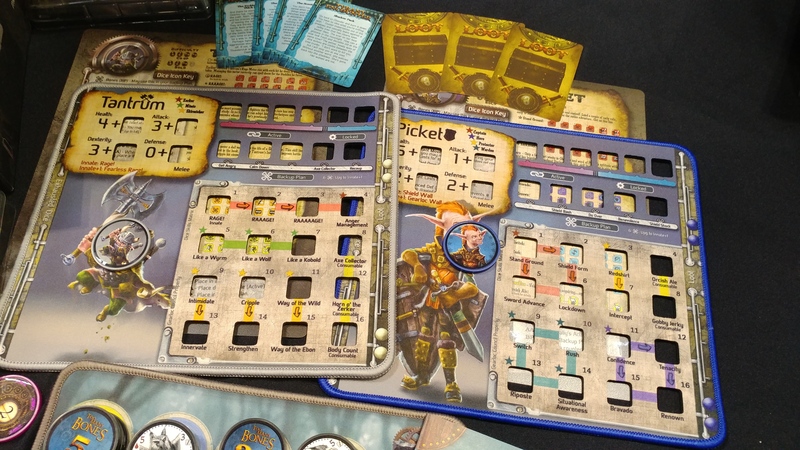 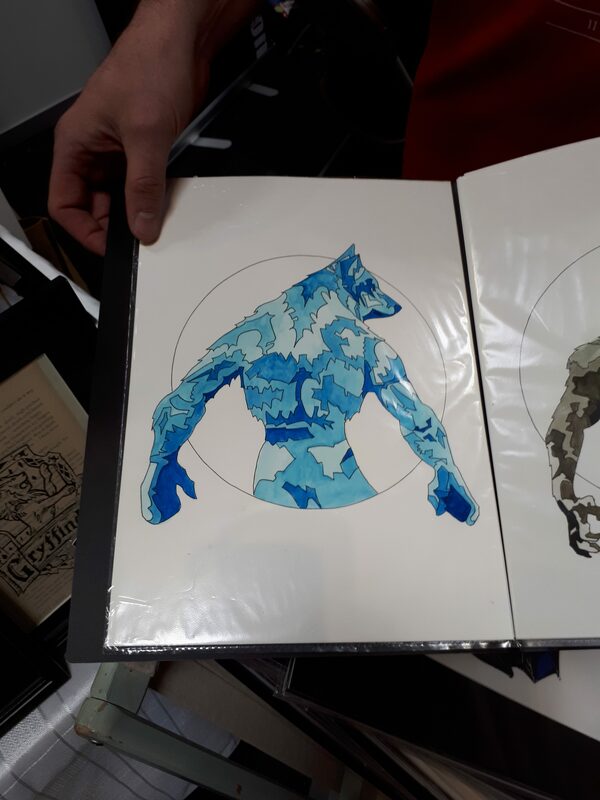 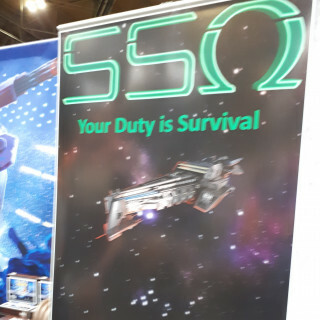 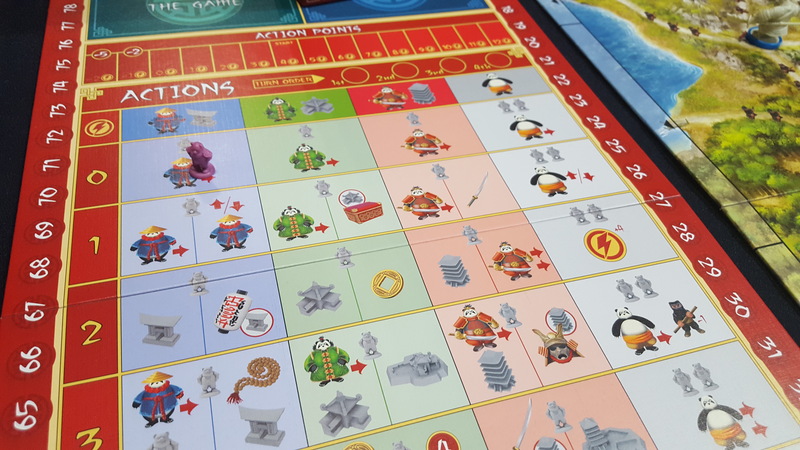 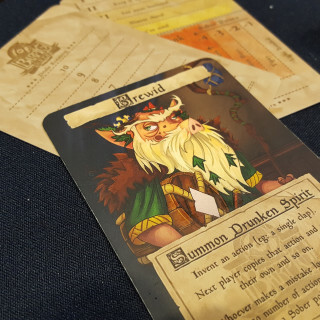 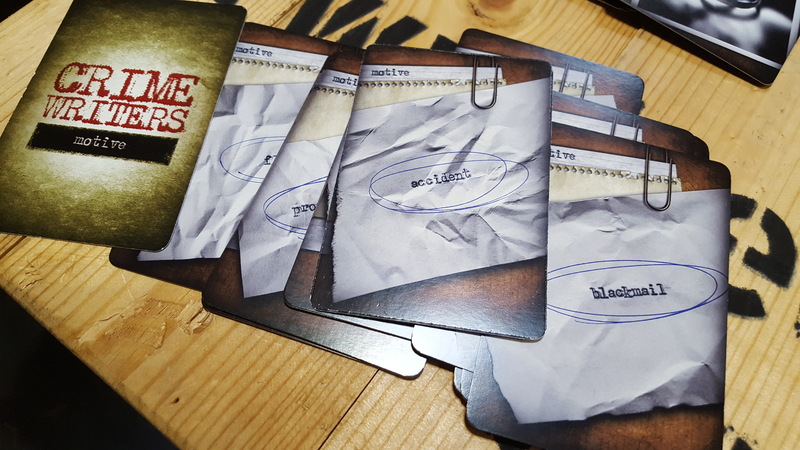 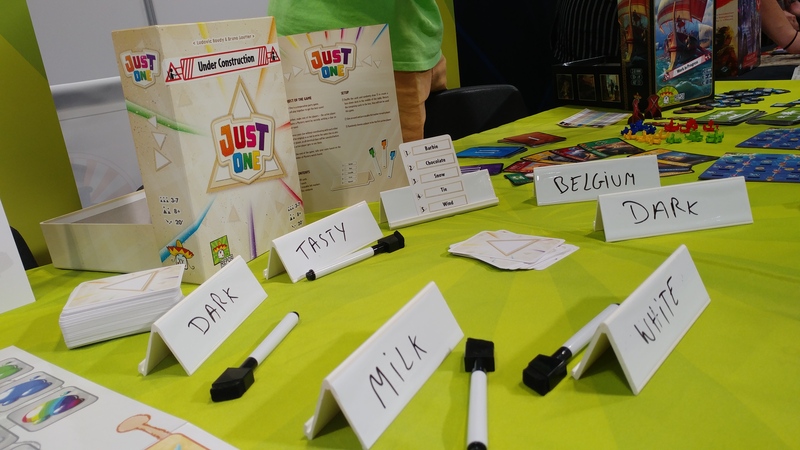 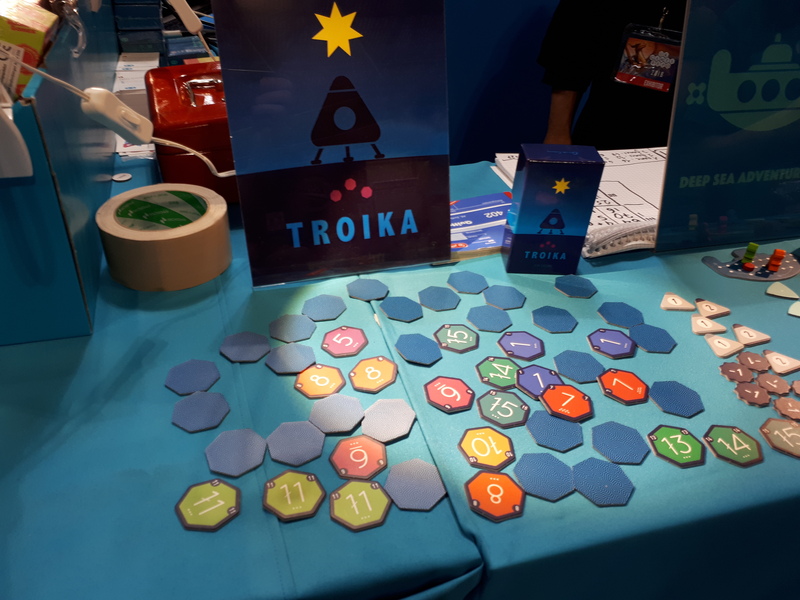 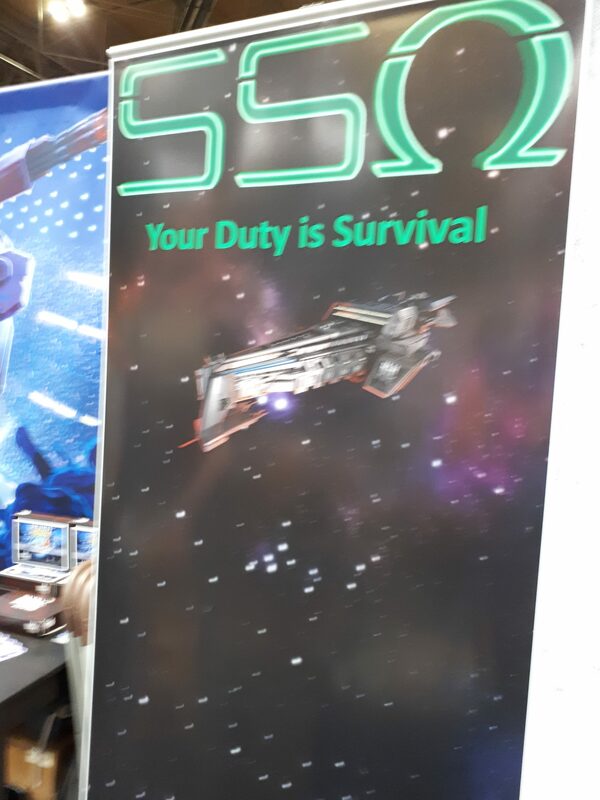 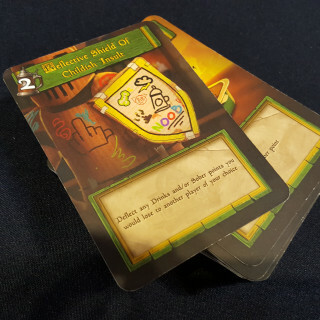 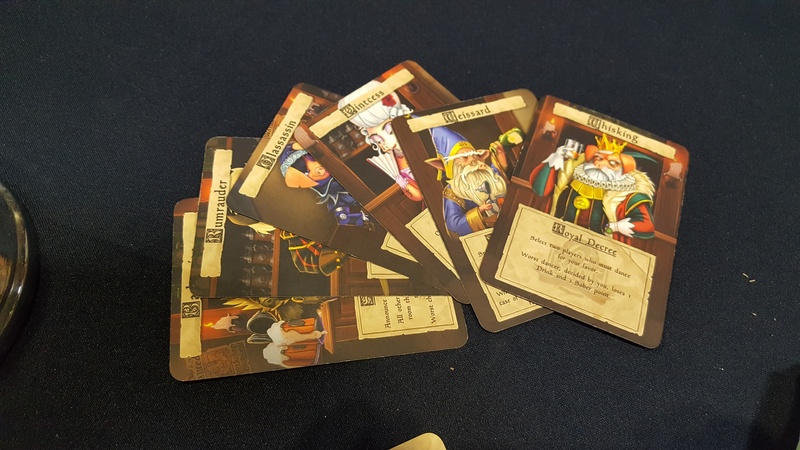 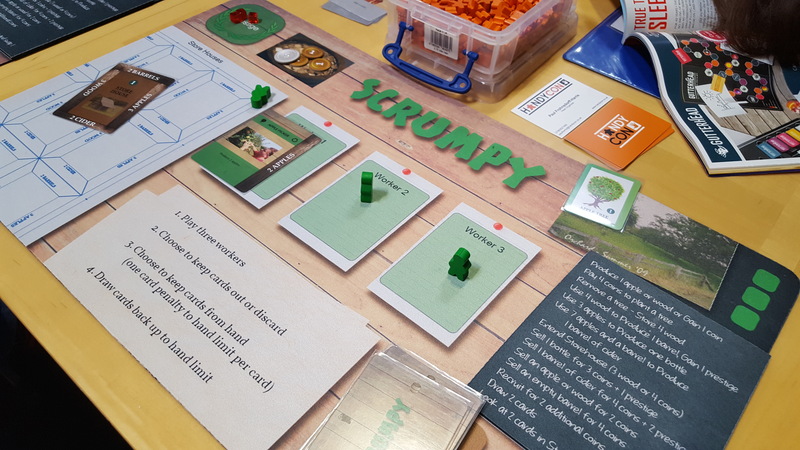 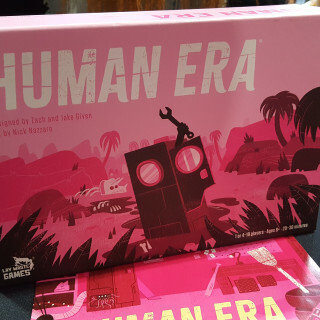 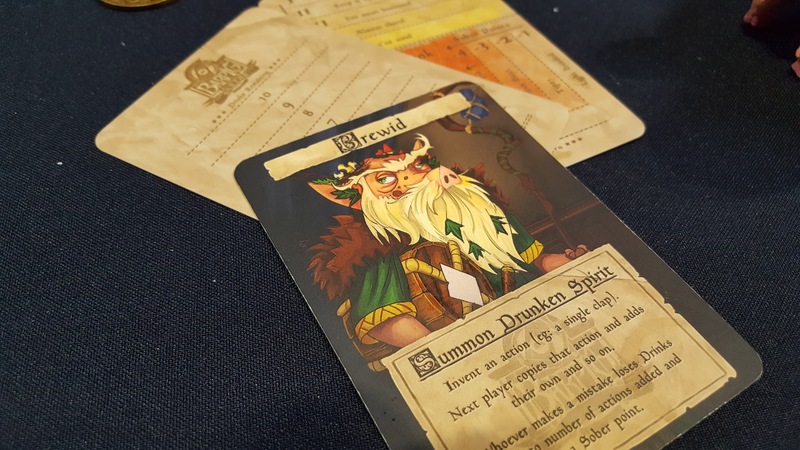 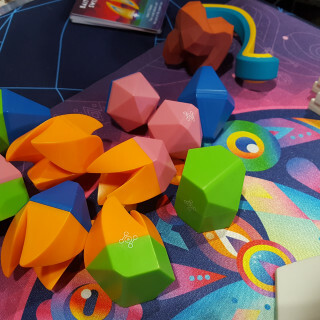 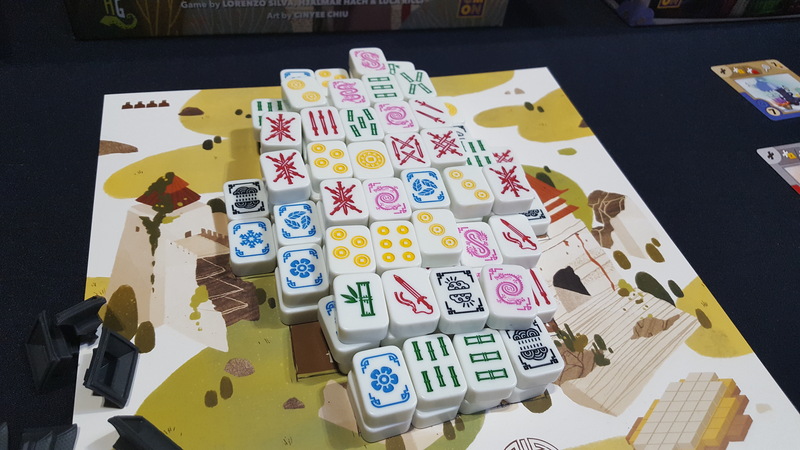 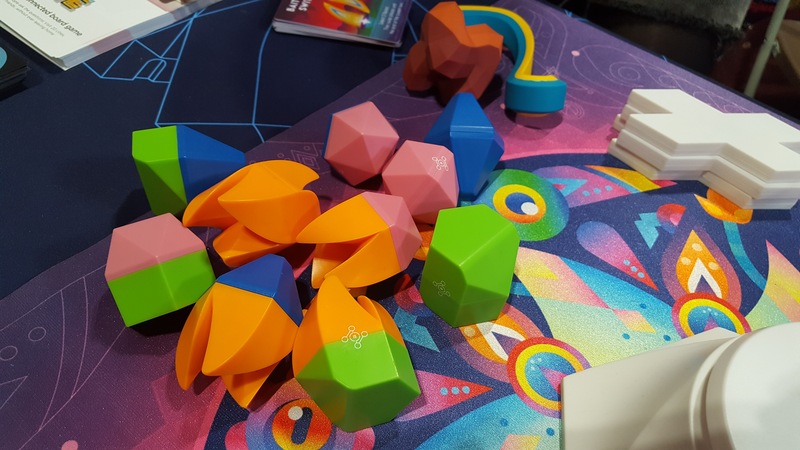 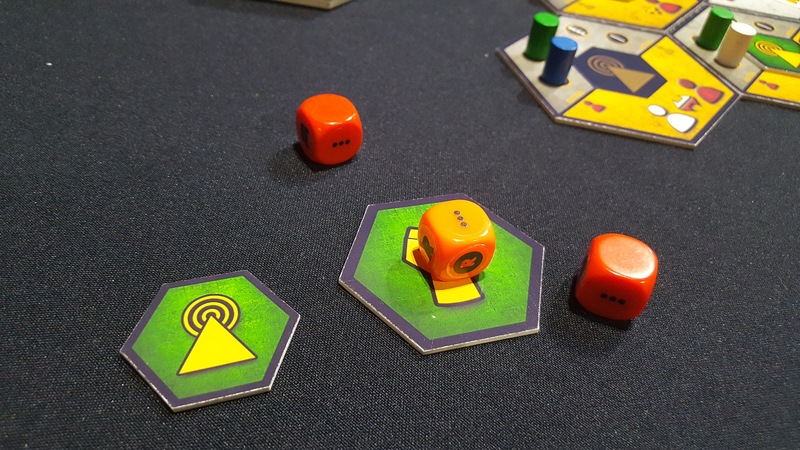 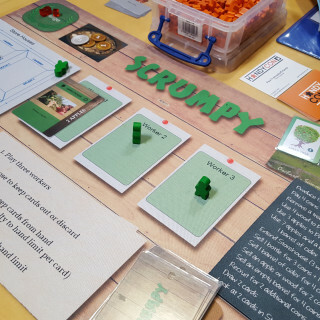 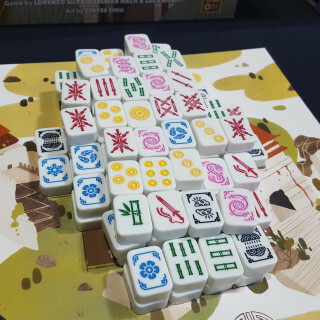 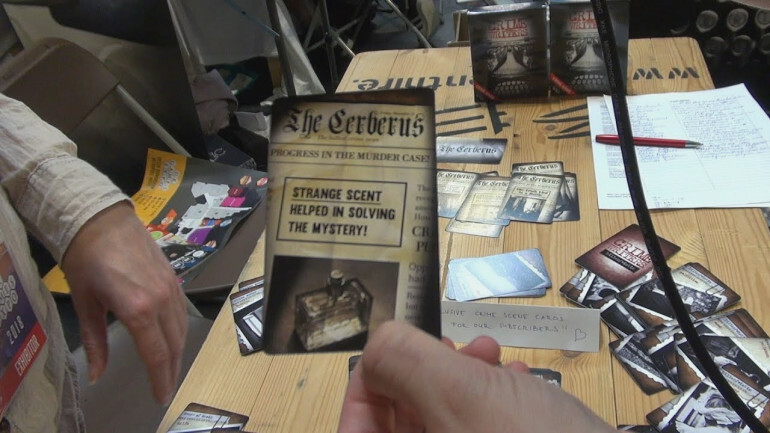 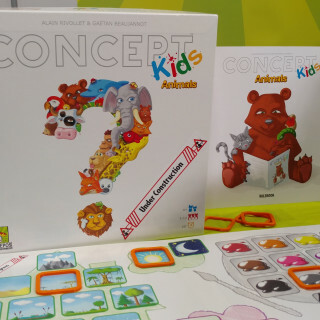 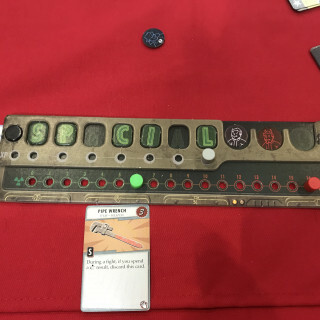 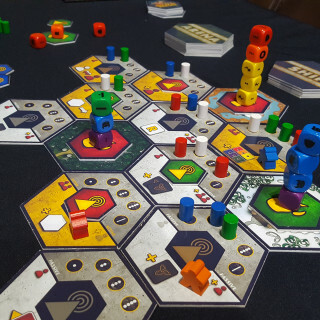 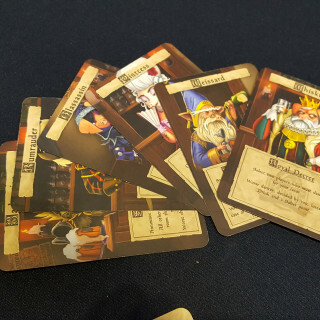 I am already loving this concept from DNAR Games, which they are playtesting at UKGE this year before they take it to Kickstarter. 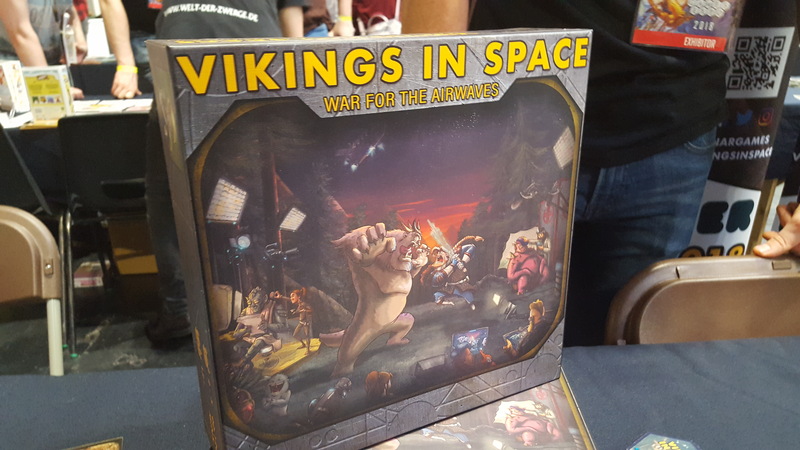 Do you like the idea of vikings in spaaaaaaace!? 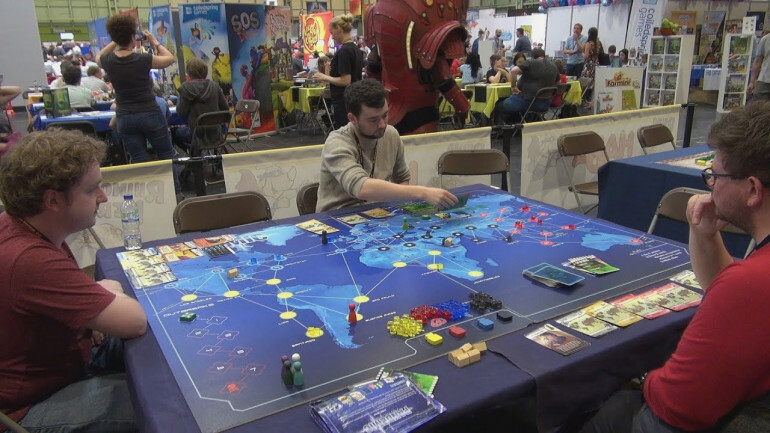 We’ve wandered over into the Family Zone to check out some cool oversized games everyone has been playing. 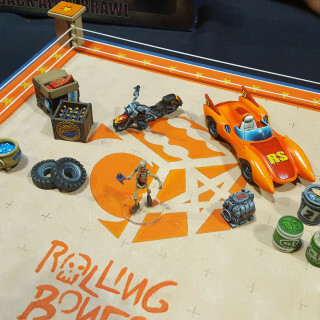 It’s really cool to see all the different ways people can engage with the event and these are definitely a fun way to get the family gaming. 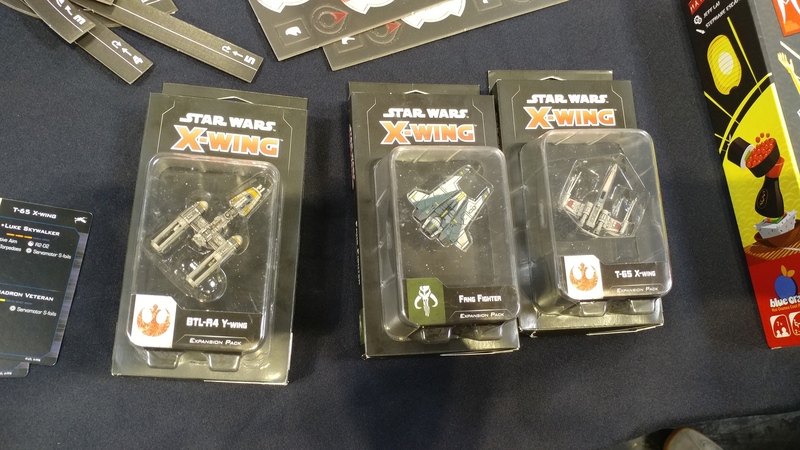 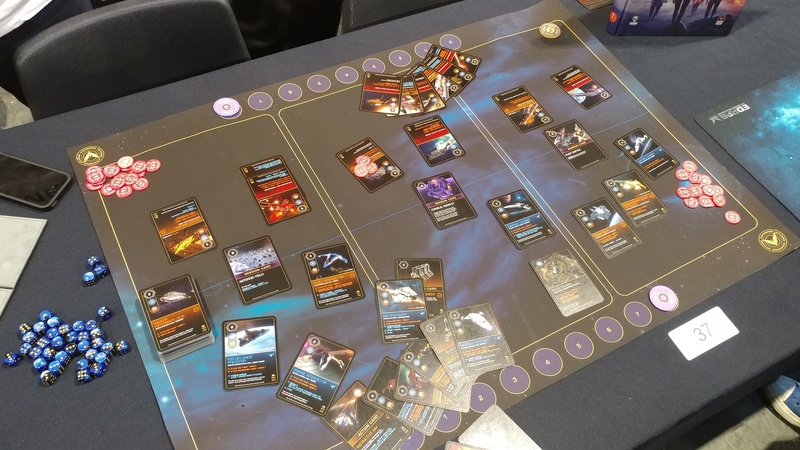 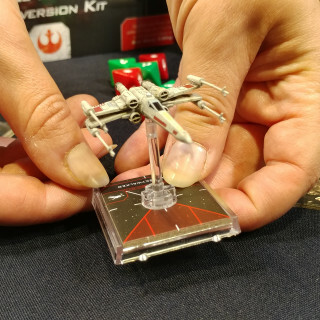 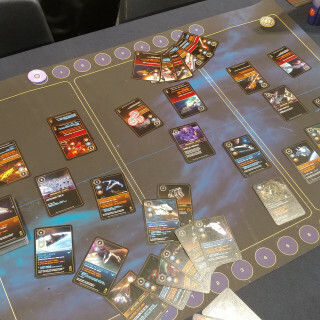 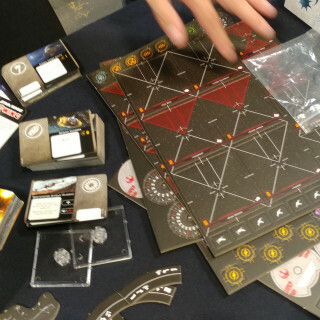 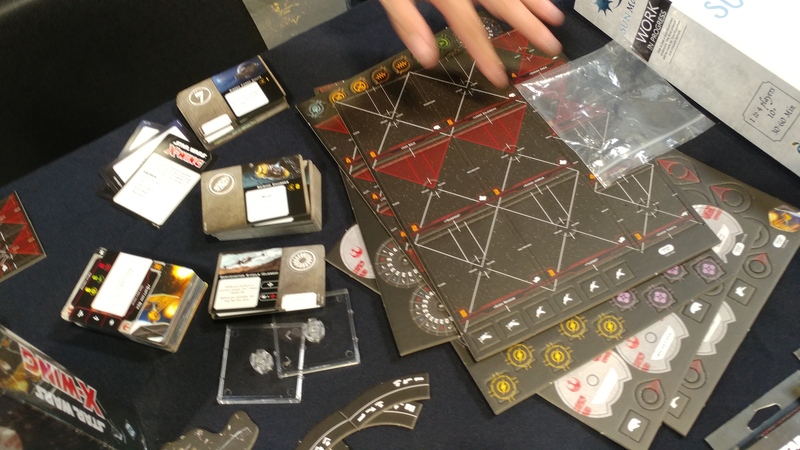 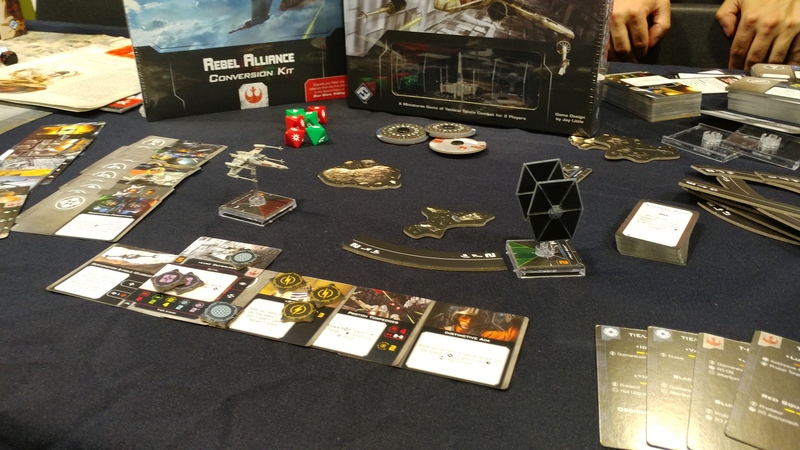 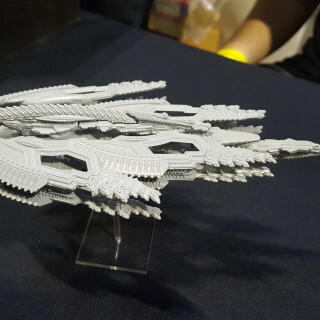 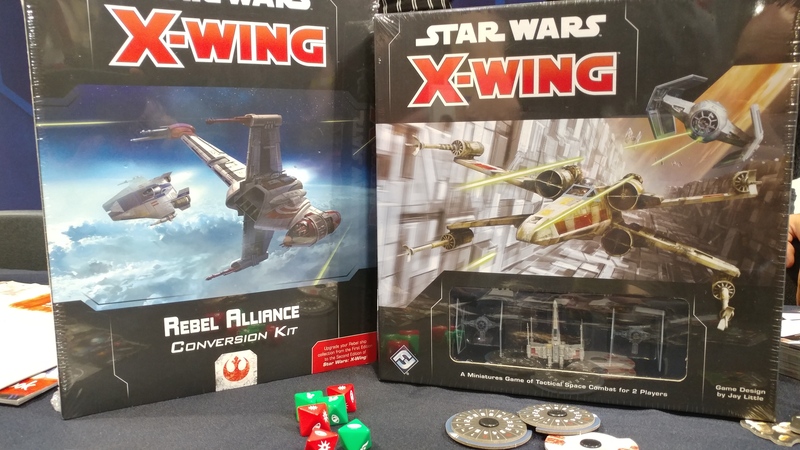 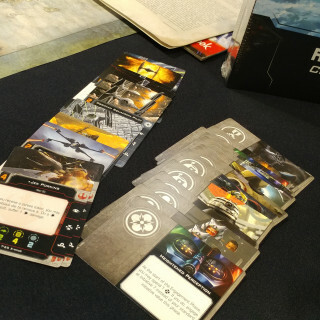 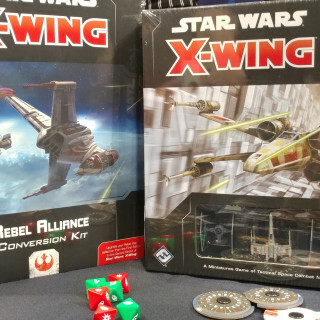 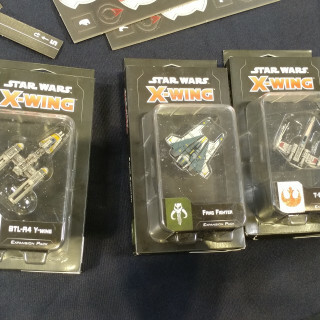 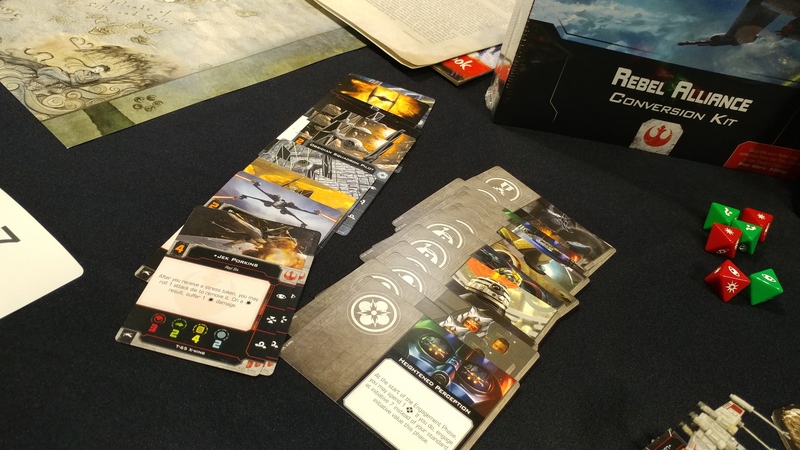 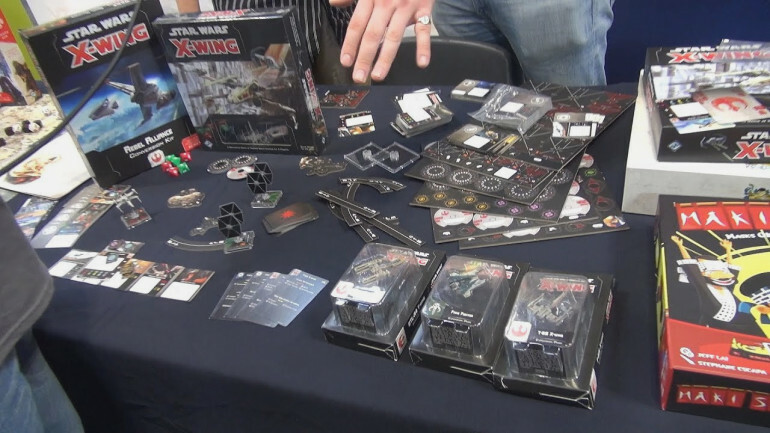 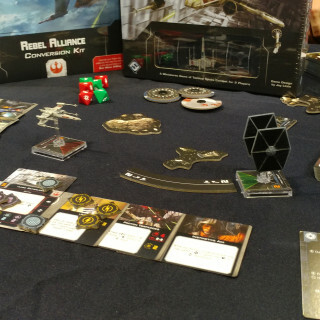 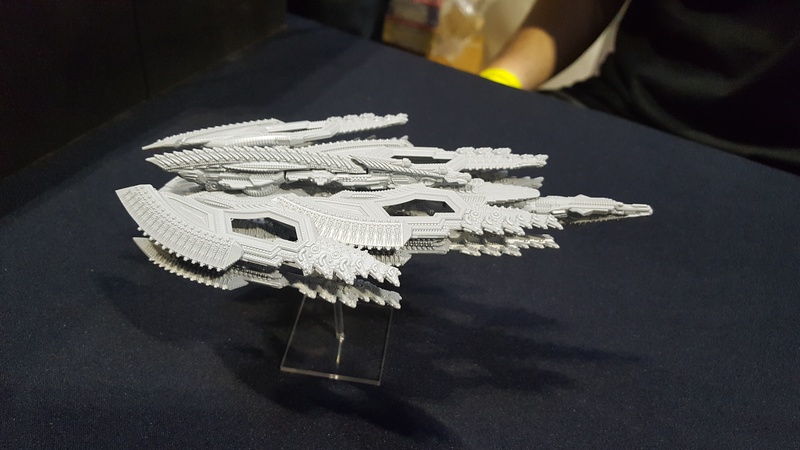 There are a lot of exciting new goings on in the Star Wars universe and we stopped by with Fantasy Flight Games to hear more about X-Wing 2.0. 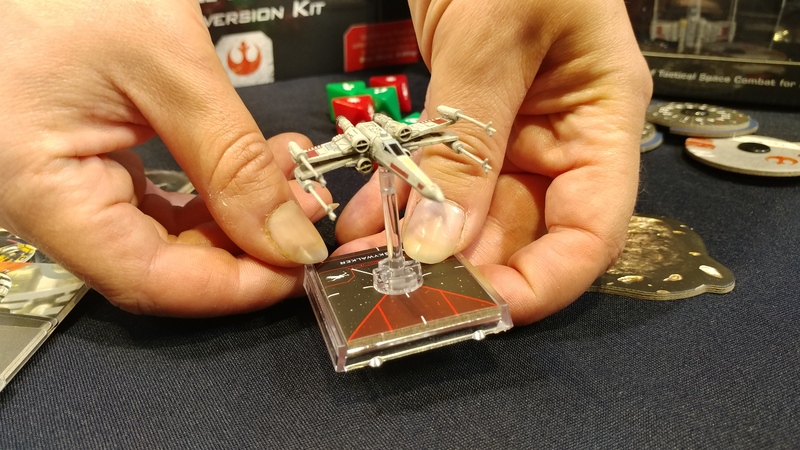 Are you excited to get started with X-Wing 2.0? 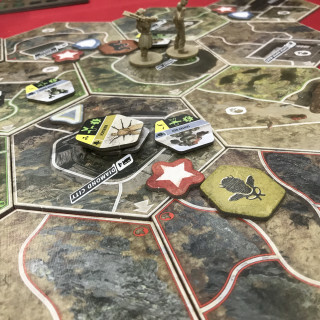 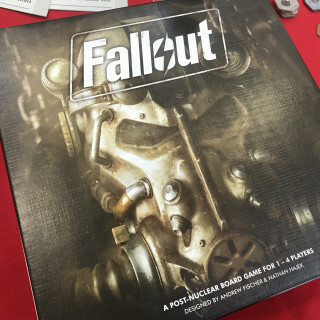 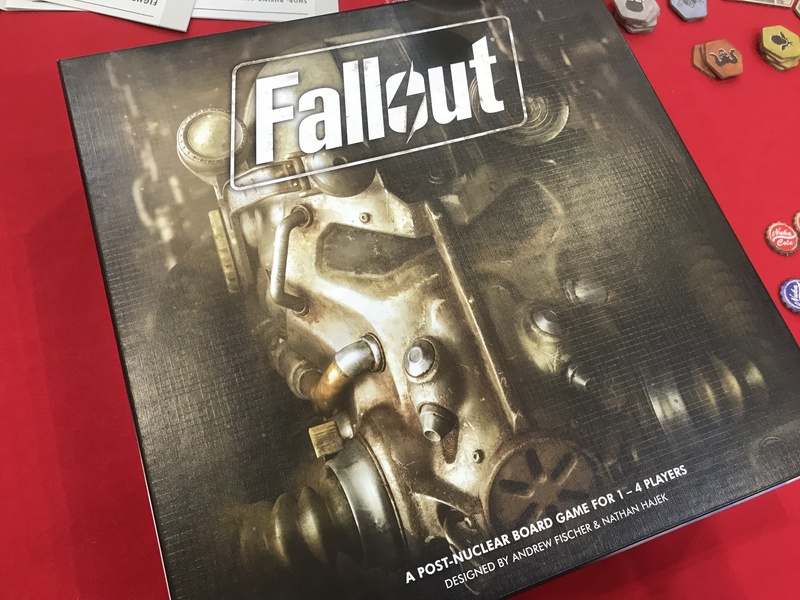 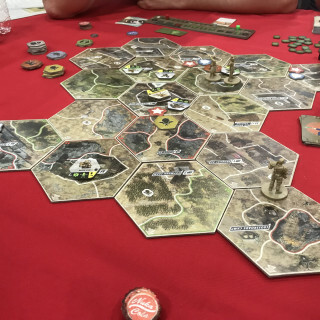 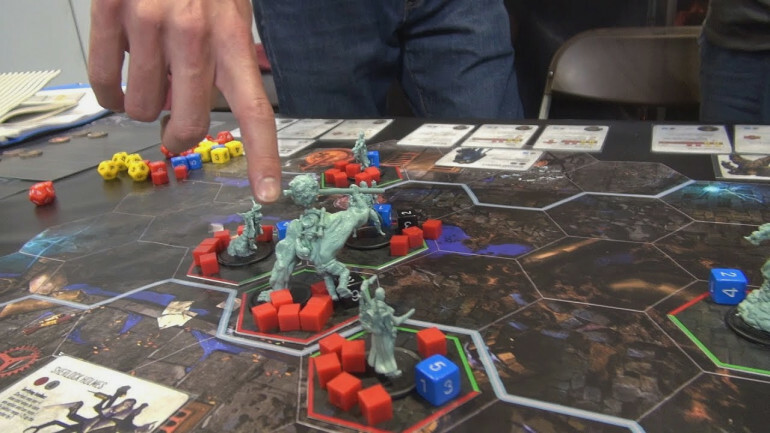 Justin jumps in on a Fallout demo game by Fantasy Flight Games. 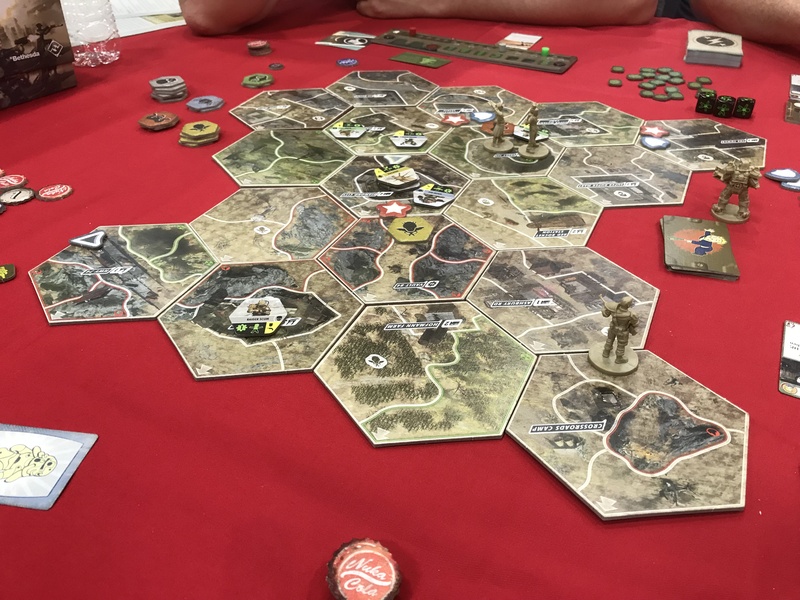 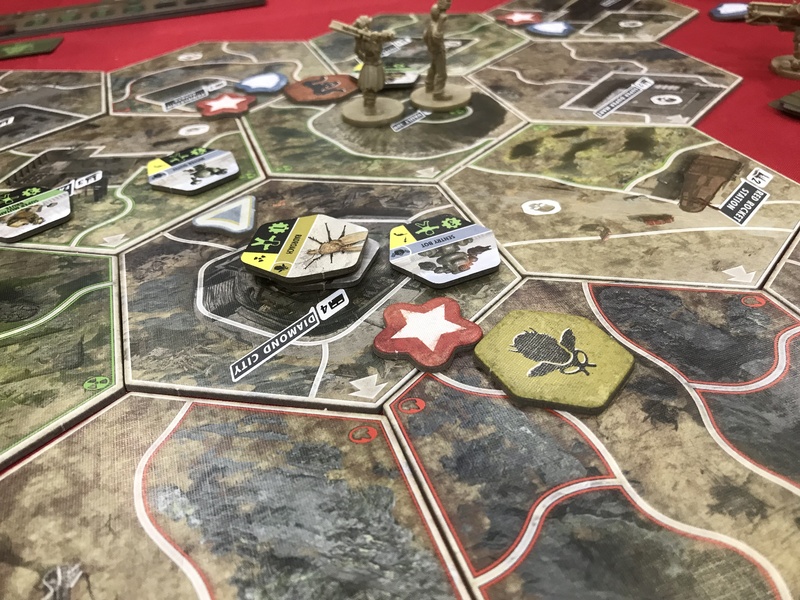 Returning to the post-apocalyptic wasteland of the series, we find out a little more about the mechanics and how it plays. 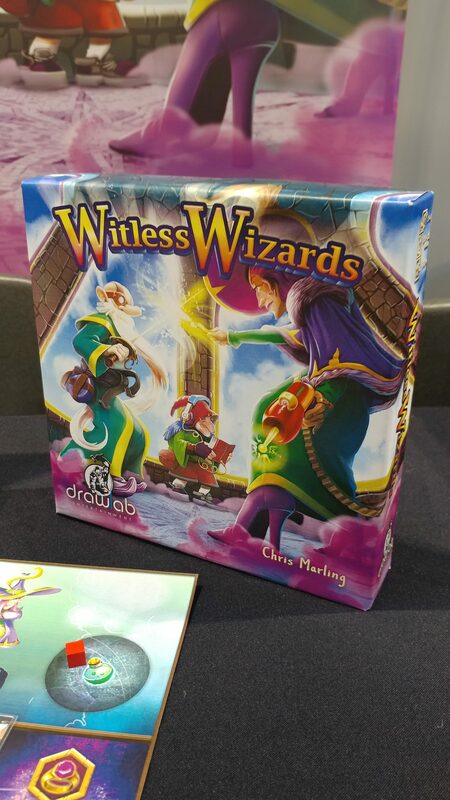 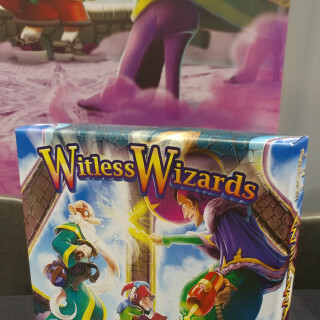 Justin joins Evangelos from Drawlab to have a look at Witless Wizards. 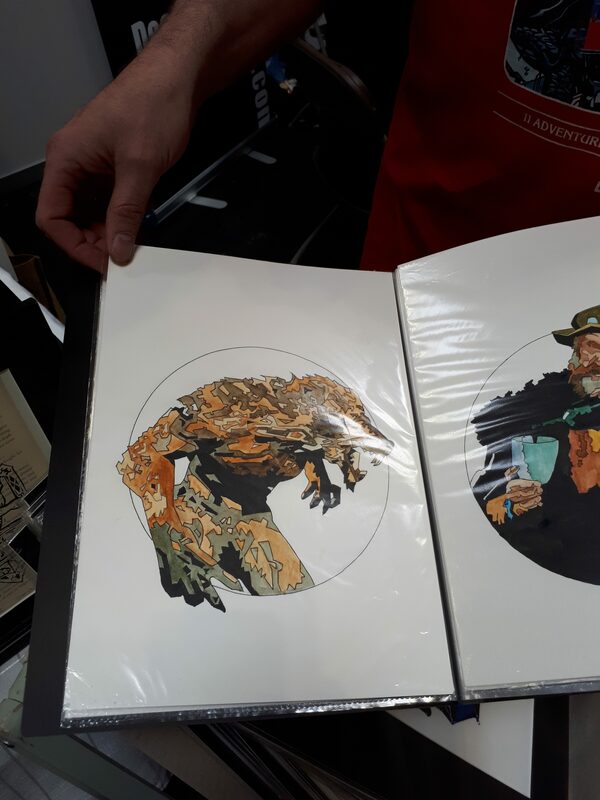 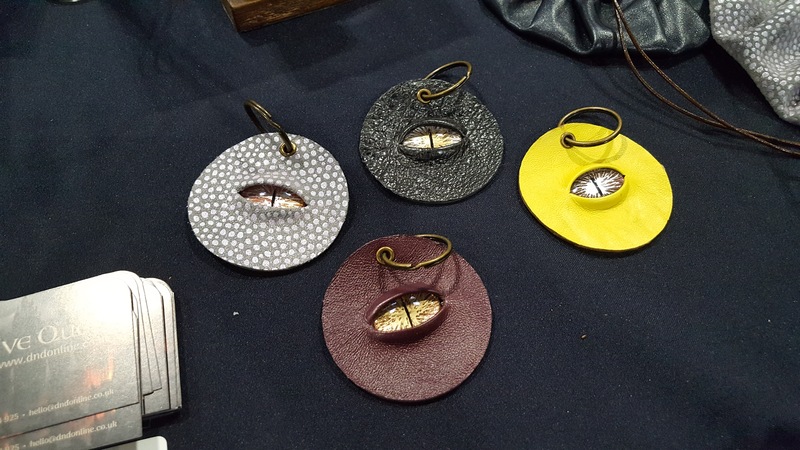 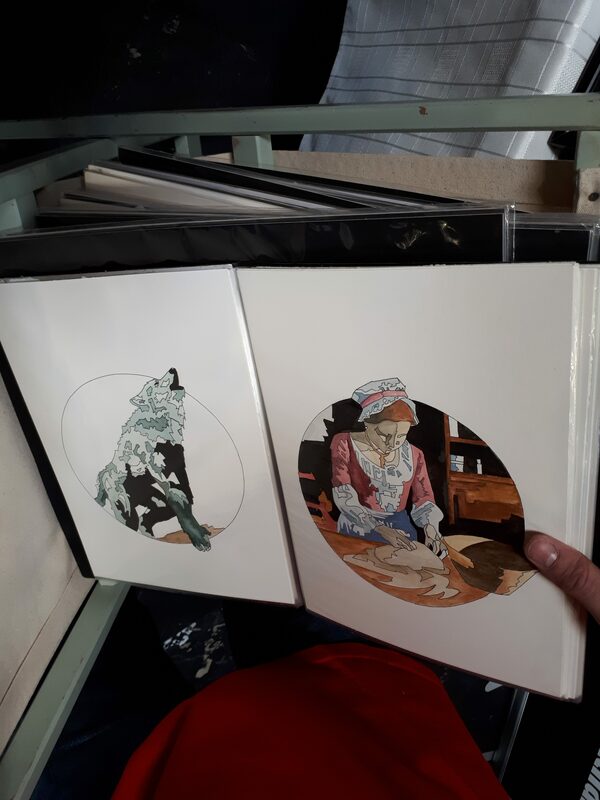 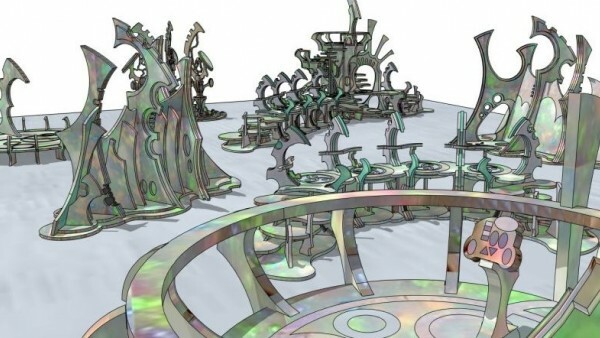 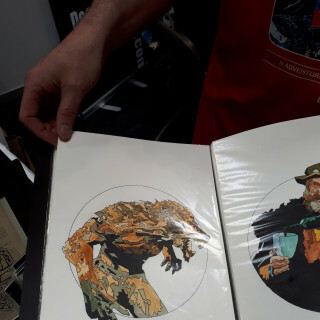 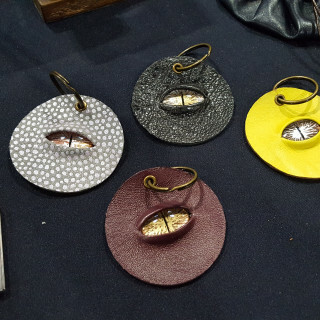 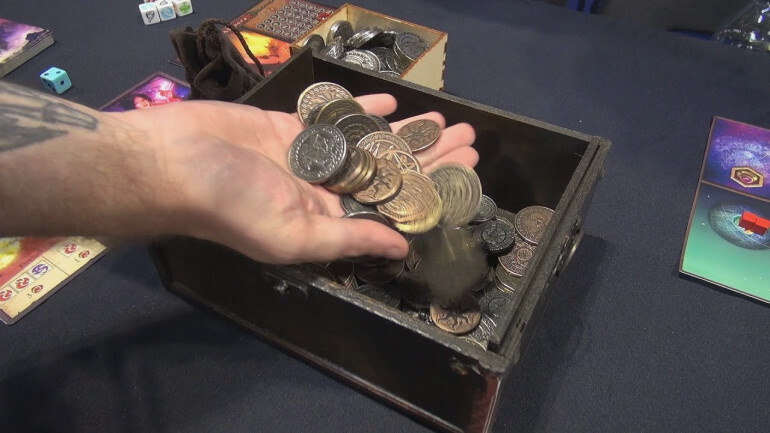 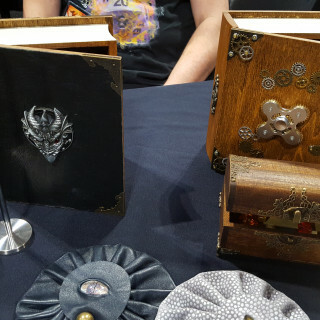 In addition to looking at the hapless sorcery of the ageing wizards, Justin also gets to look at some of the beautiful metal coins Drawlab have made. 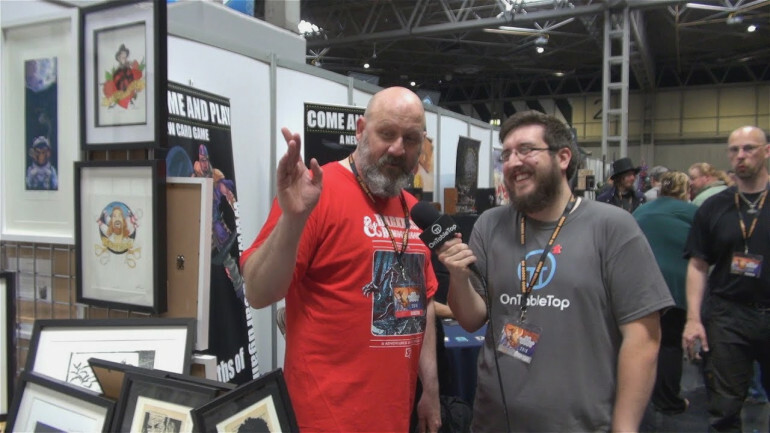 Justin stops by with John from Gate Keeper Games to talk about both Halfsies Dice and A.D.A.P.T. 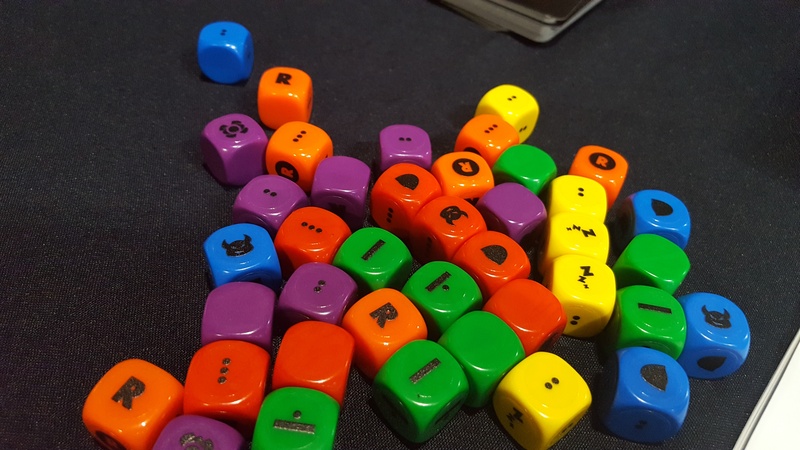 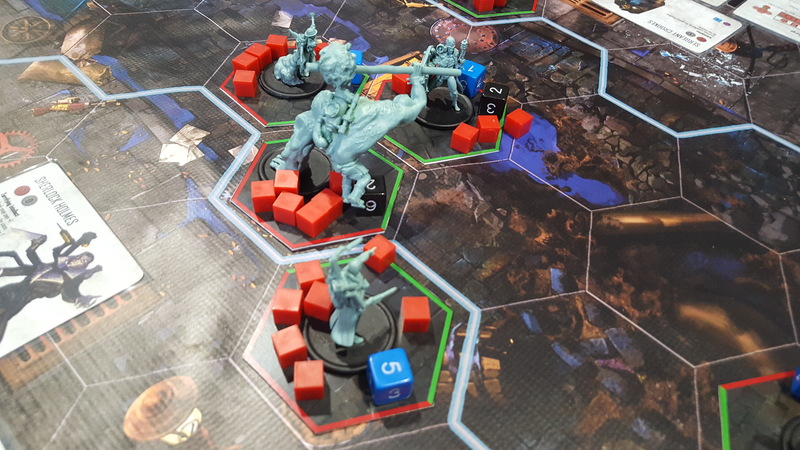 Battling until the demise of your opponents is of core concern in A.D.A.P.T, but Gate Keeper also showed off their Halfsies Dice. 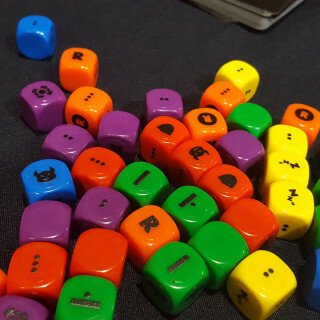 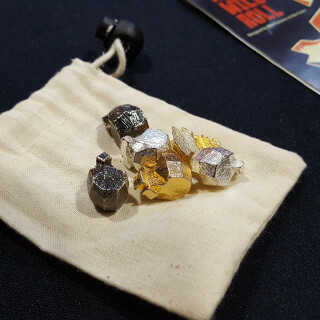 Comment below to win a set of halfsies dice! 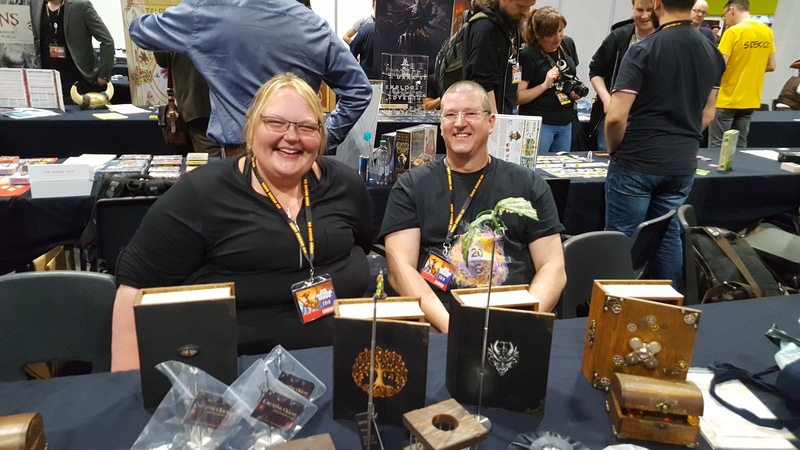 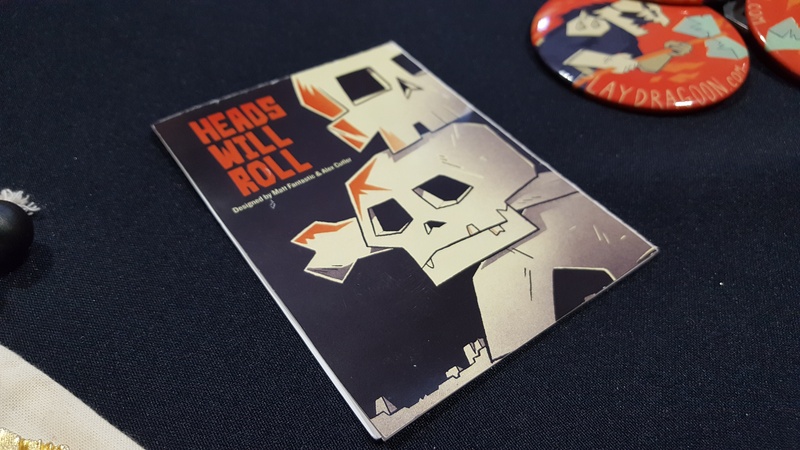 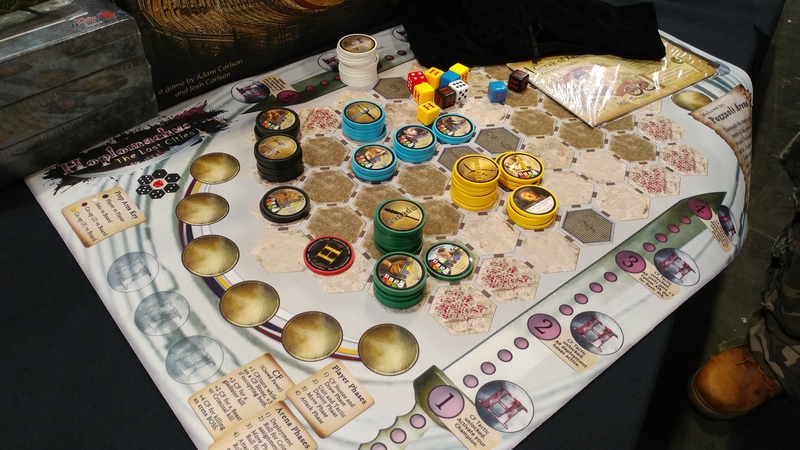 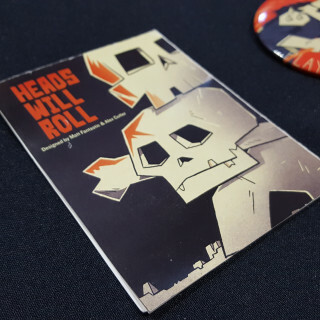 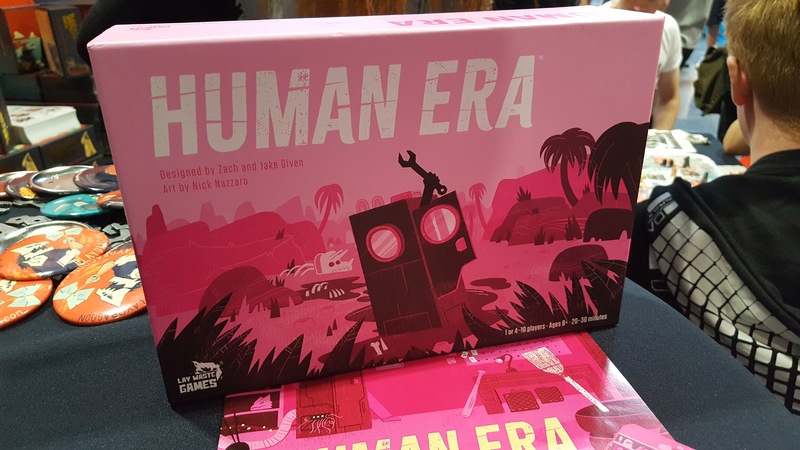 Lay Waste Games have a couple of new games with them at UKGE, including Heads Will Roll and Human Era, continuing their love of metal components from Dragoon. 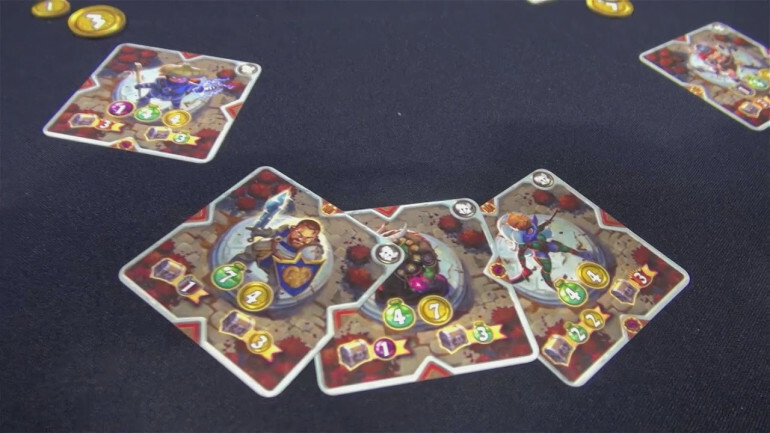 Comment below for your chance to win a copy of Dragoon. 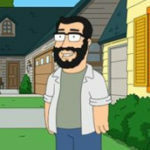 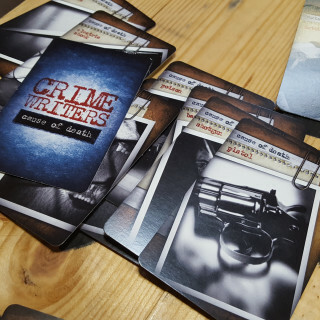 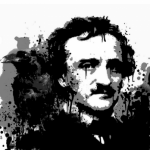 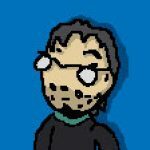 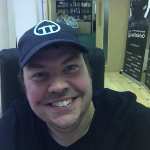 Ben joins Lulla Games to look at Crime Writers. 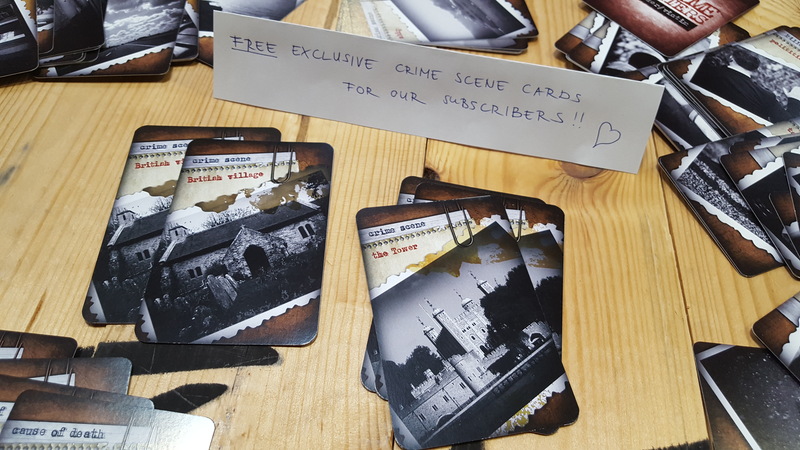 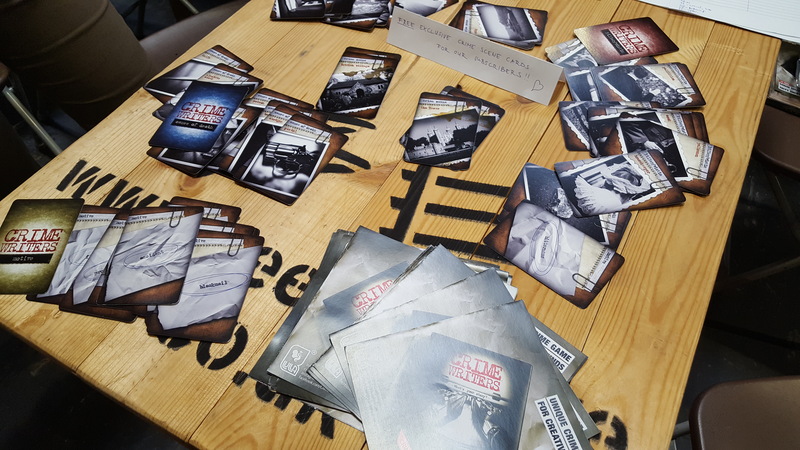 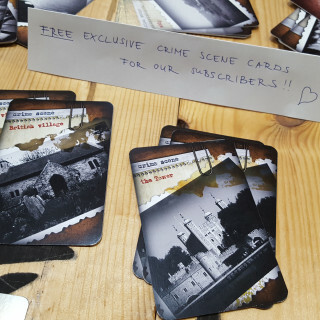 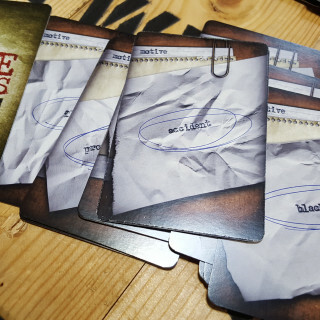 A success in Hungary, Lulla are bringing Crime Writers to Kickstarter in Autumn. 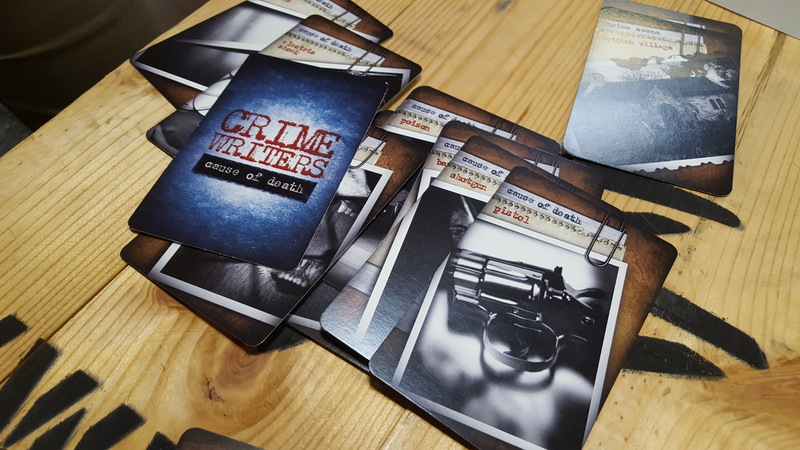 Comment below to win a copy of Crime Writers! 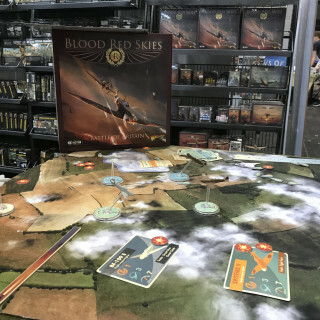 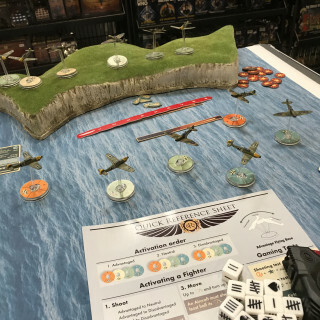 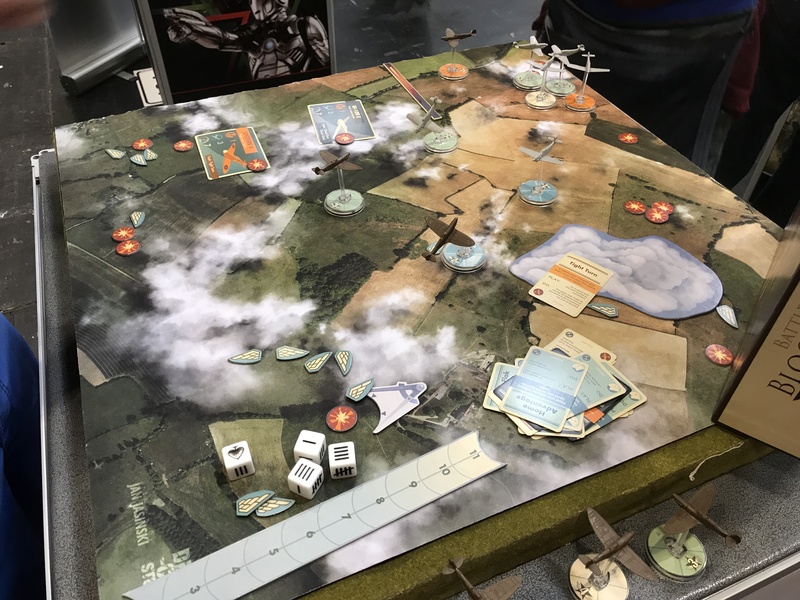 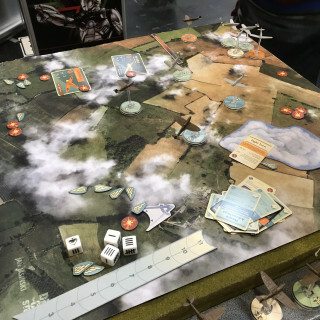 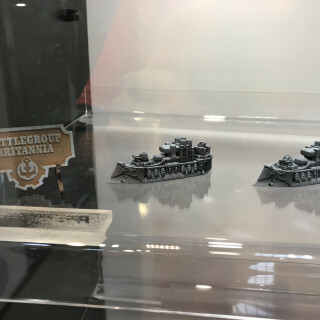 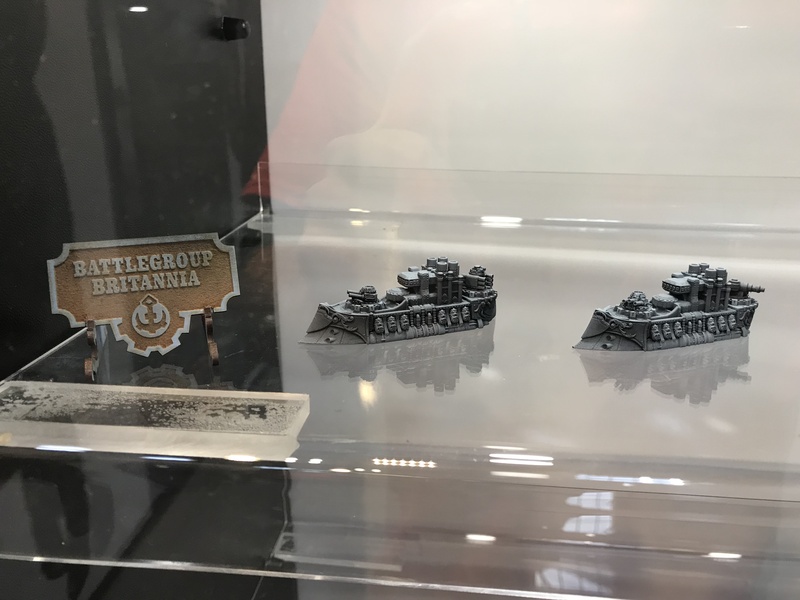 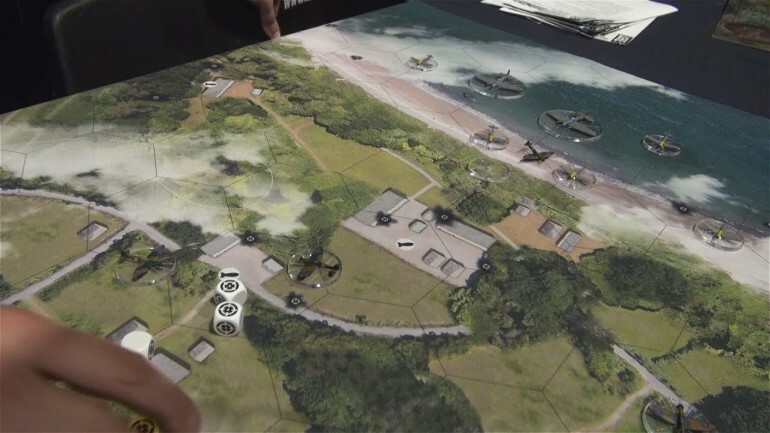 Warlord have landed at the front of UKGE’s Hall 1, where they have been running demo games of their fantastic WWII aerial combat game, Blood Red Skies. 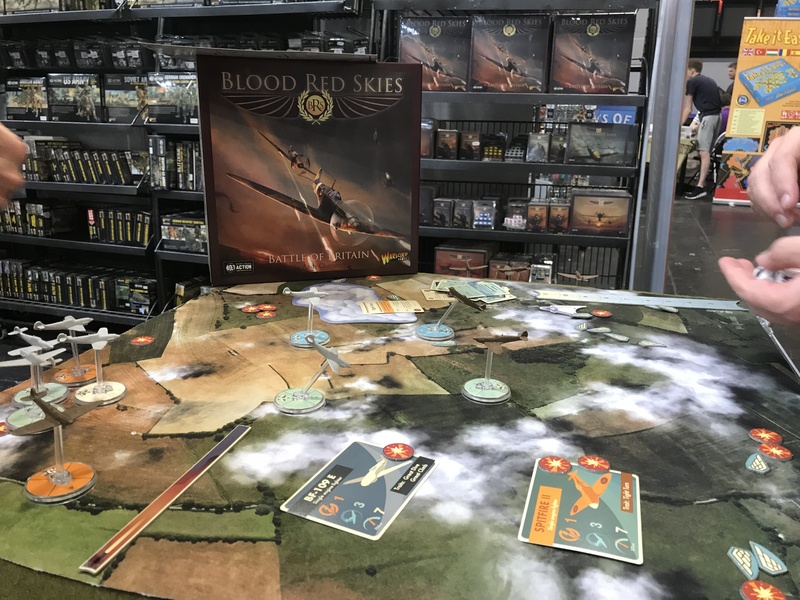 Comment below for a chance to win the Blood Red Skies Core Set. 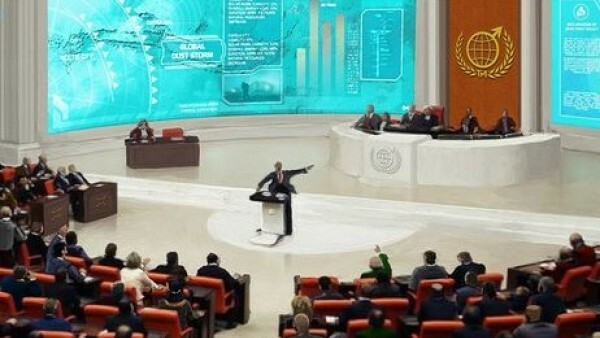 I like the new format very professional :). 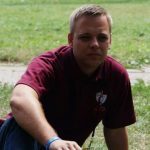 Oh dear… Justin in a red shirt…. 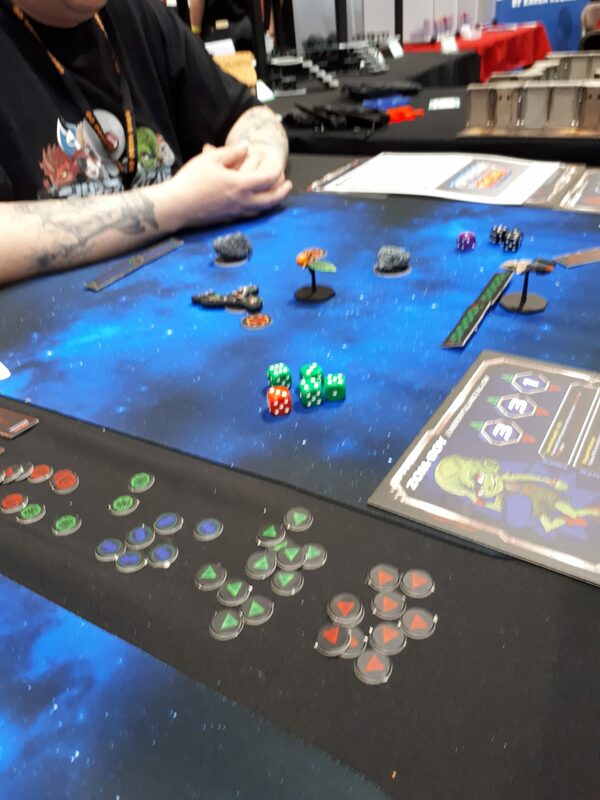 red shirts never last long. 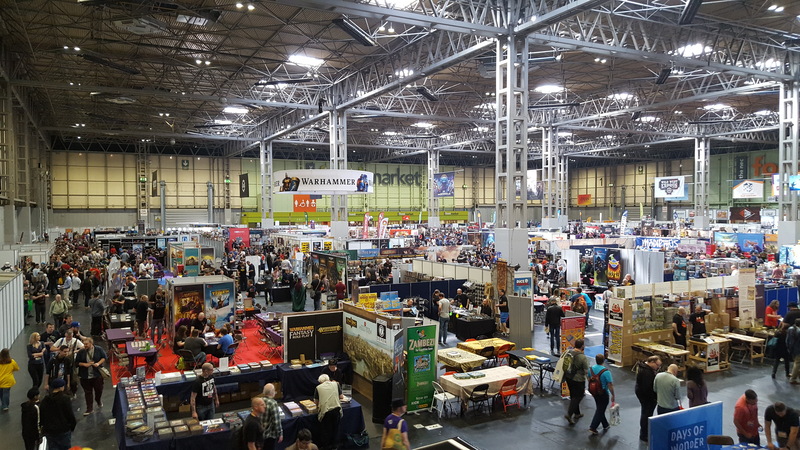 If you live near Birmingham or can get there over the next three days I highly recommend this show. 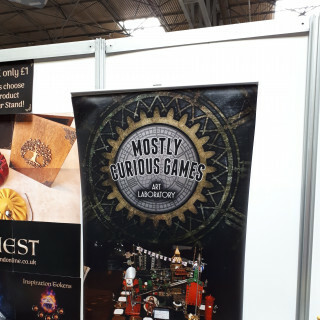 We loved last year and it is eating us up we can’t be there this year. 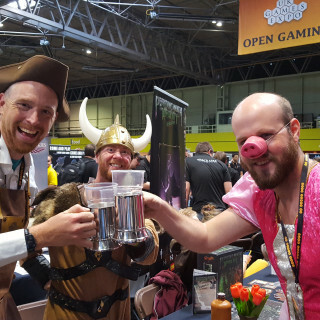 Wish we were there, but this is certainly the next best thing. 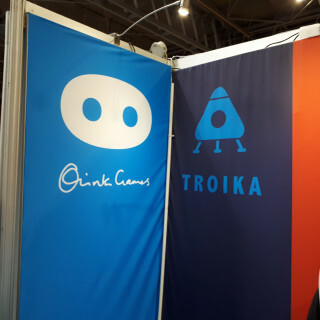 Have a great show, guys! 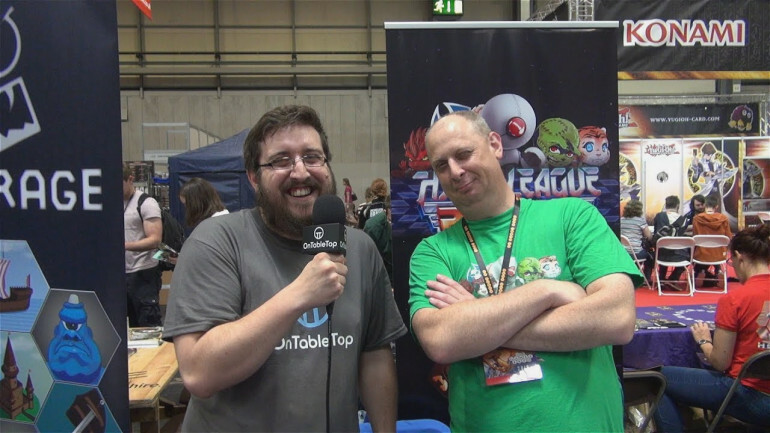 Keep you eyes peeled for the guys from the Average gamers podcast! 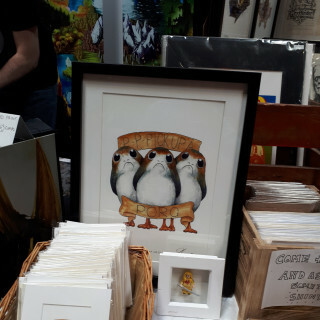 Represent! 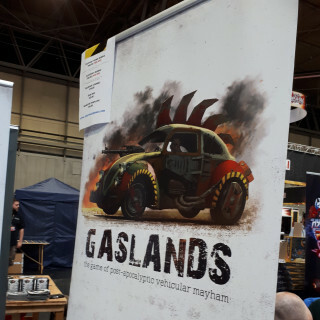 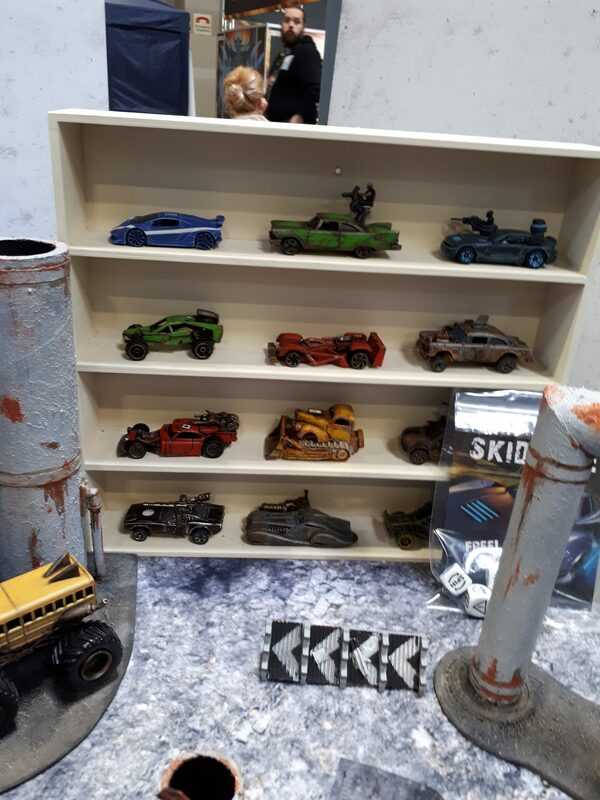 Glad to see you talking a bit of Gaslands – I’ve not managed to give it a shot yet, but it looks a lot of fun. 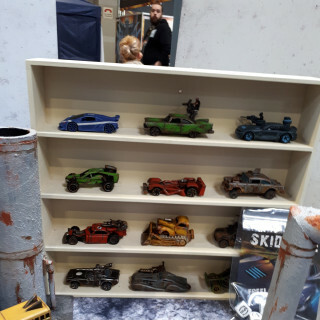 I mean who wouldn’t want to convert up some old Hot Wheels to game with? 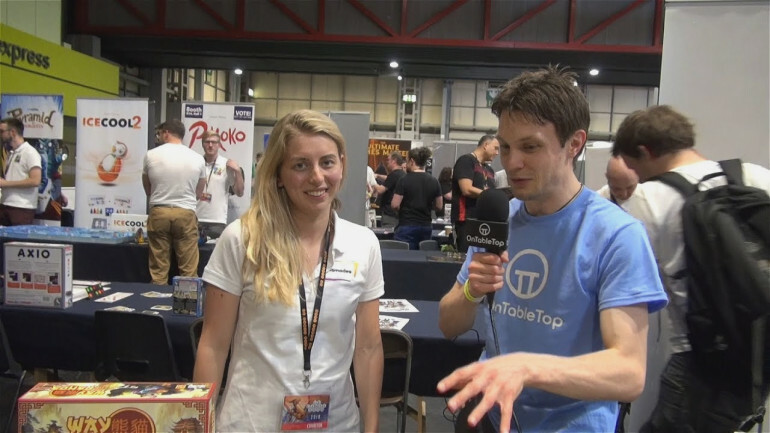 Seriously it’s about time someone started covering these events properly, absolutely brilliant coverage guys, really enjoying it. 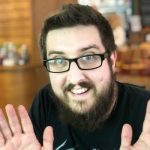 Thanks for bringing us the highlights. 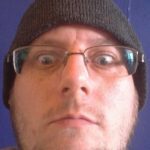 Stuck at home doing DIY and chores for the missus… and it’s not even a bank holiday! 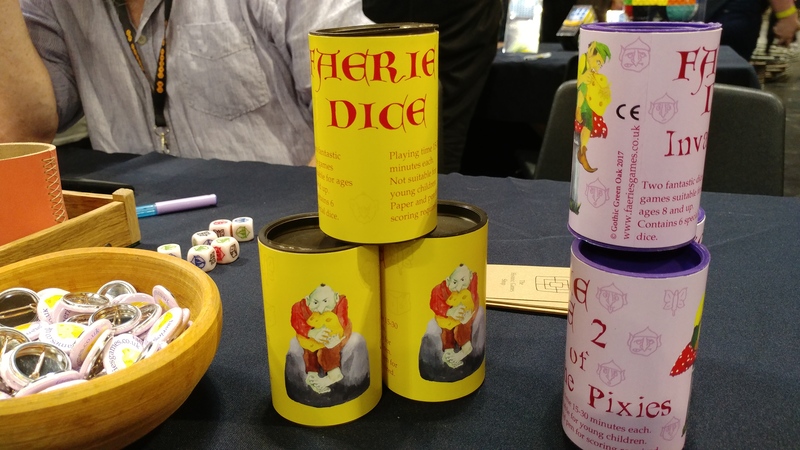 I have found the secret to success! 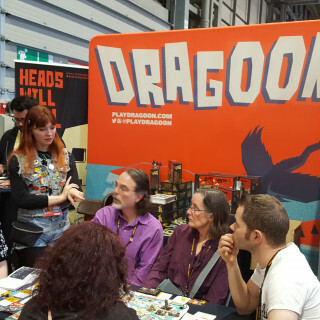 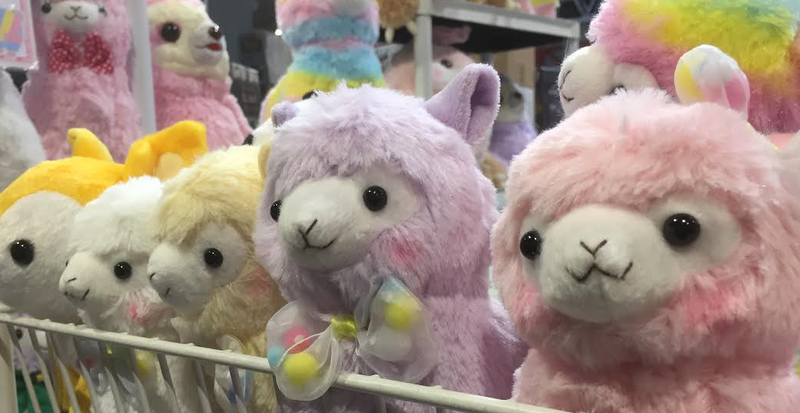 Otherwise everything looks pretty awesome at this years Con! 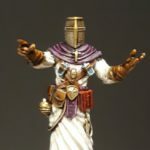 Minis are white, minis are grey, I like to paint minis every day. 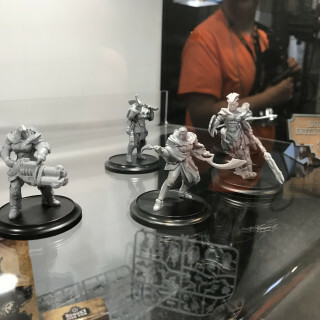 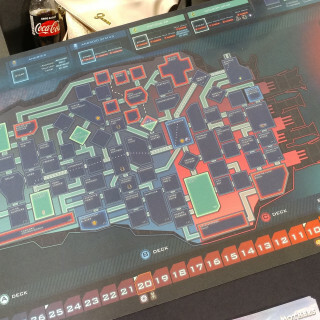 Looking like more and more great stuff! 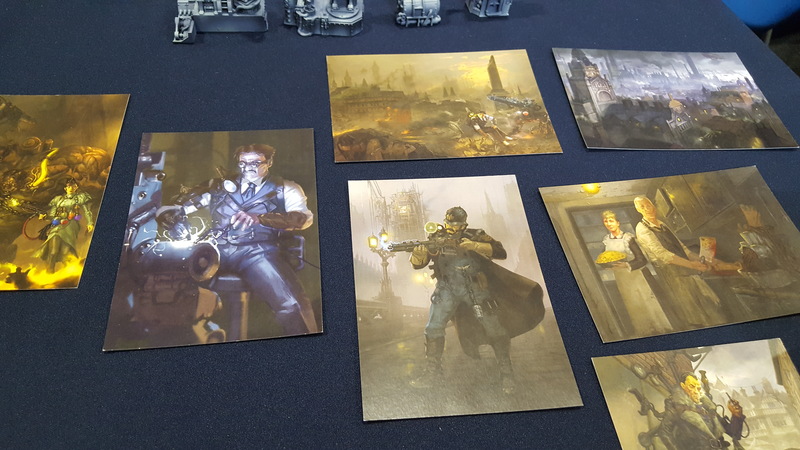 Really nice variety in games and styles too! 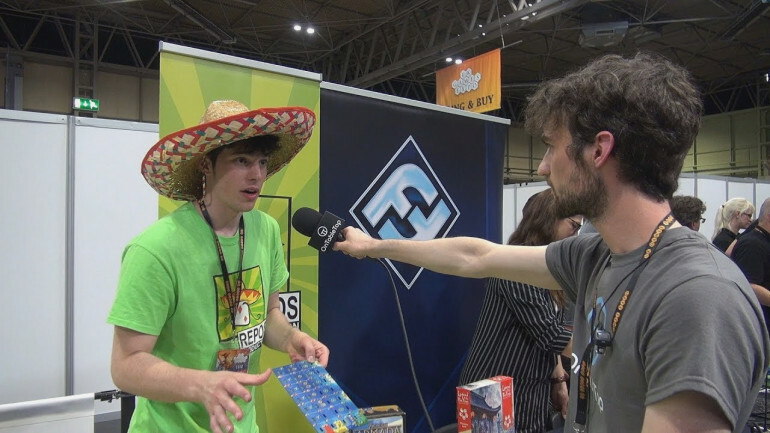 Such a better format this year guys well done! 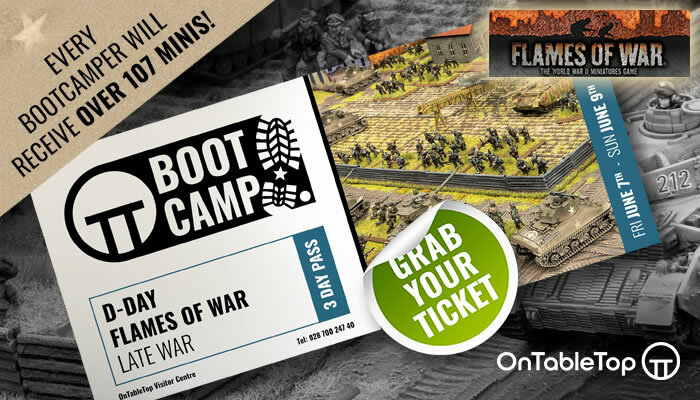 This seems to be an awsome event! 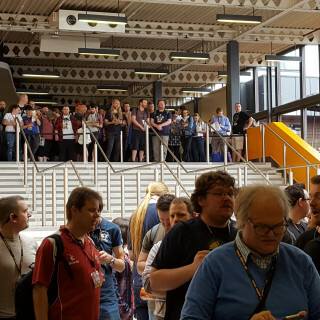 Fantastic coverage and community involvement, website looks great! 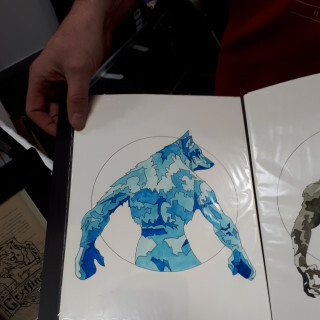 Saw Justin and John dive past me this afternoon and had some very starstuck boys. 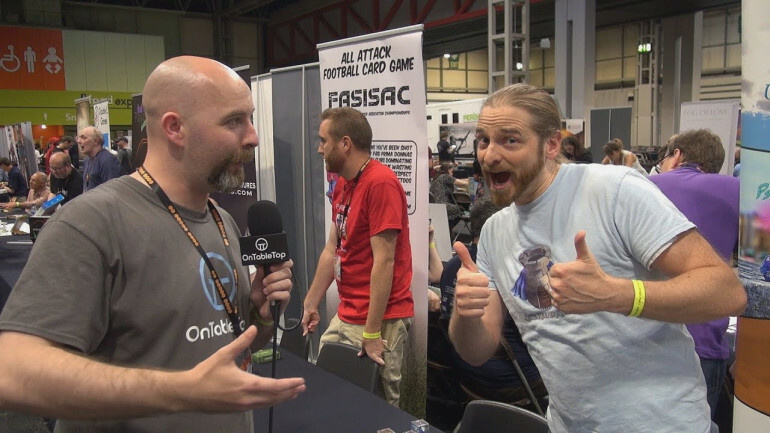 It was such a great day,we’re now catching up on all your content of the bits we missed. 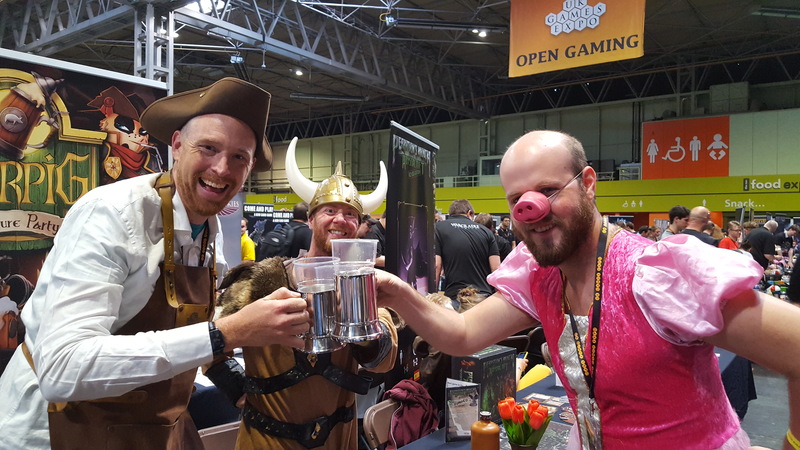 Hopefully we’ll be back up sunday for some more gaming! 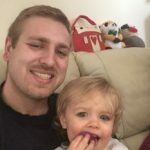 Great new style for the site.